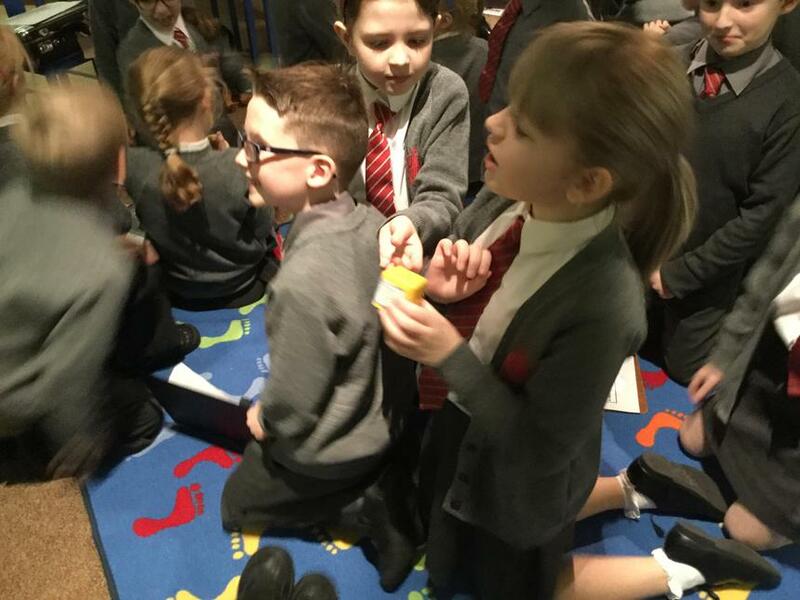 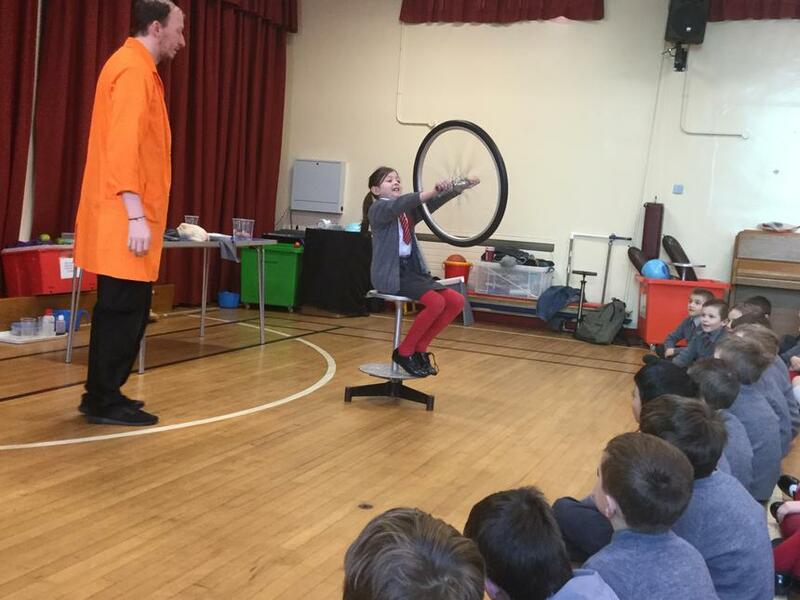 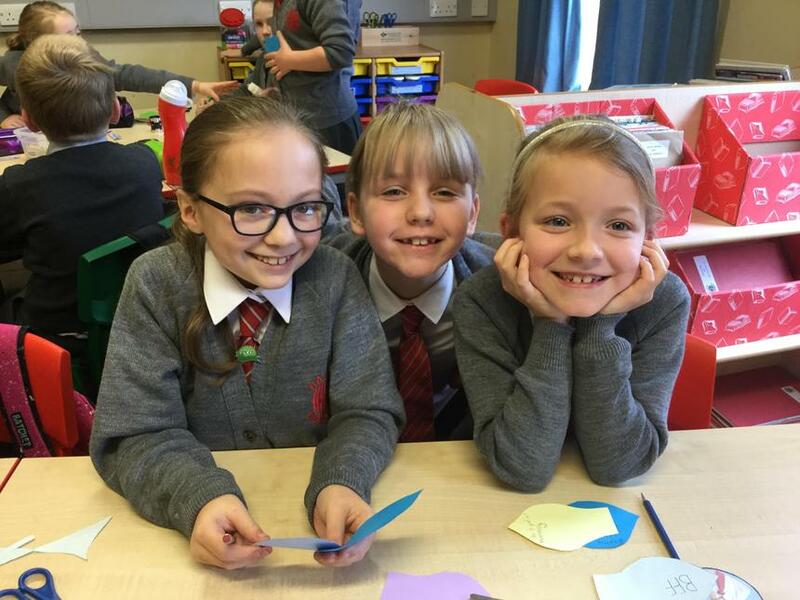 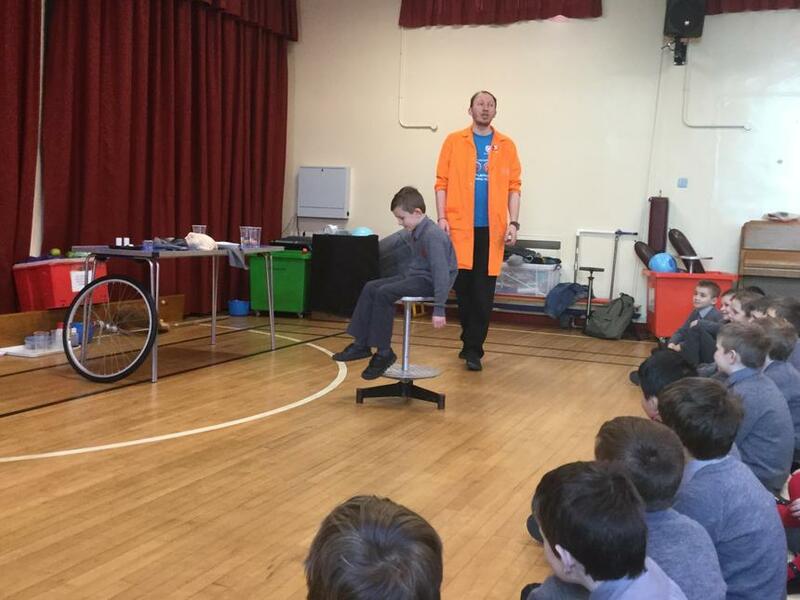 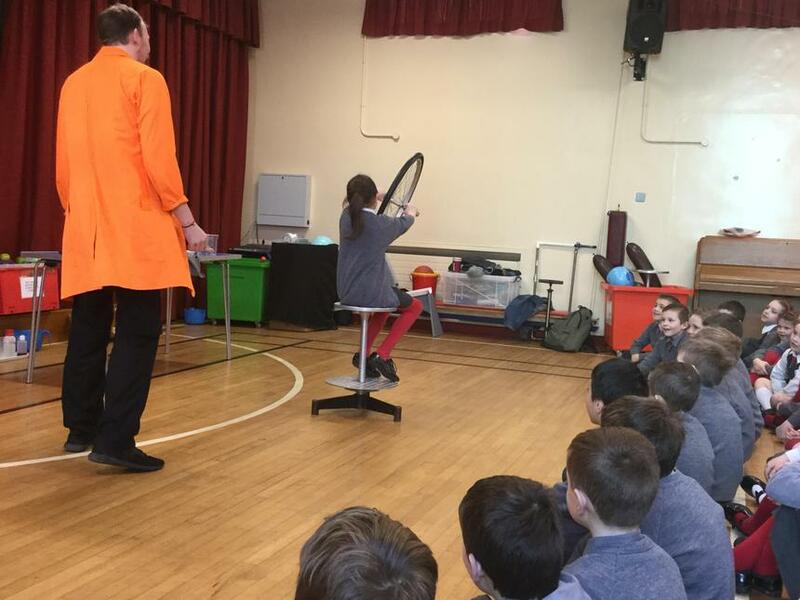 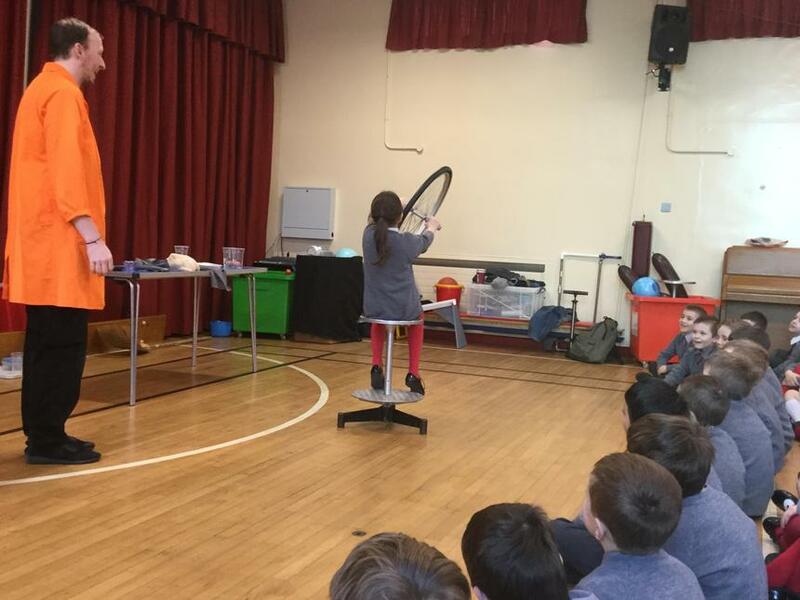 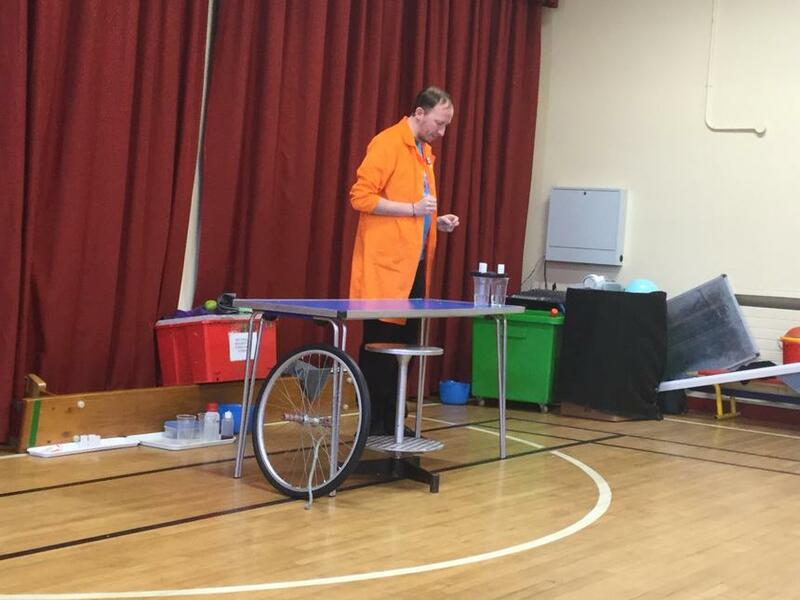 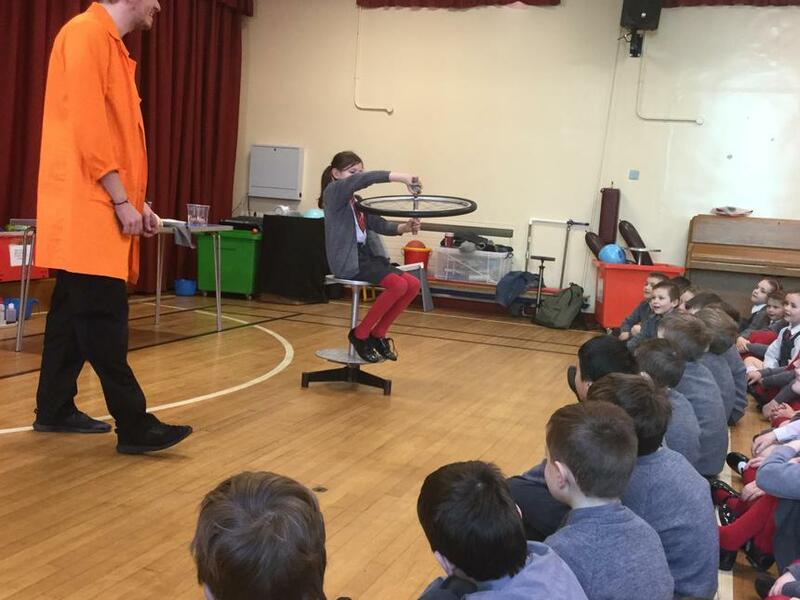 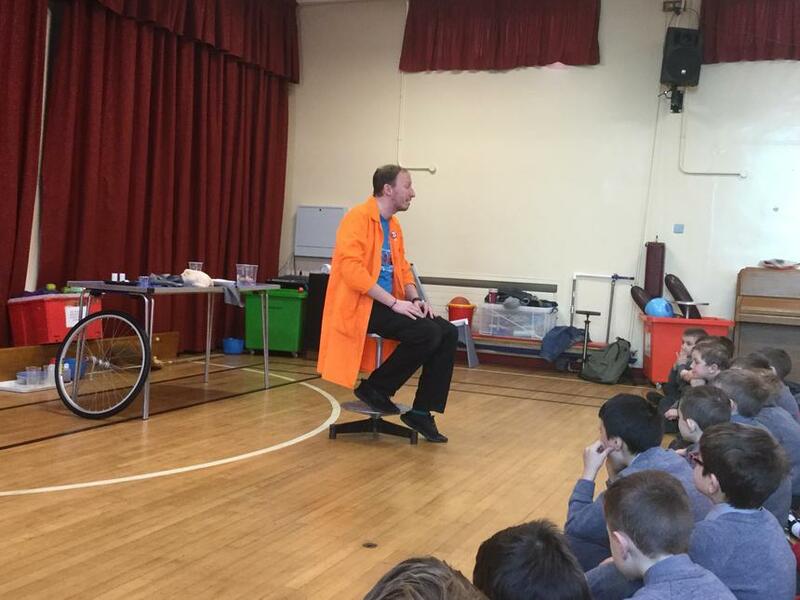 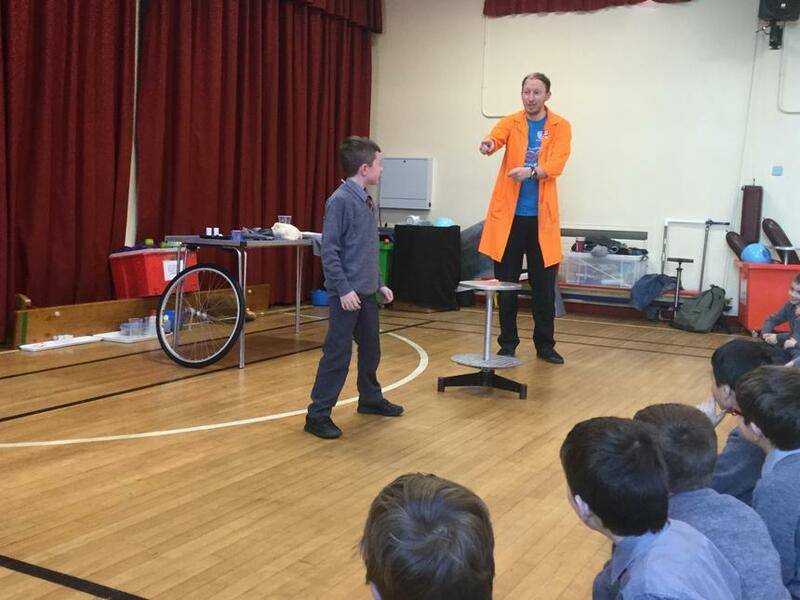 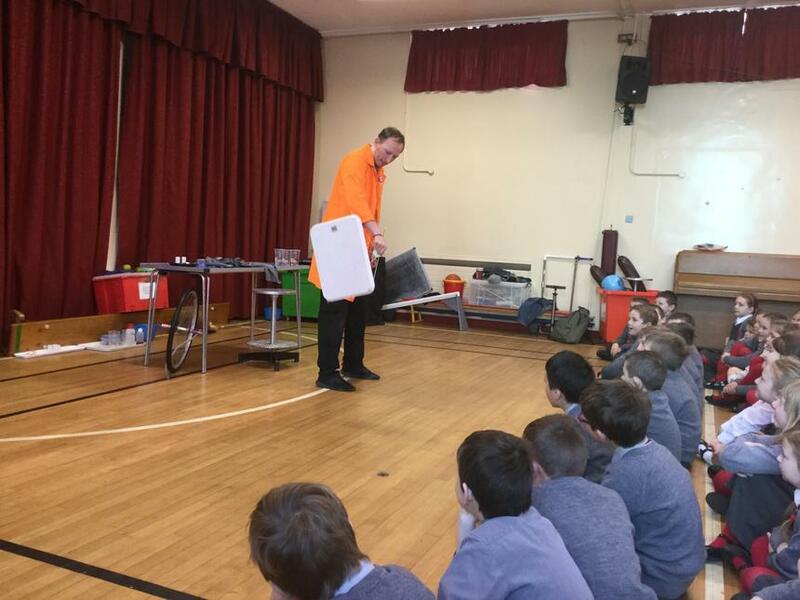 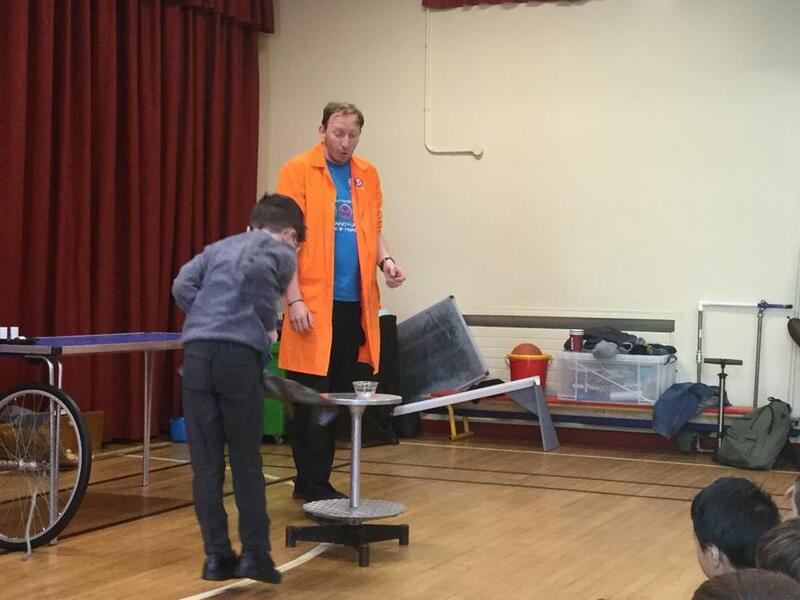 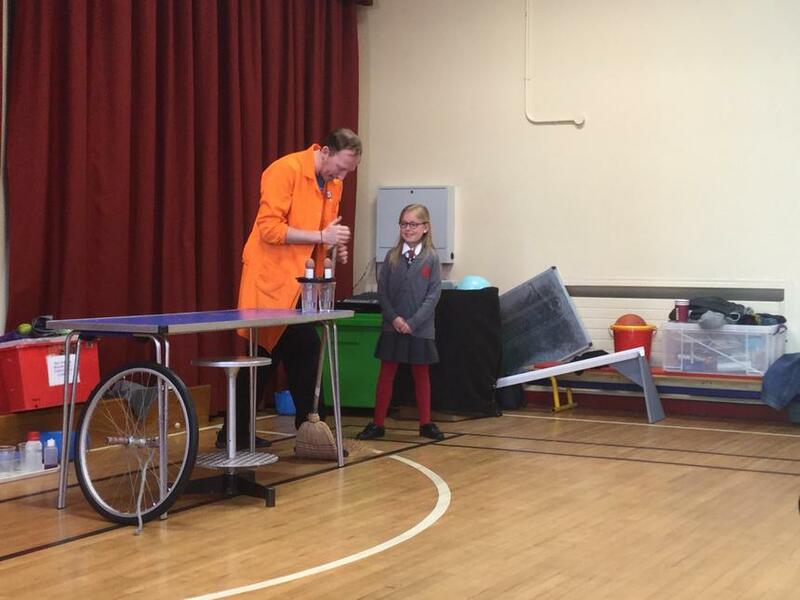 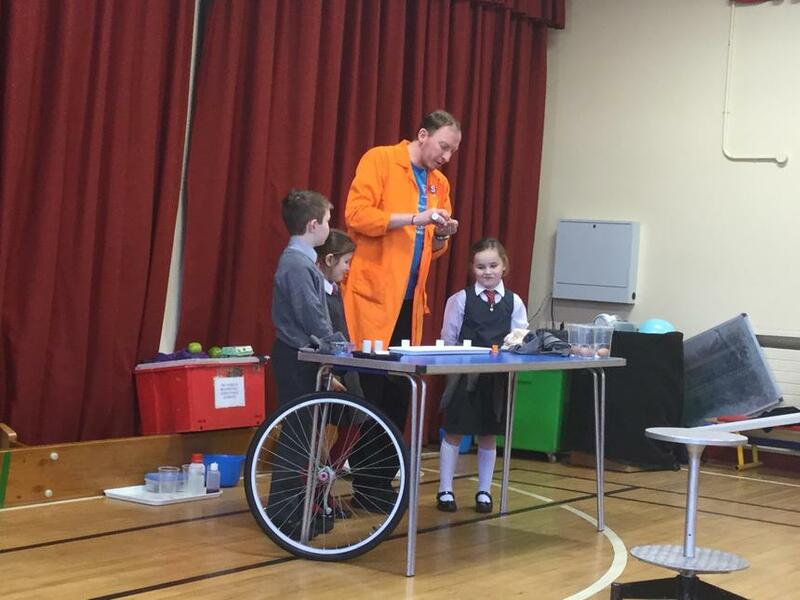 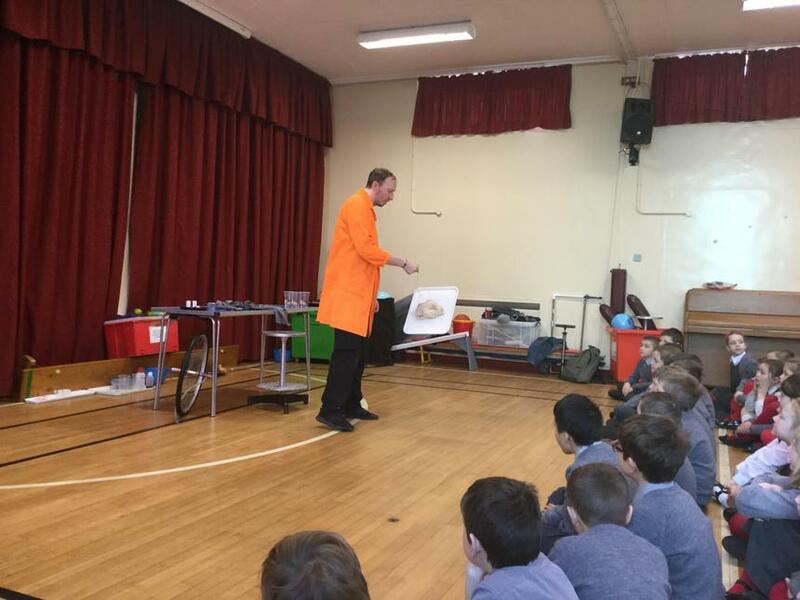 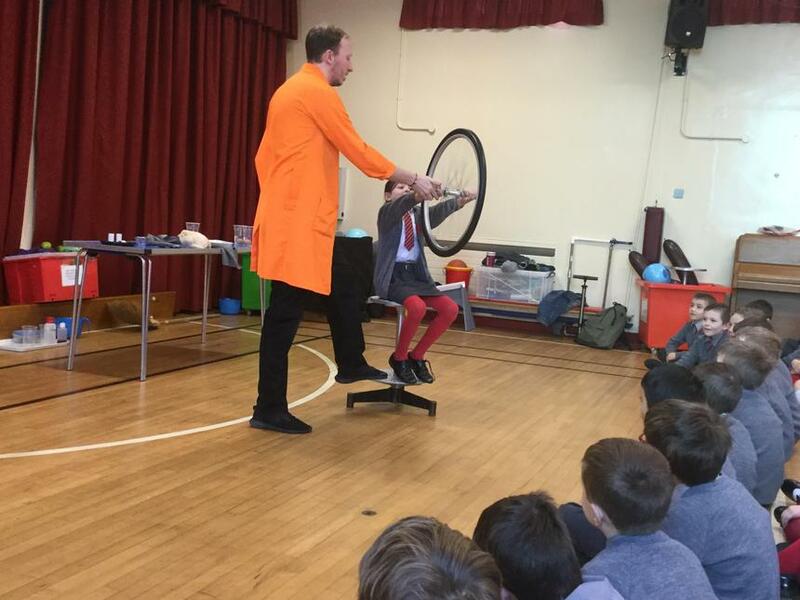 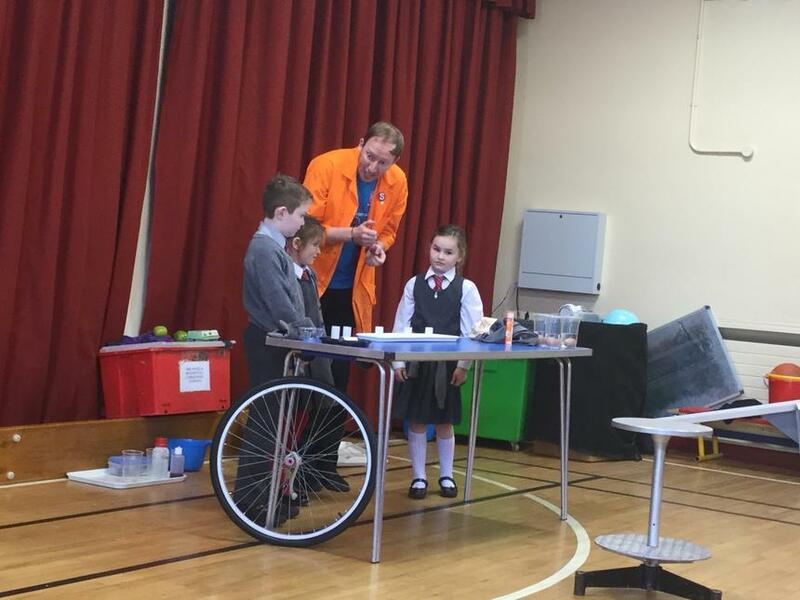 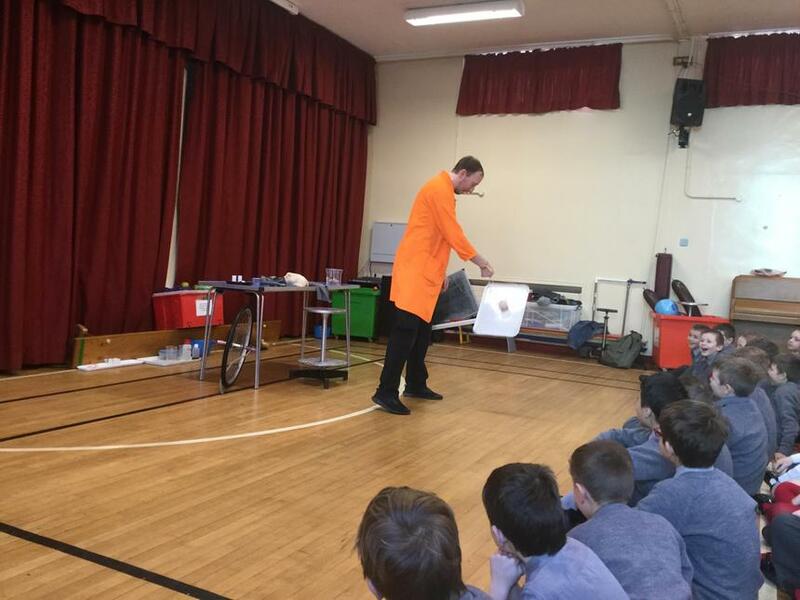 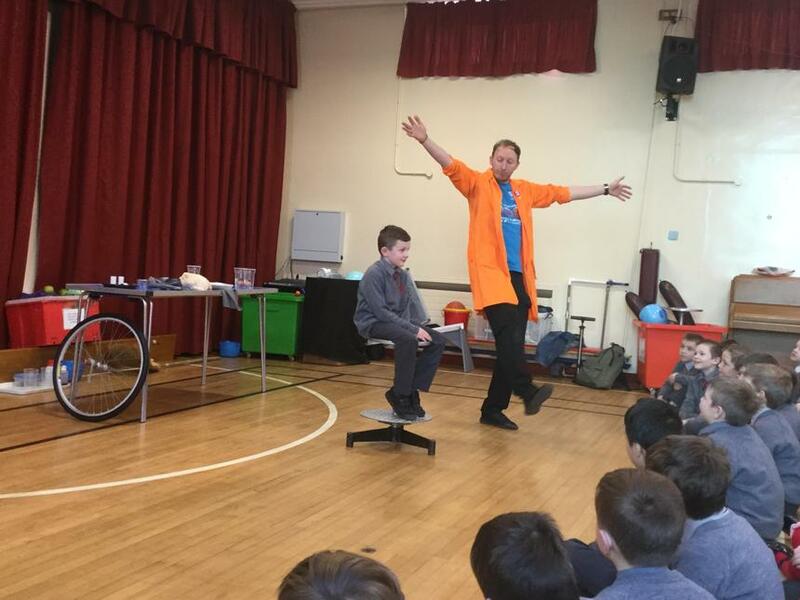 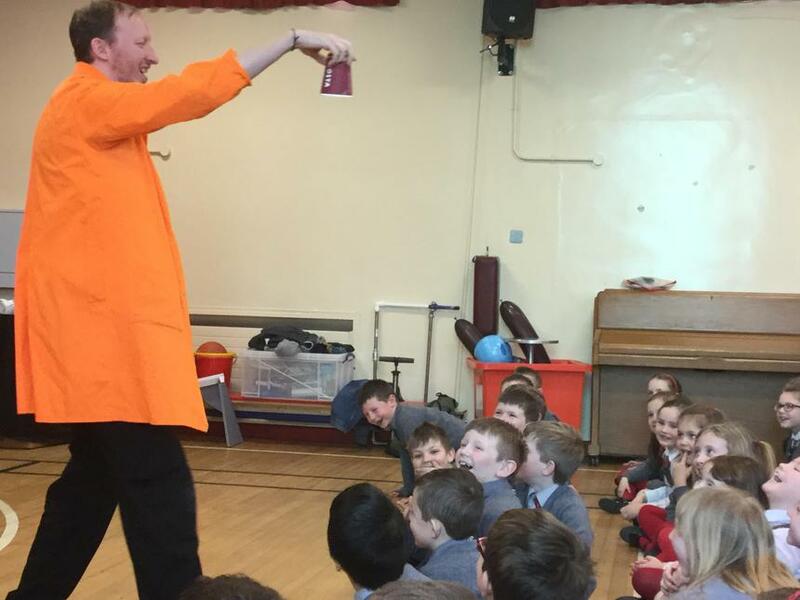 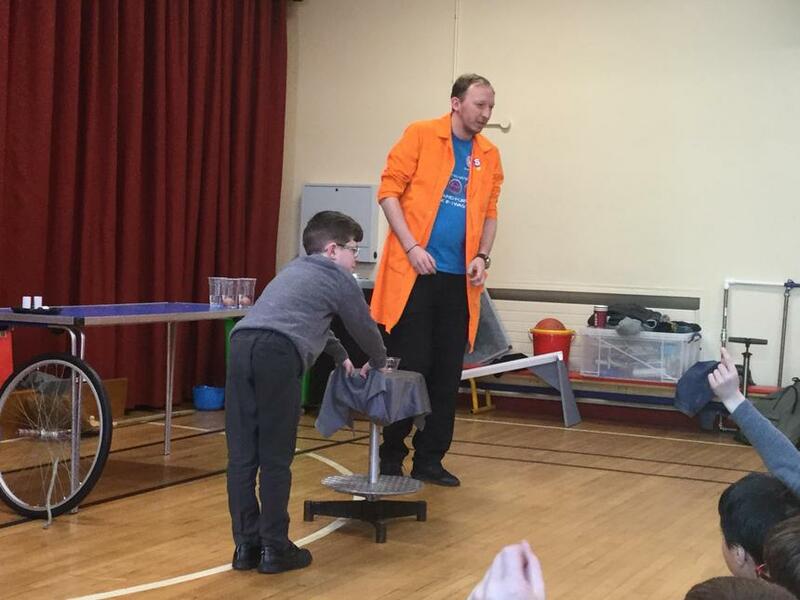 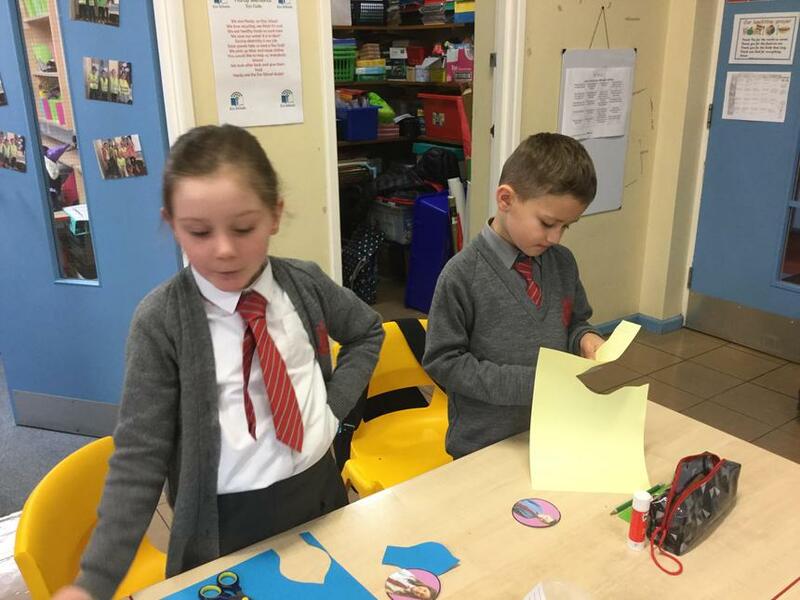 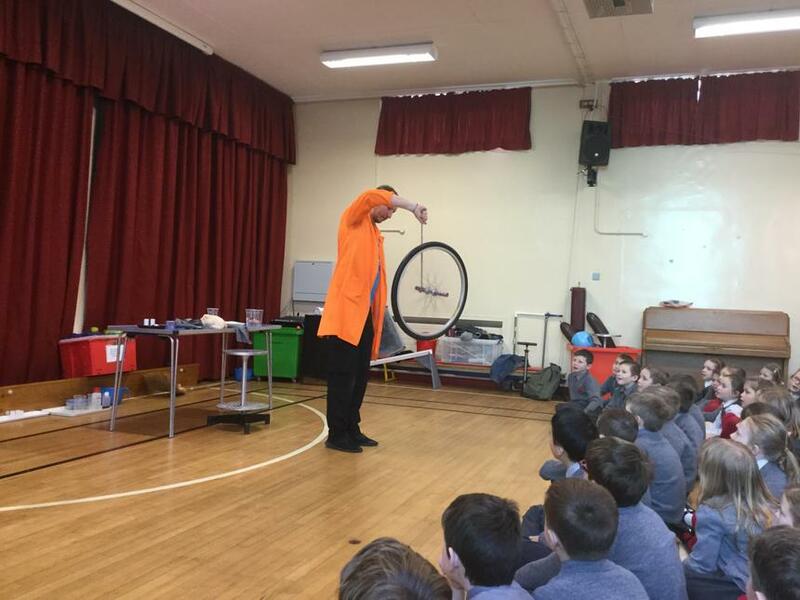 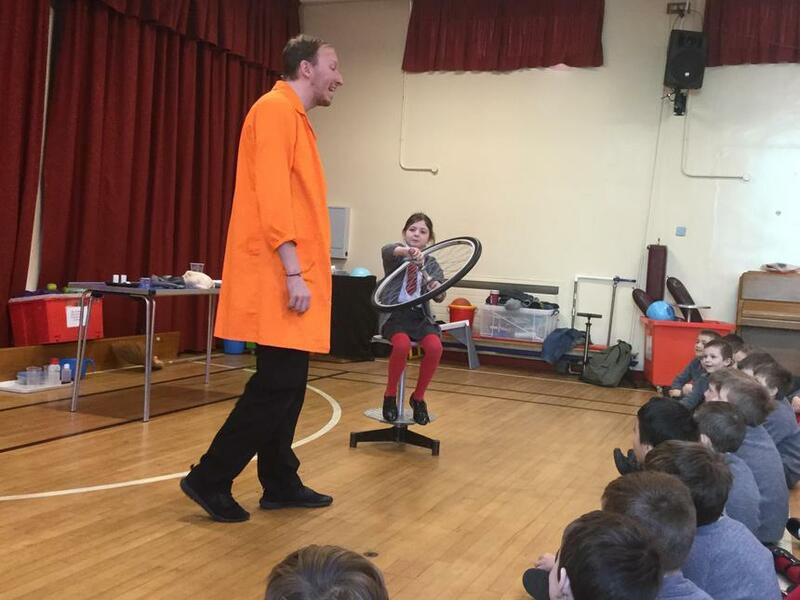 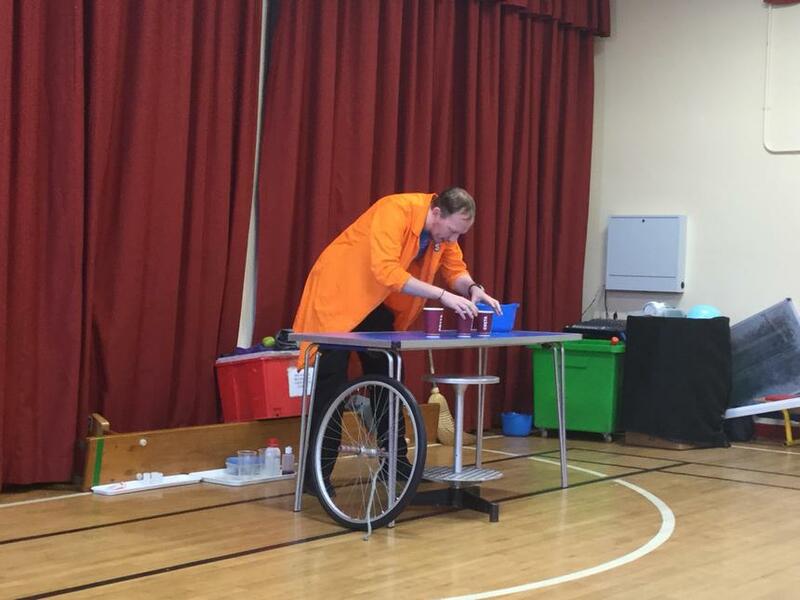 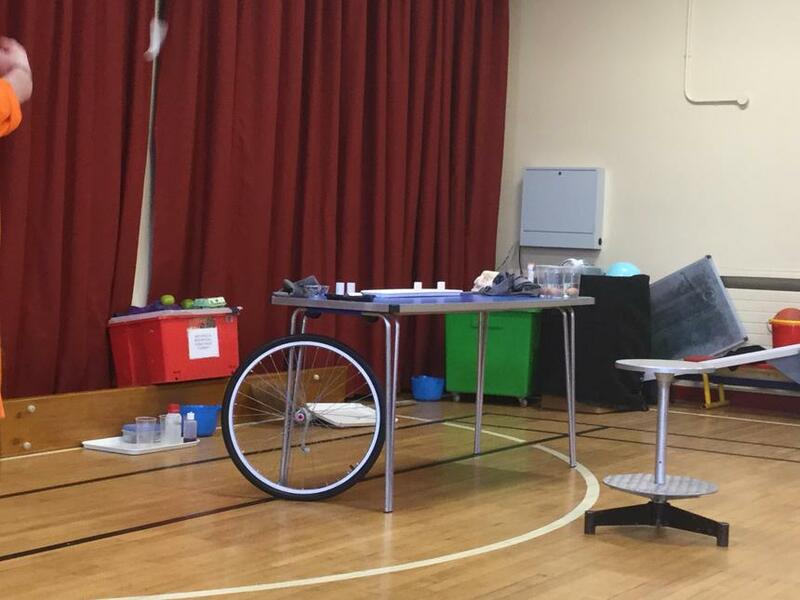 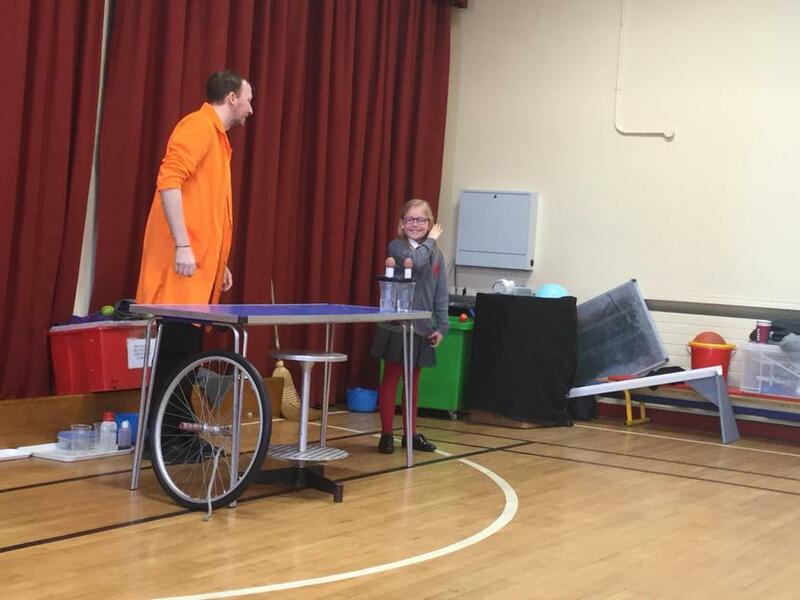 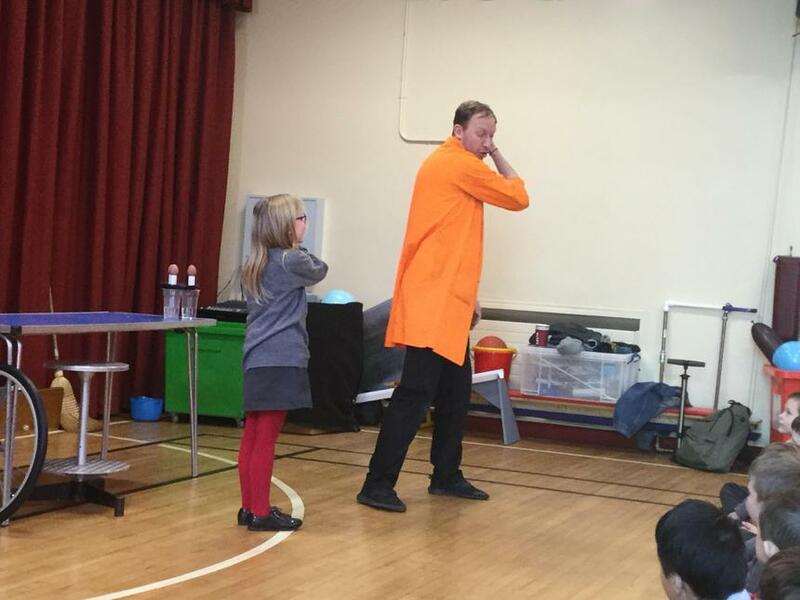 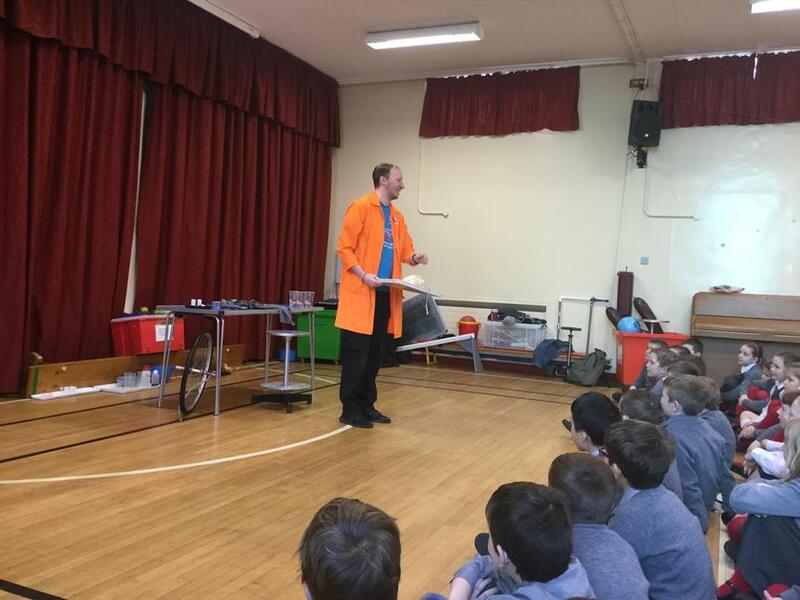 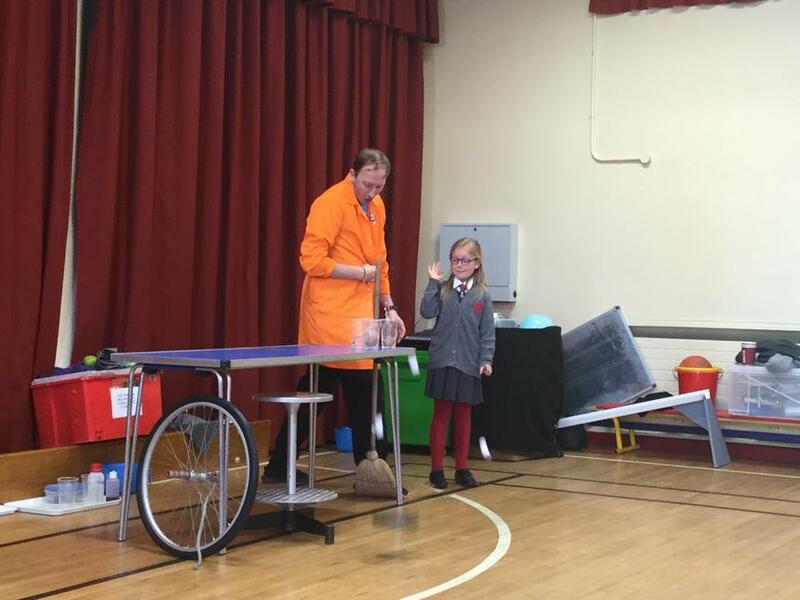 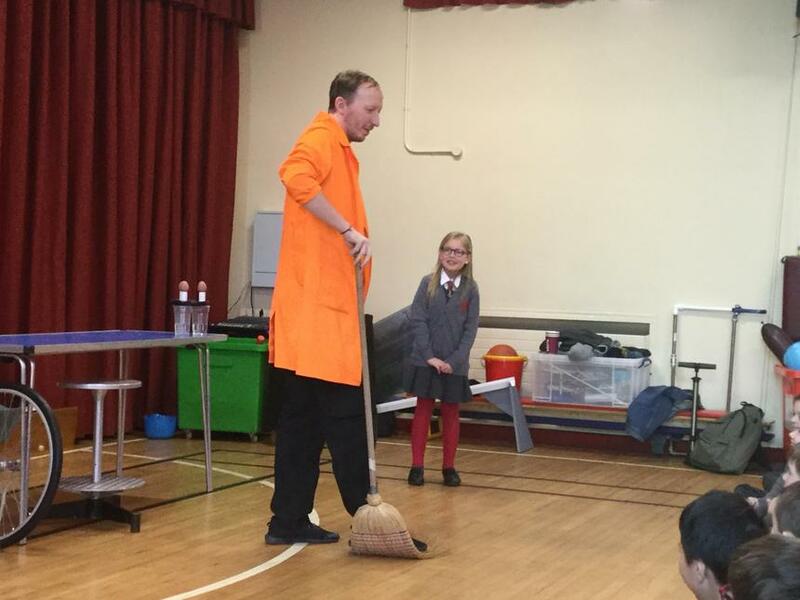 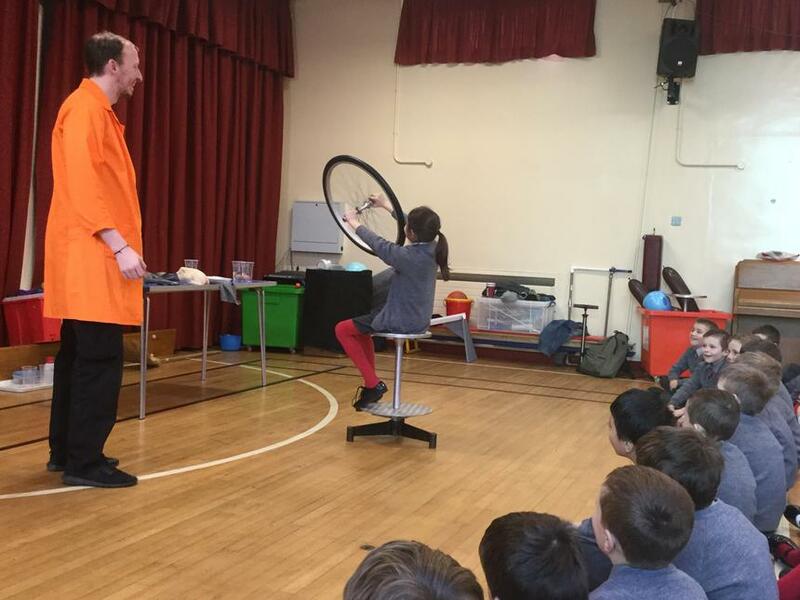 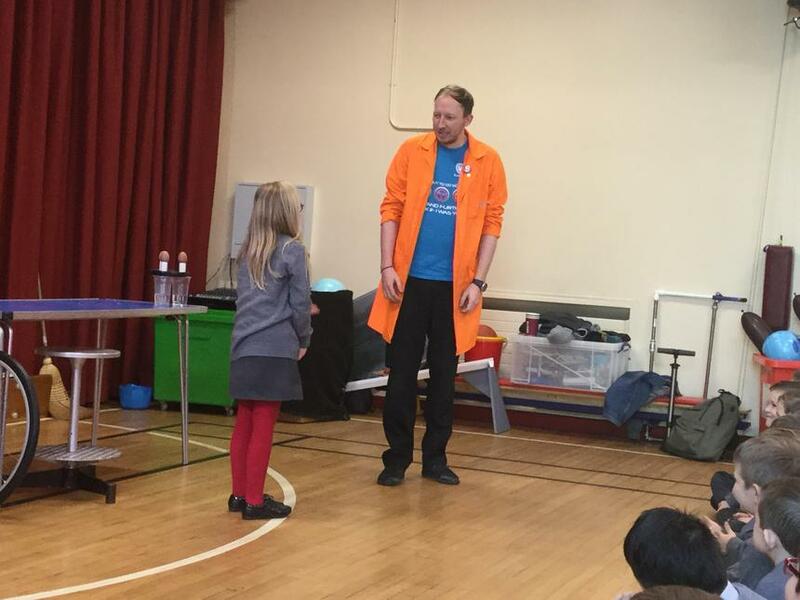 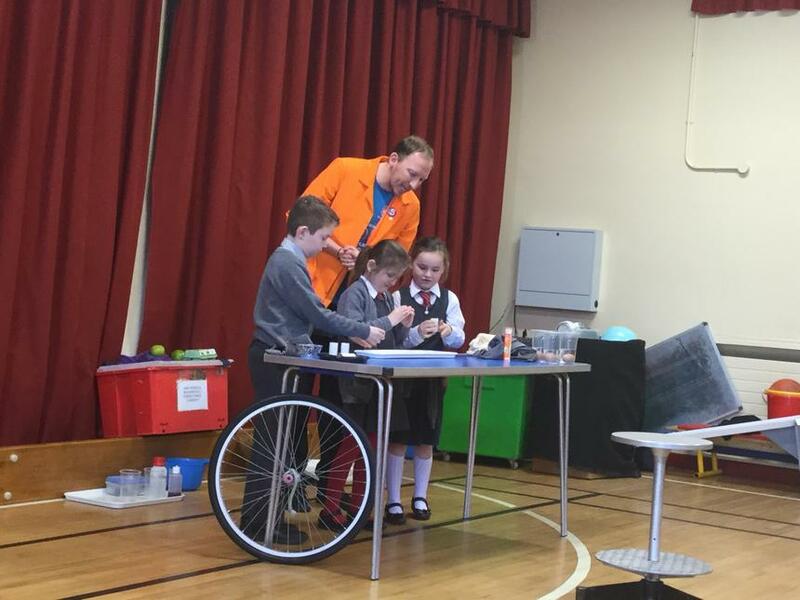 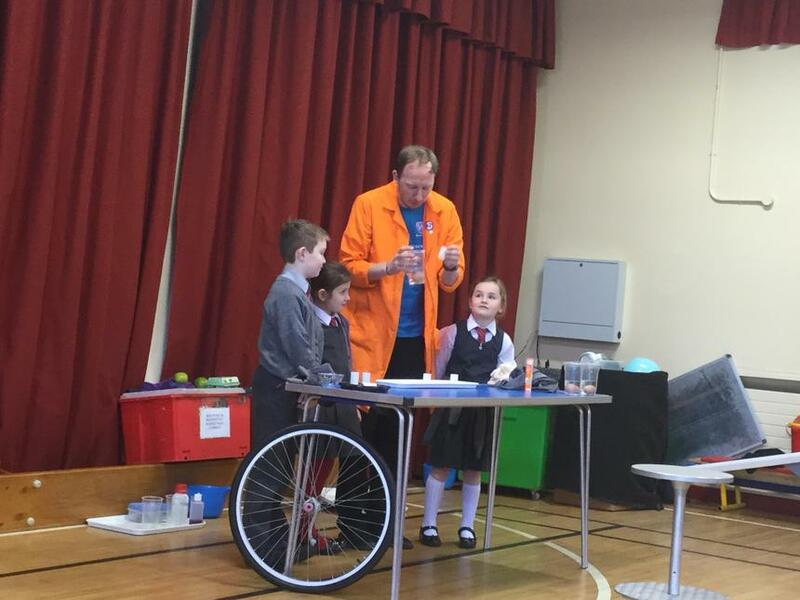 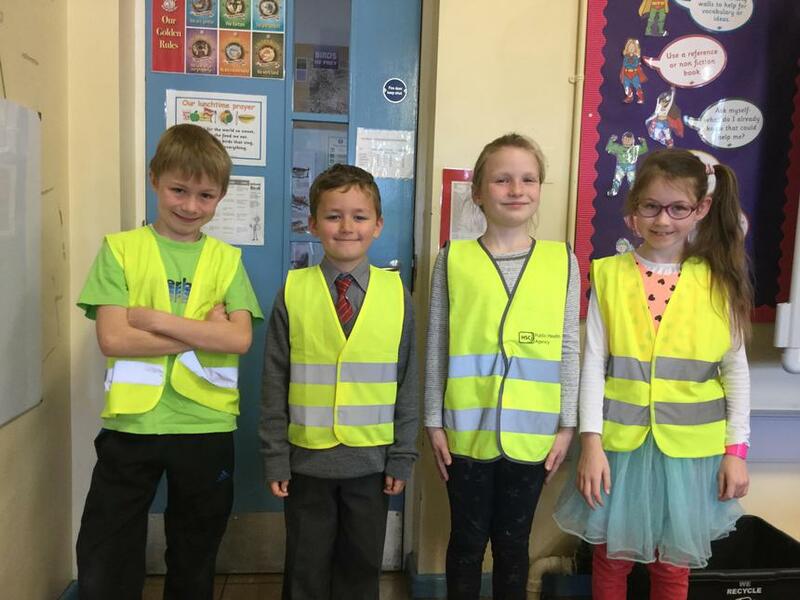 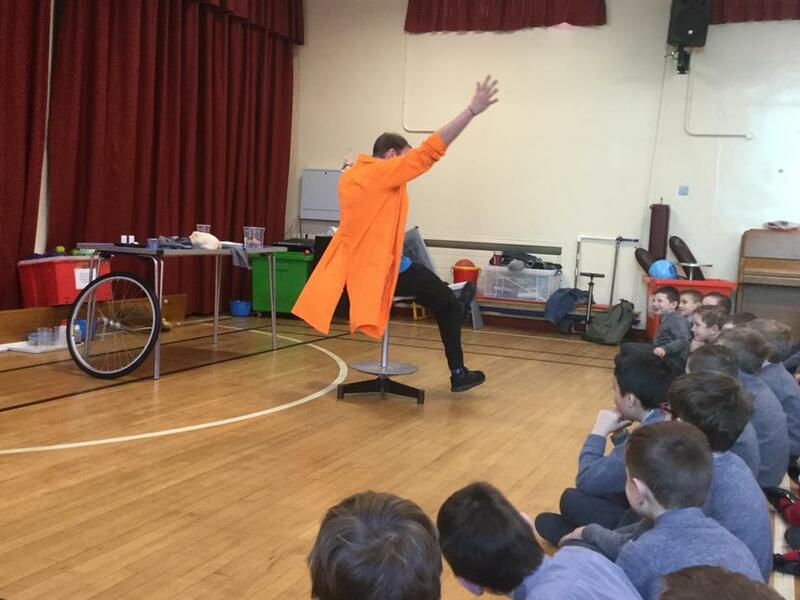 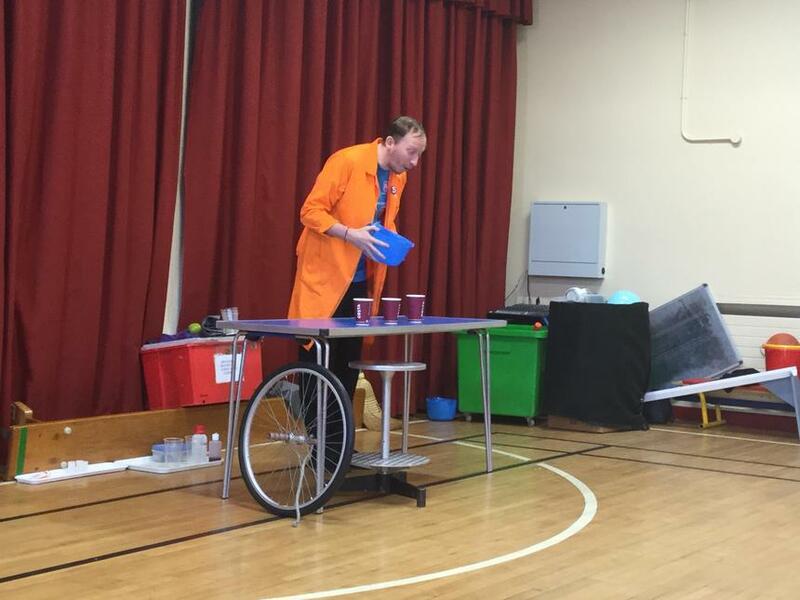 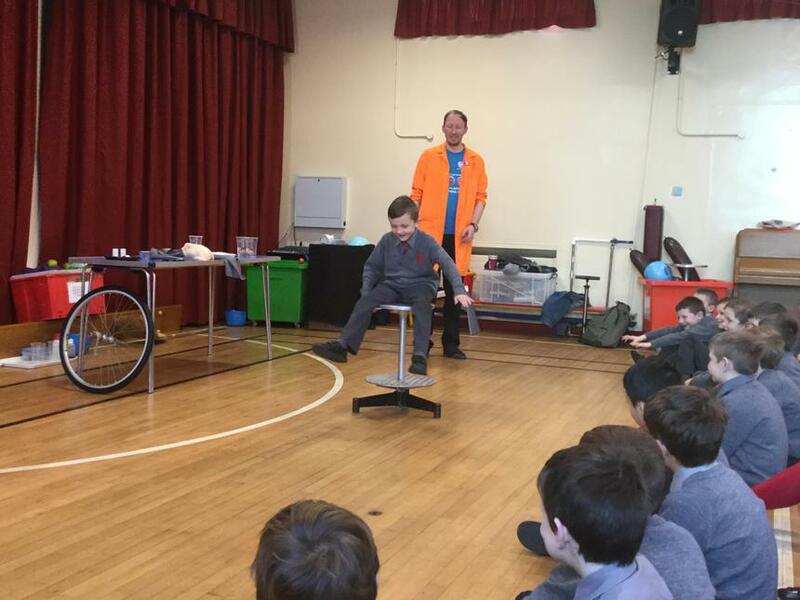 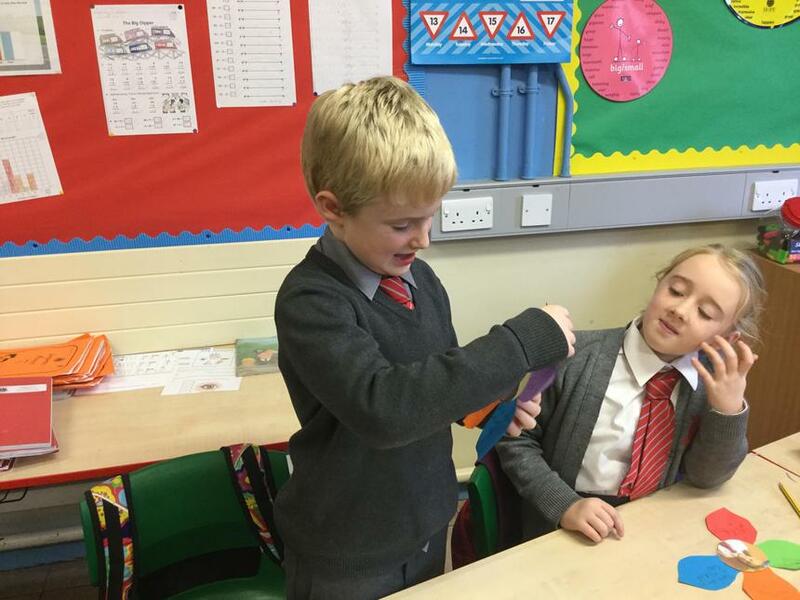 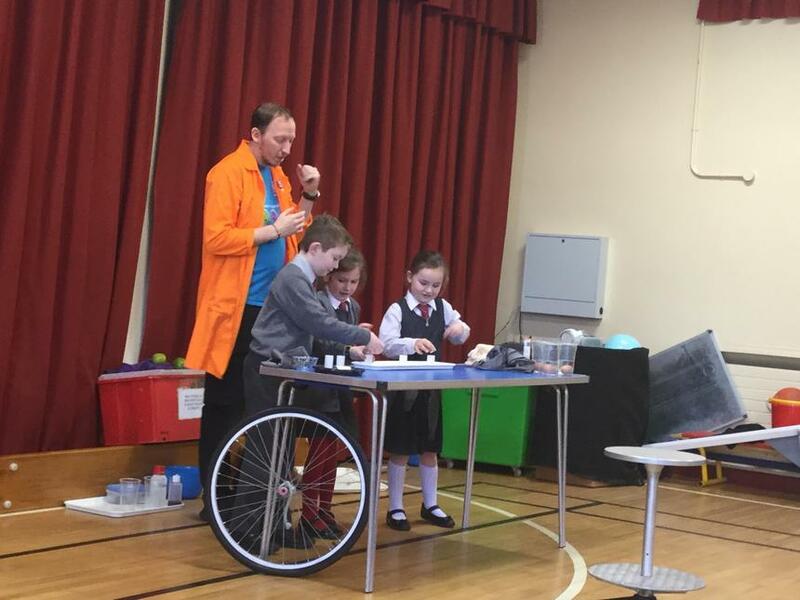 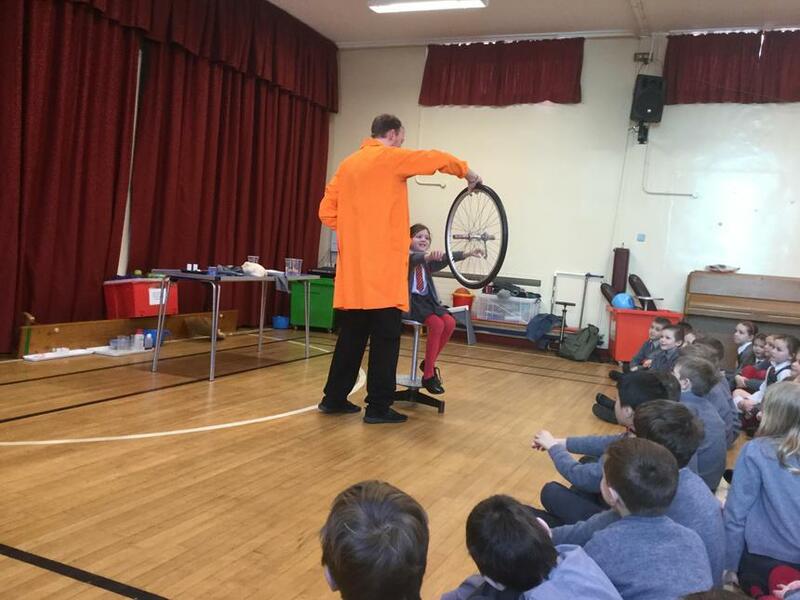 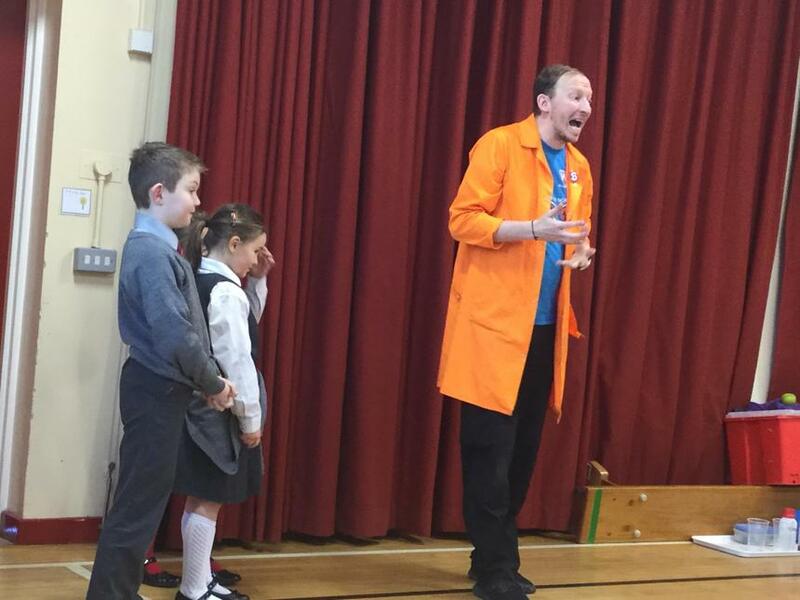 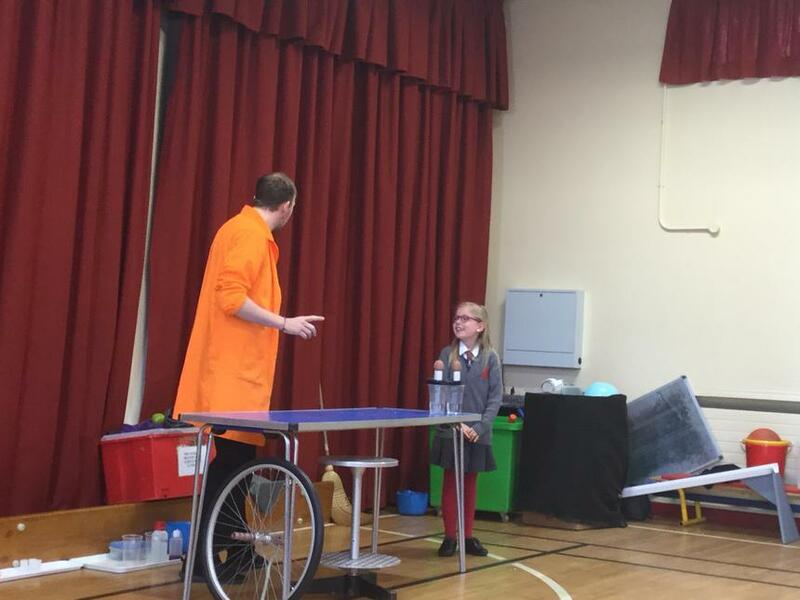 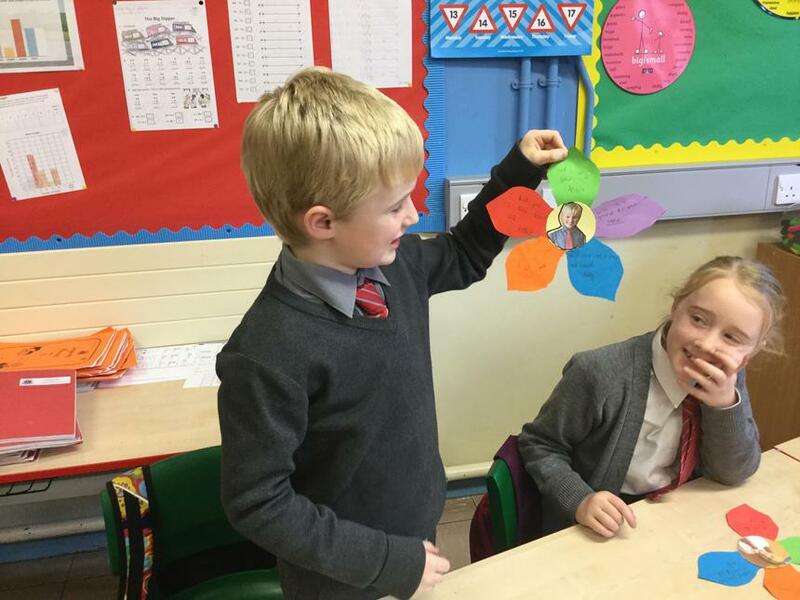 As part of Science Week we enjoyed a visit from W5 to our school. 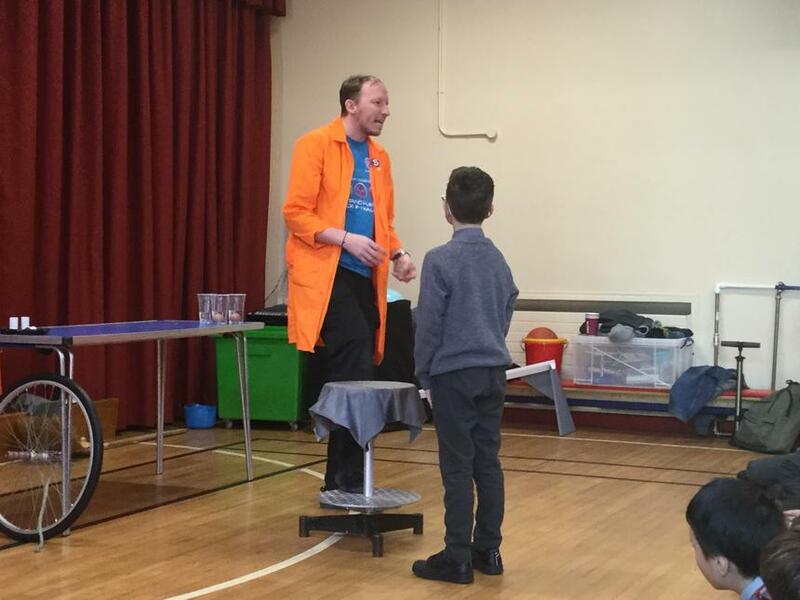 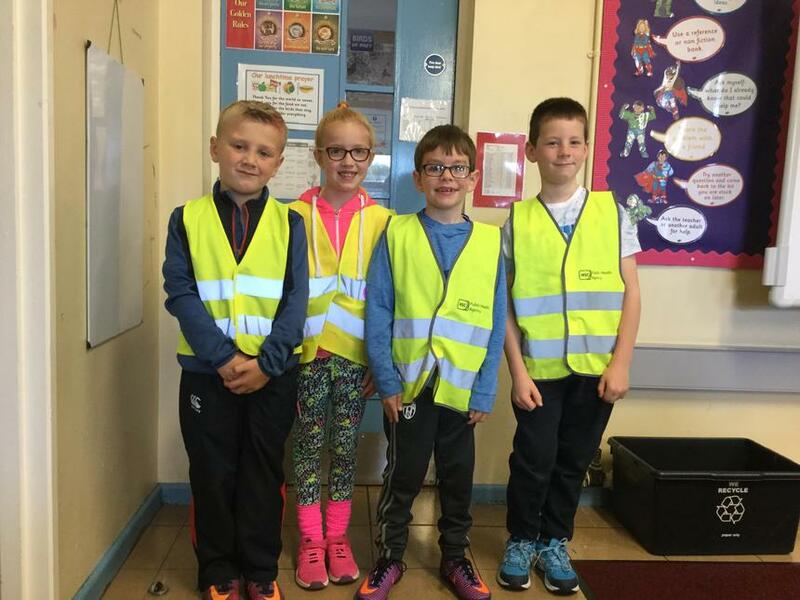 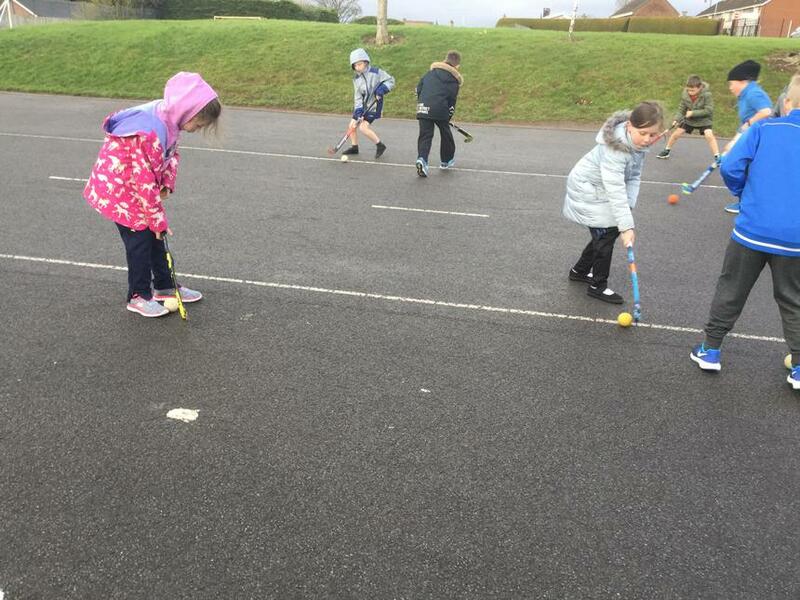 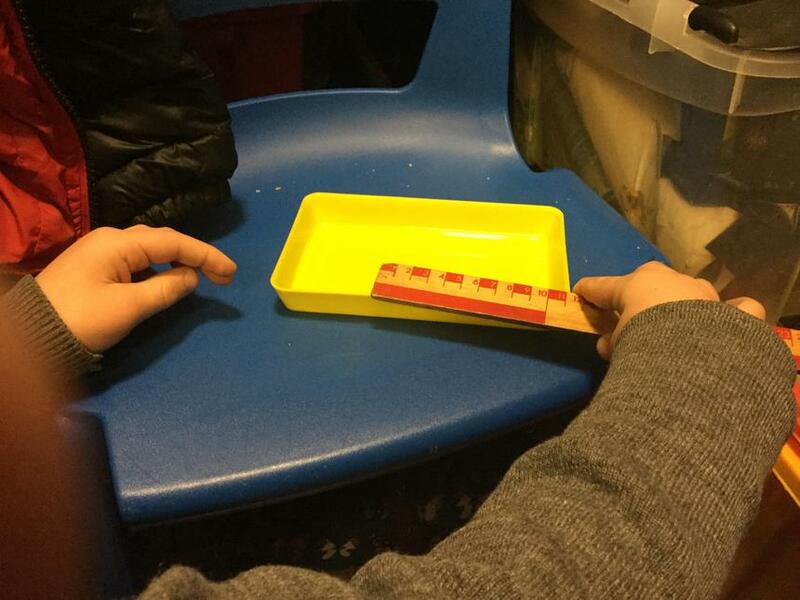 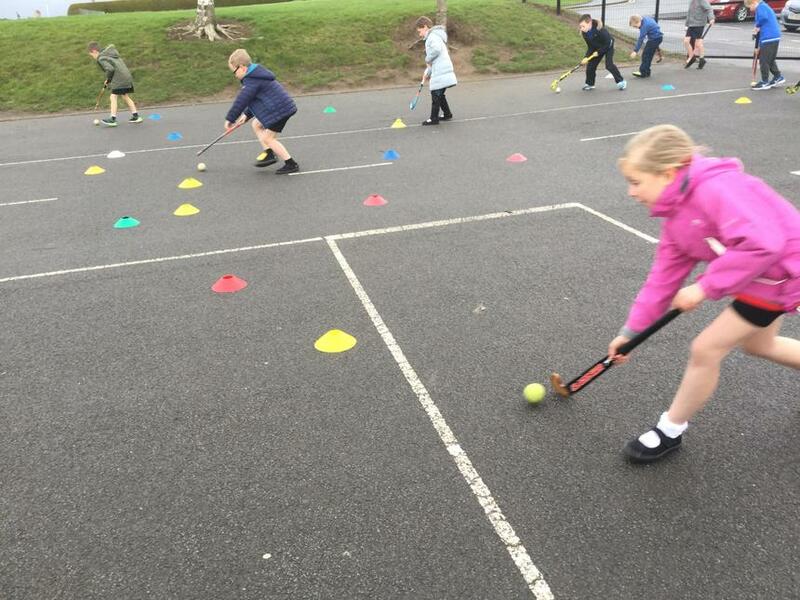 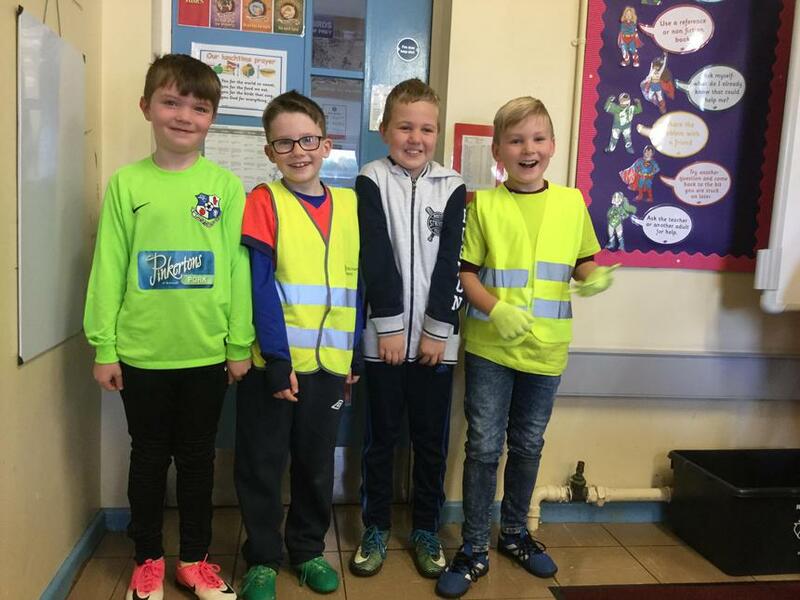 We were thoroughly entertained and got to take part in a number of experiments. 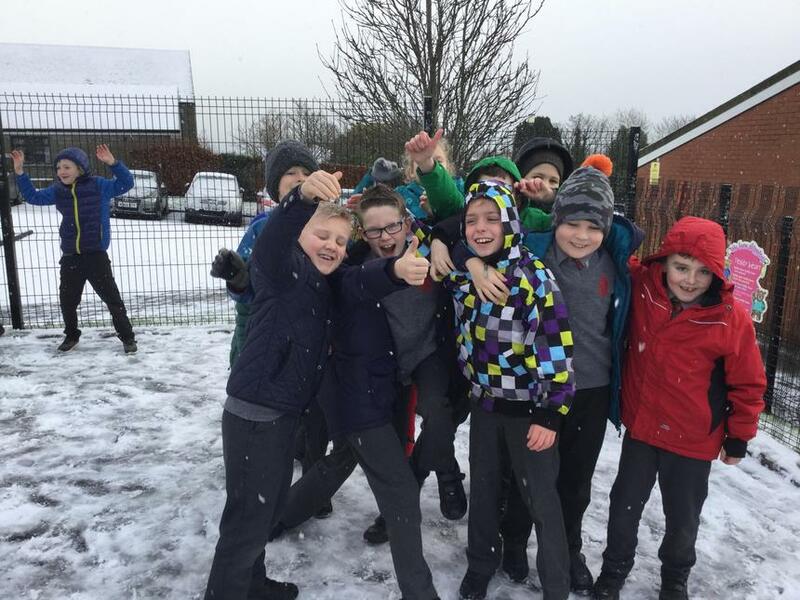 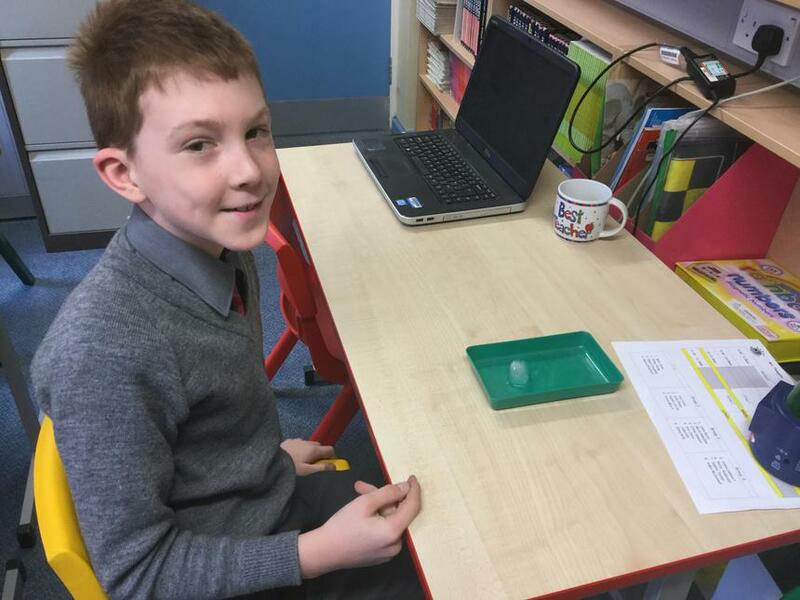 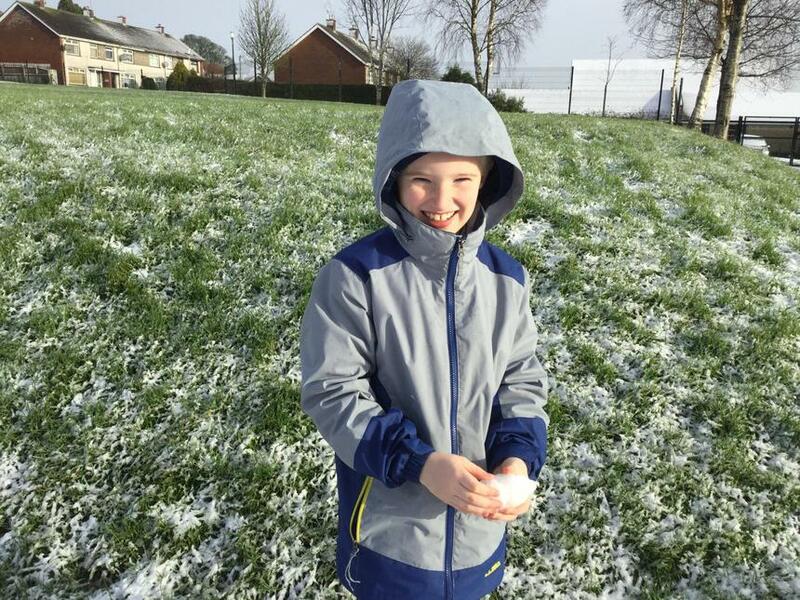 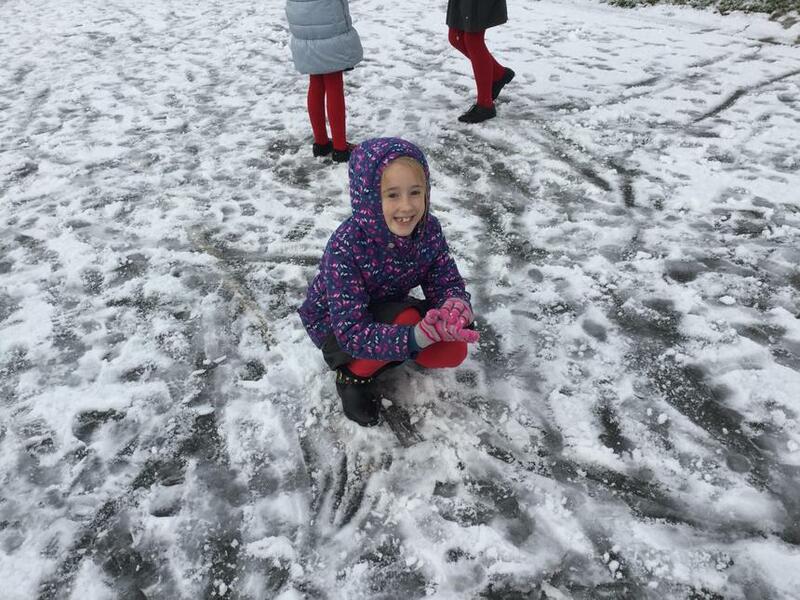 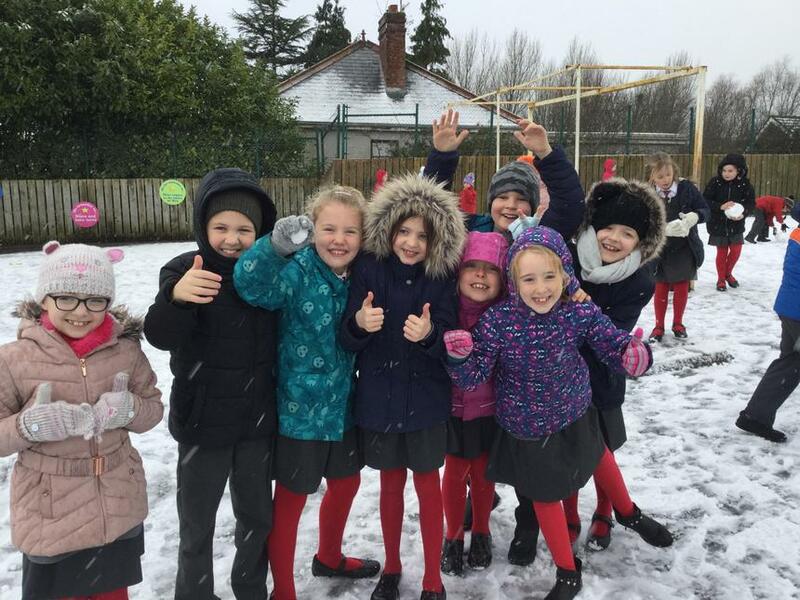 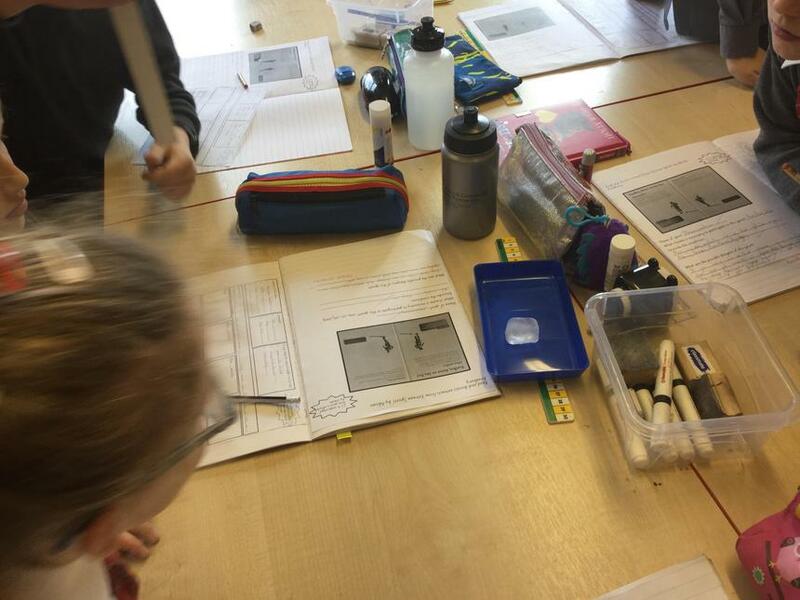 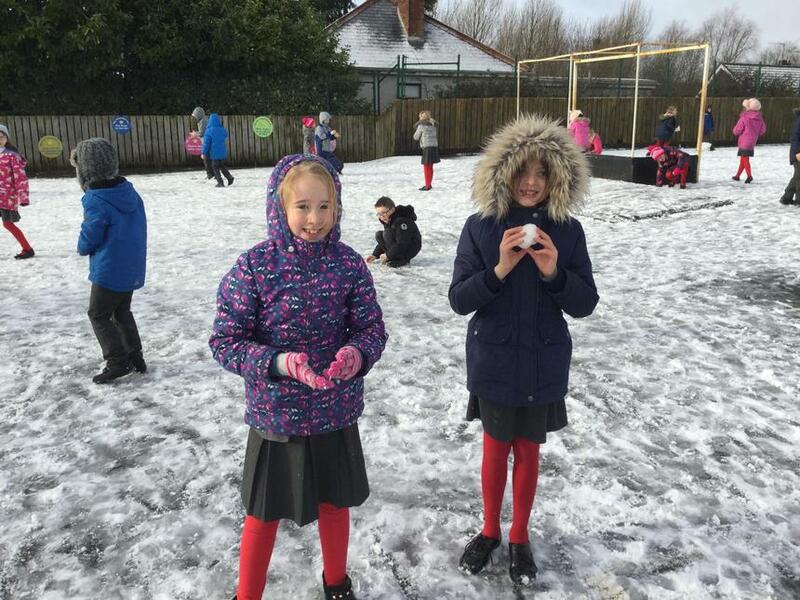 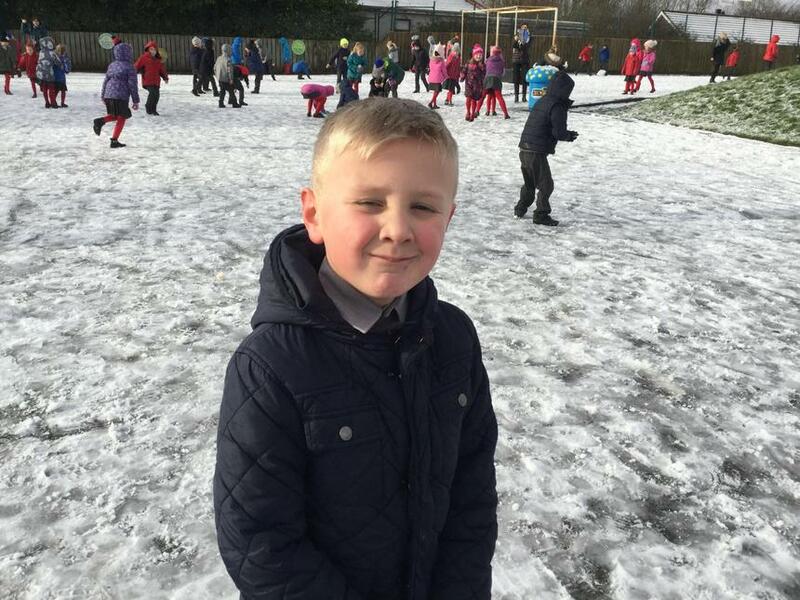 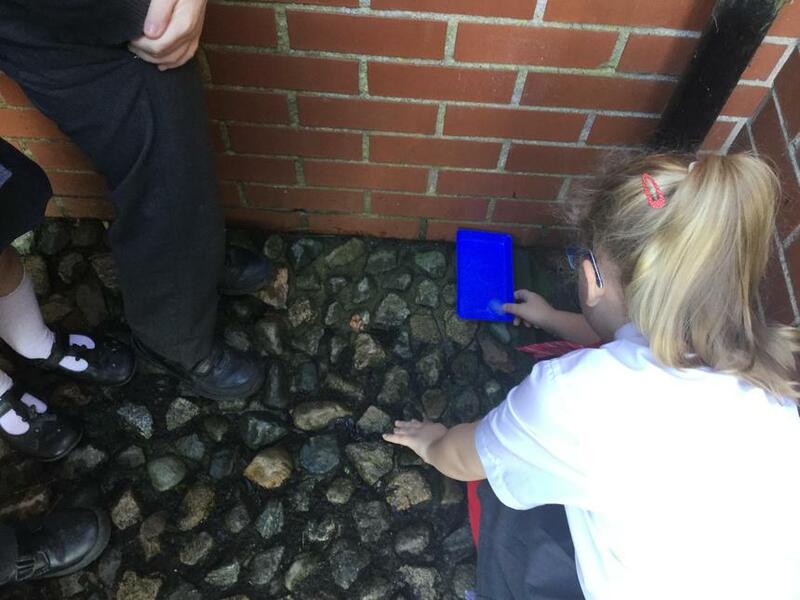 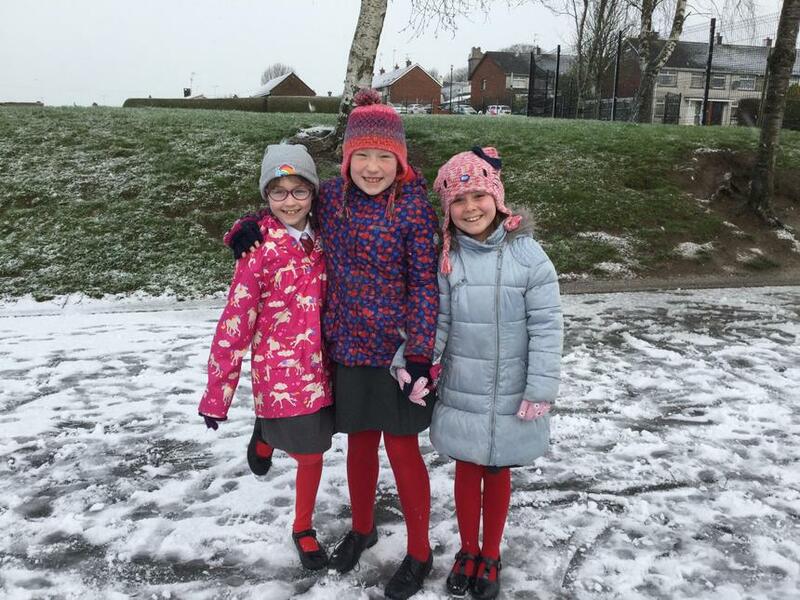 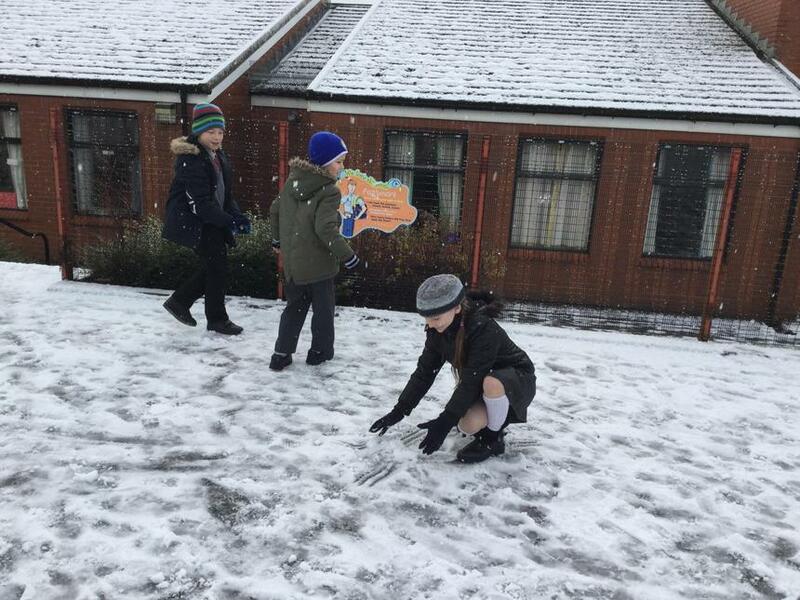 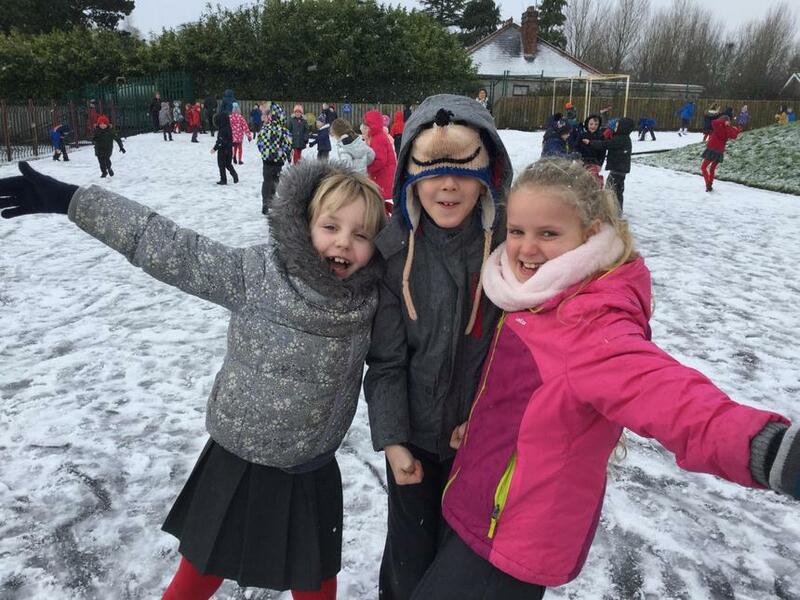 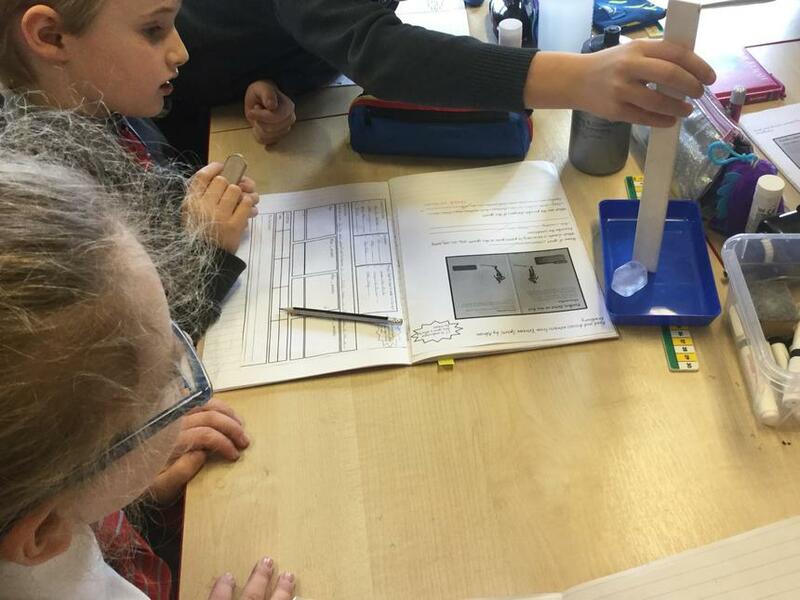 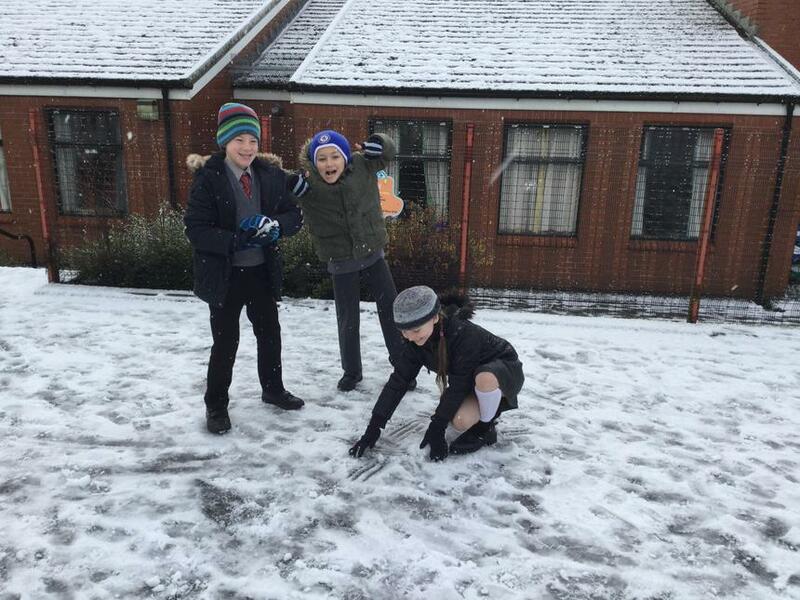 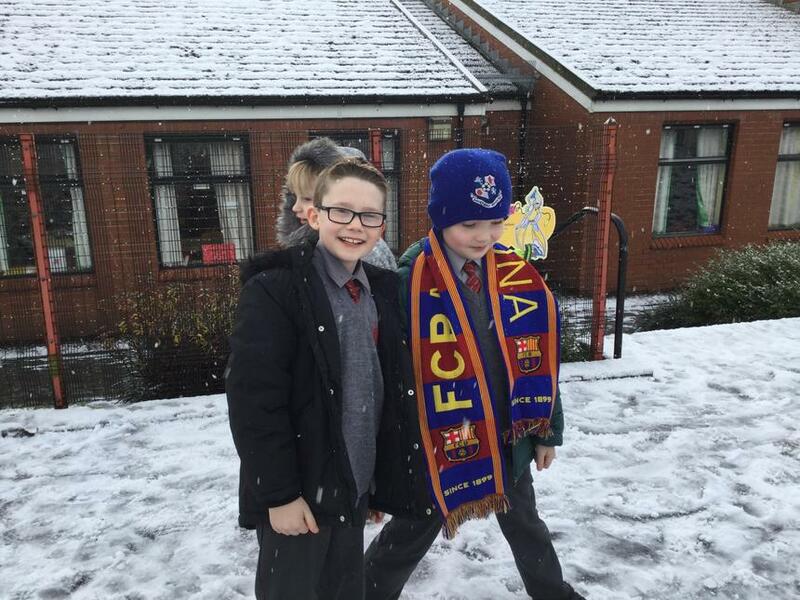 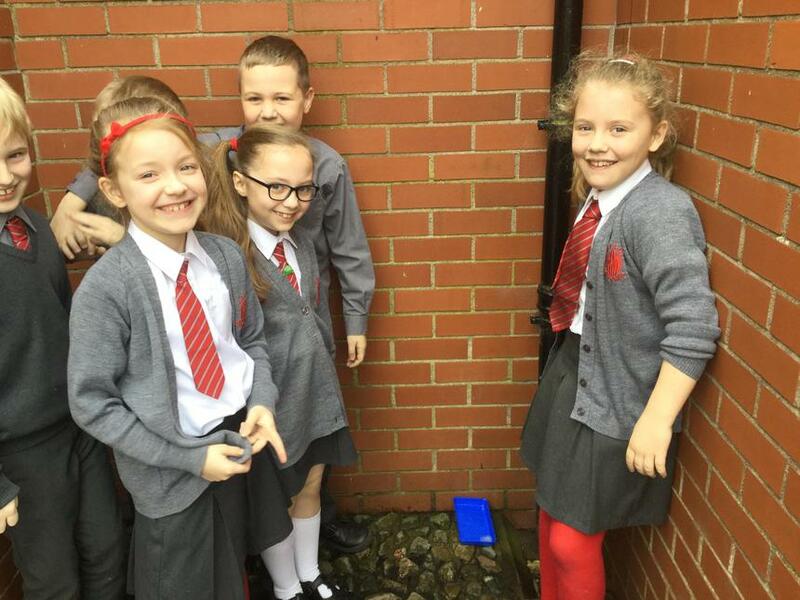 To celebrate Science Week we have been conducting an experiment to see how long it takes for ice cubes to melt in different conditions. 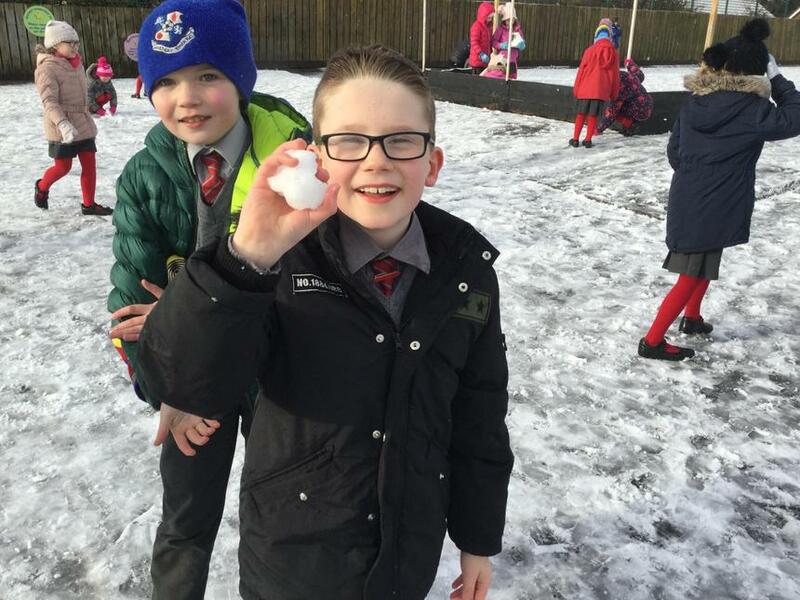 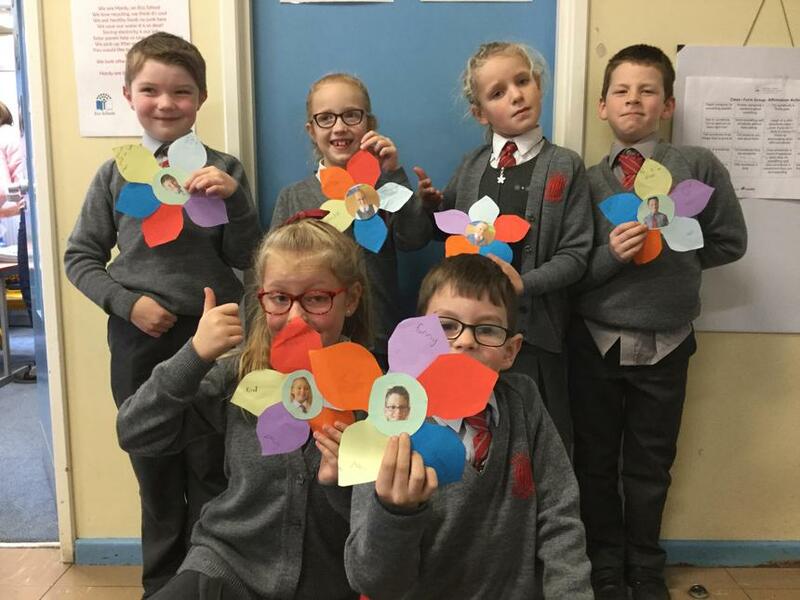 This is part of our Weather and Climate topic. 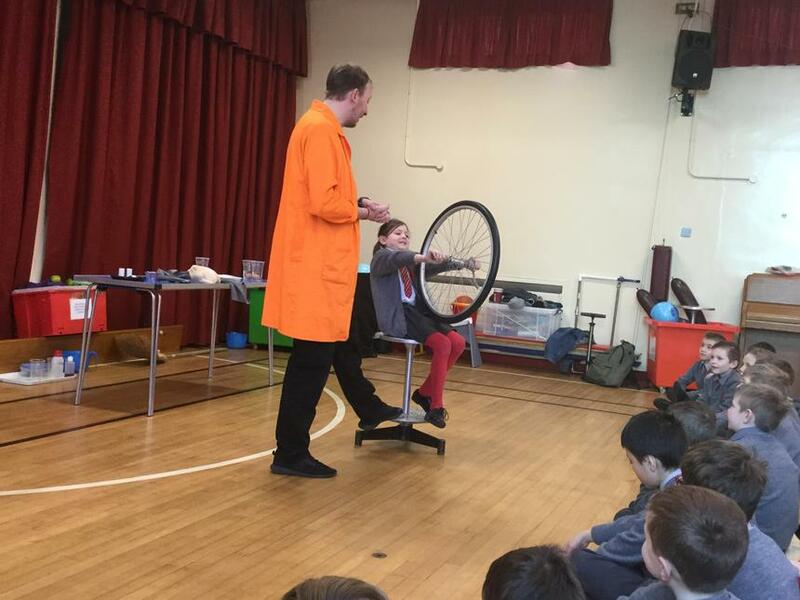 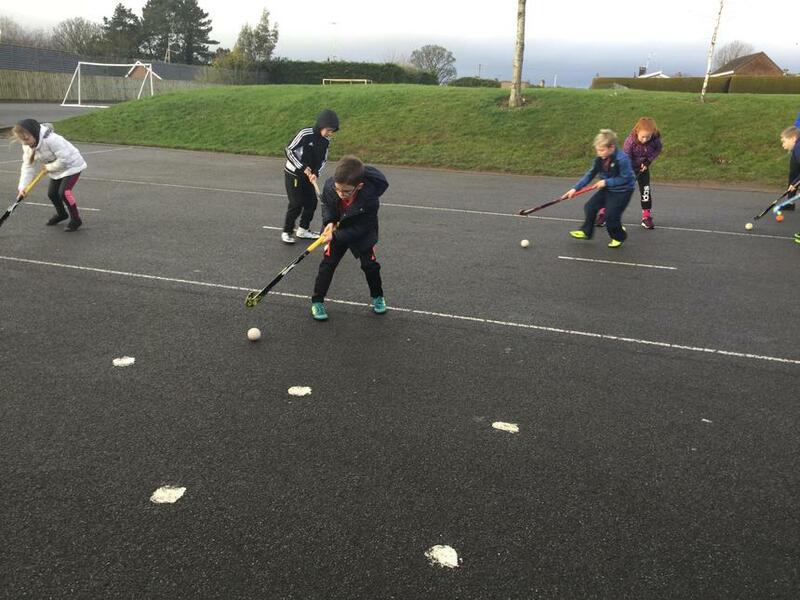 We were very careful to make sure it was a fair test. 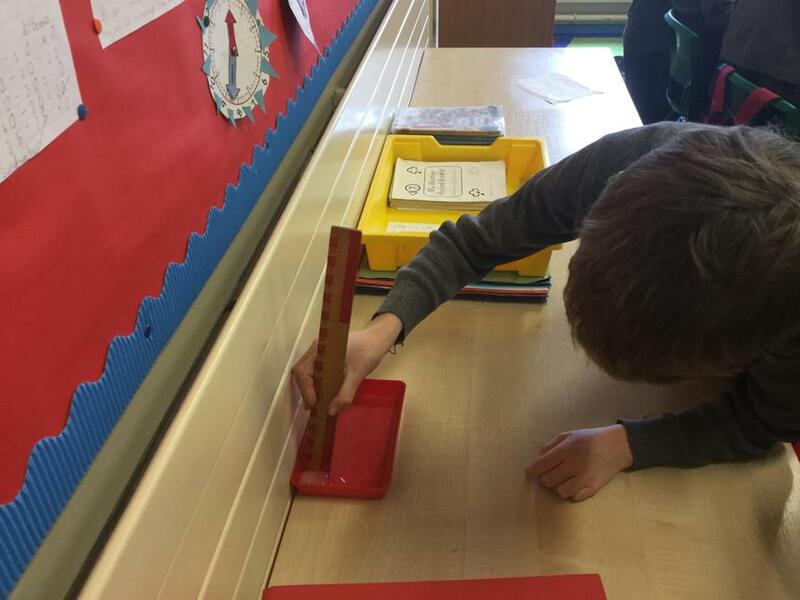 We observed, measured, recorded and evaluated our results. 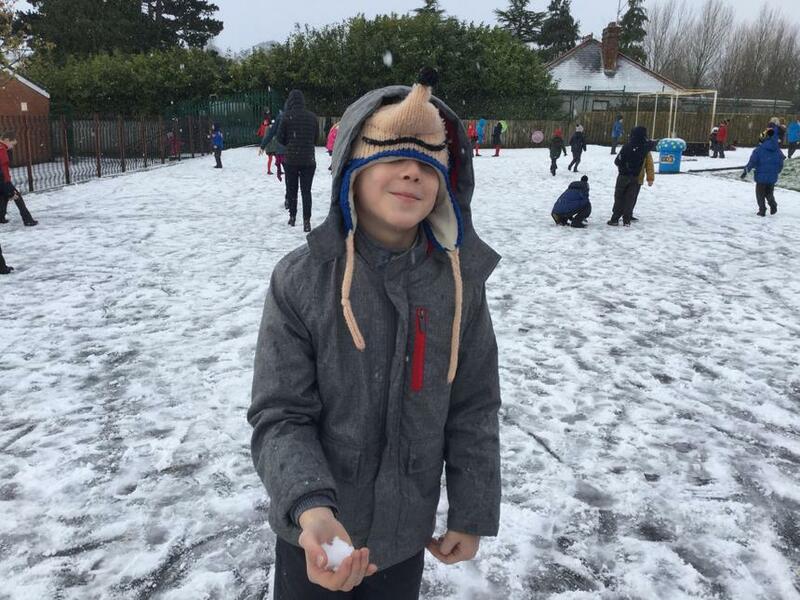 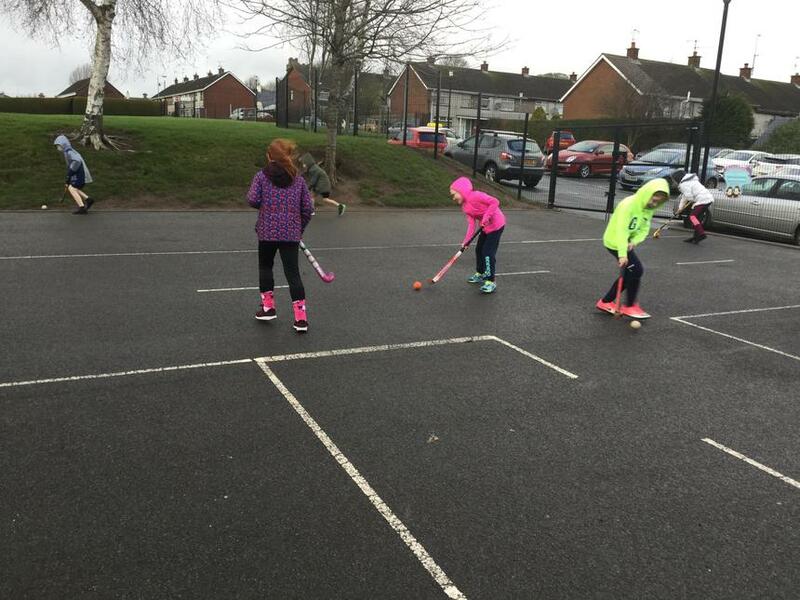 It was a cold day and it took over 2 hours for the ice cube placed outside to melt! 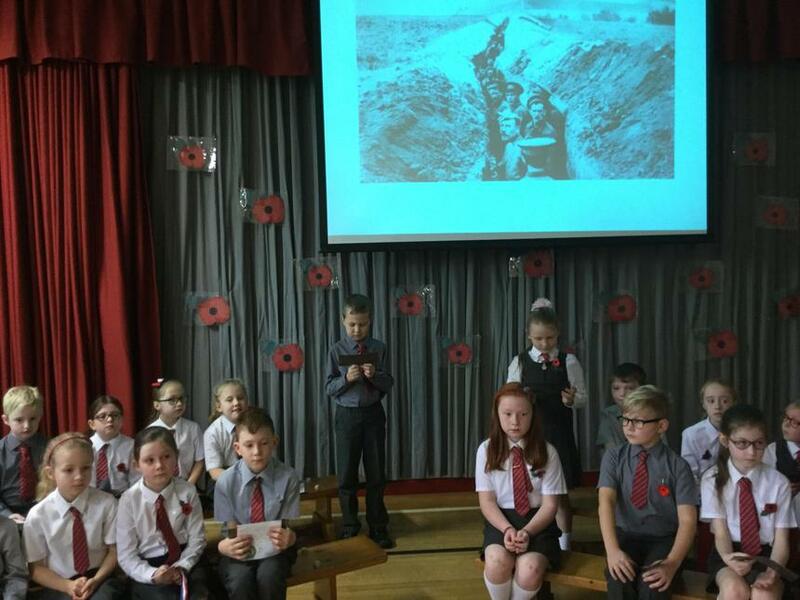 We used the Green Screen App on our iPads to add our photos to World War II pictures. 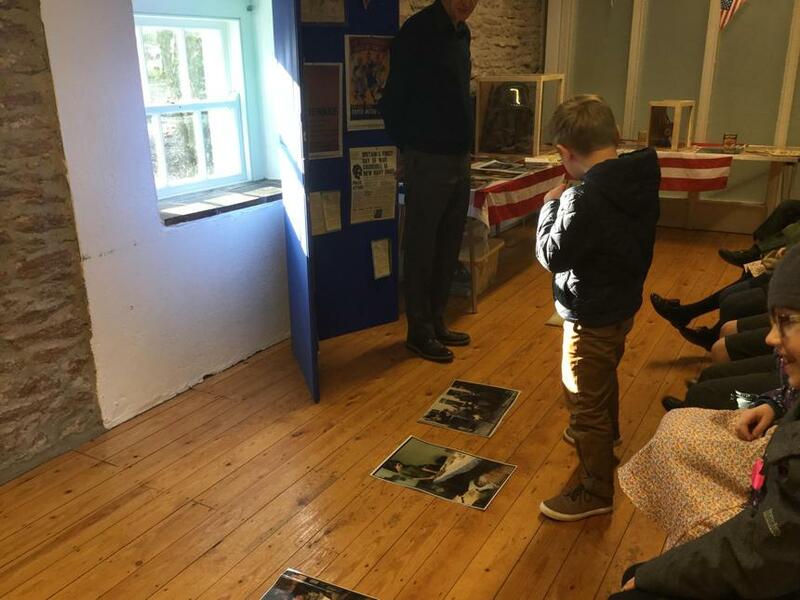 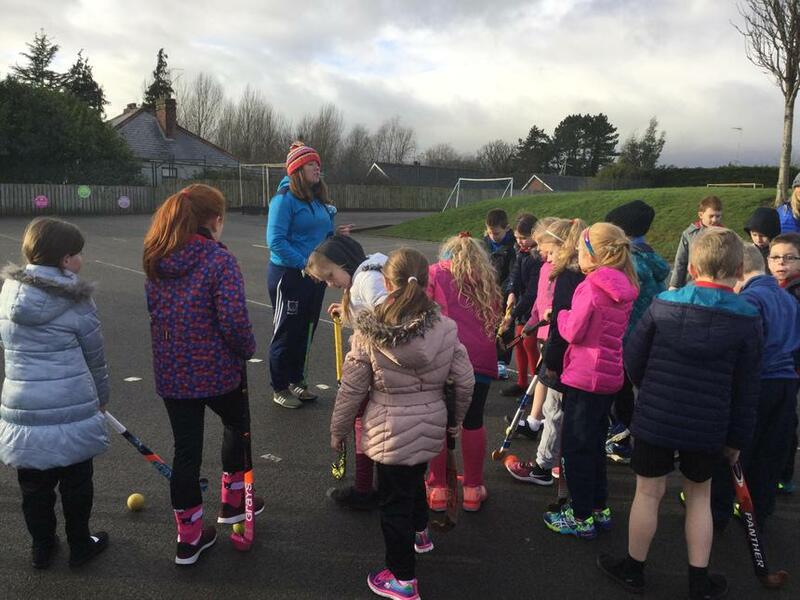 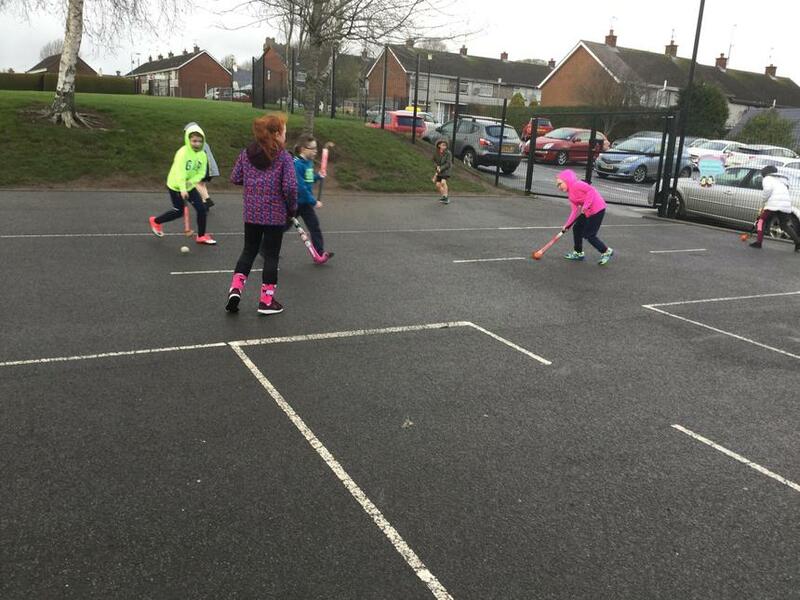 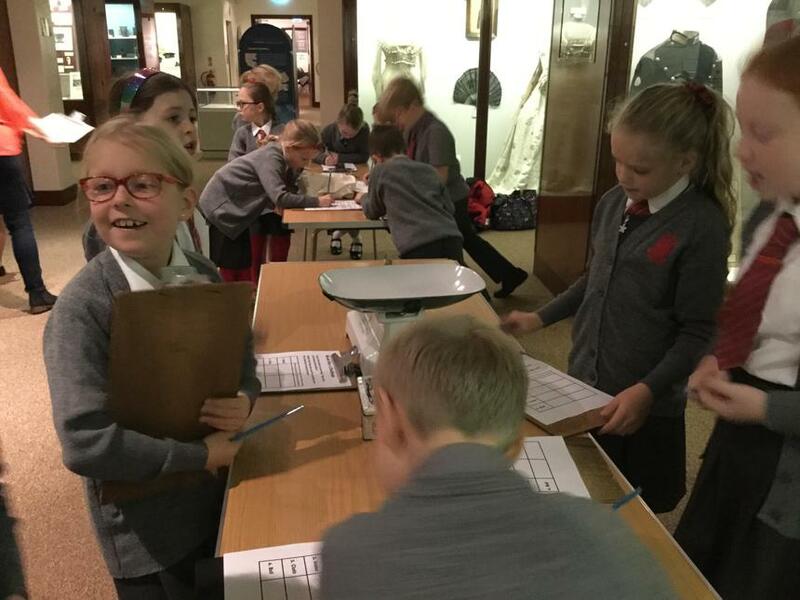 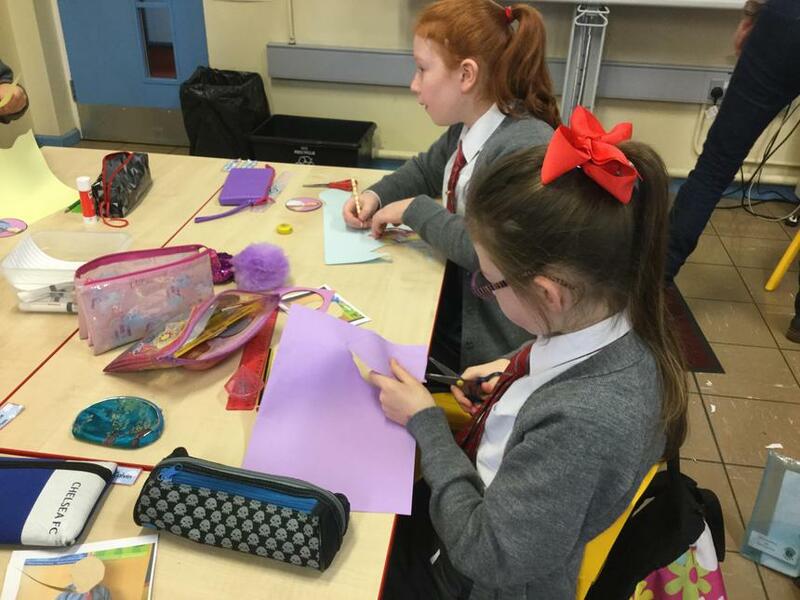 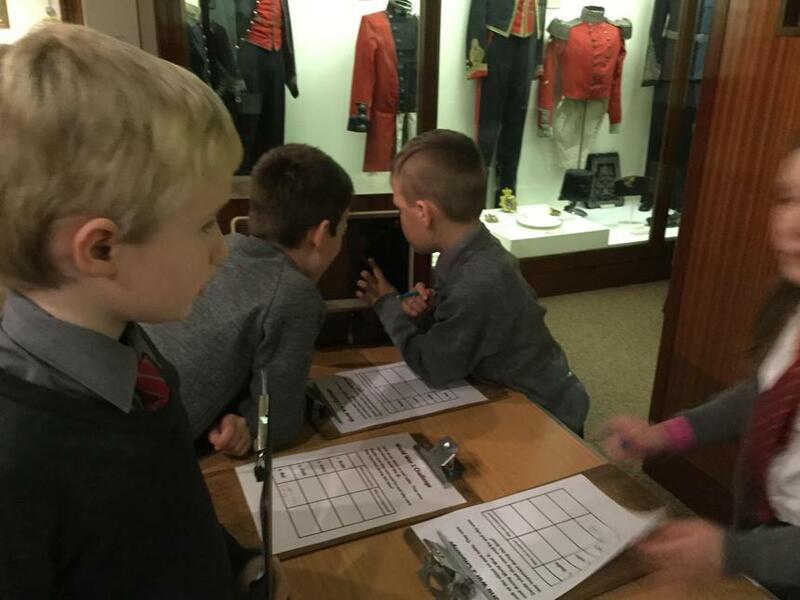 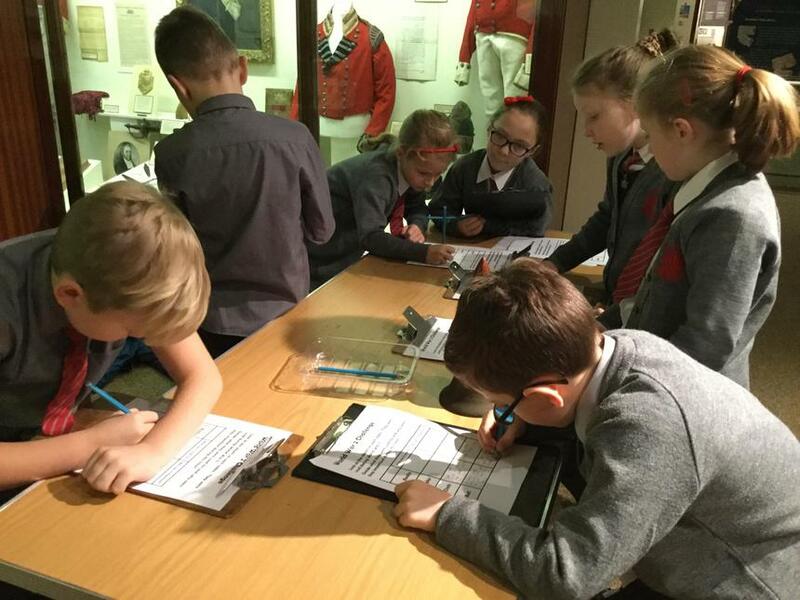 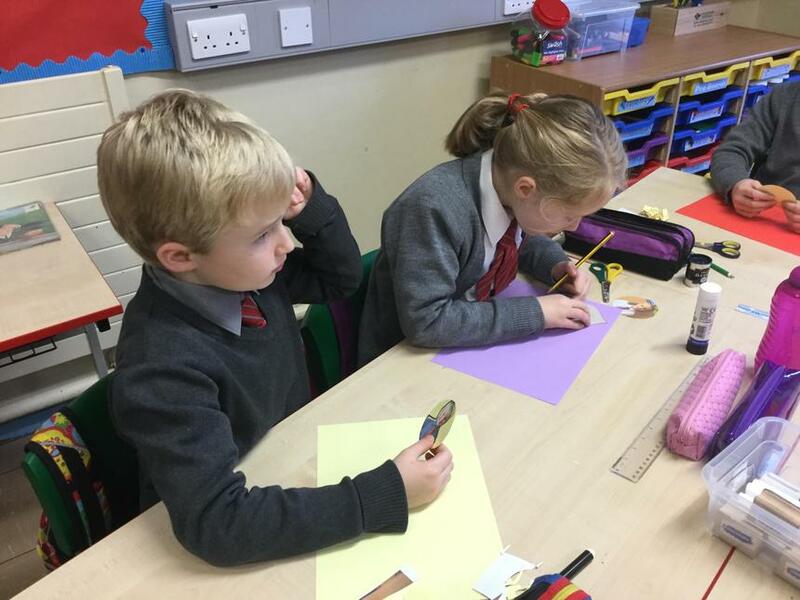 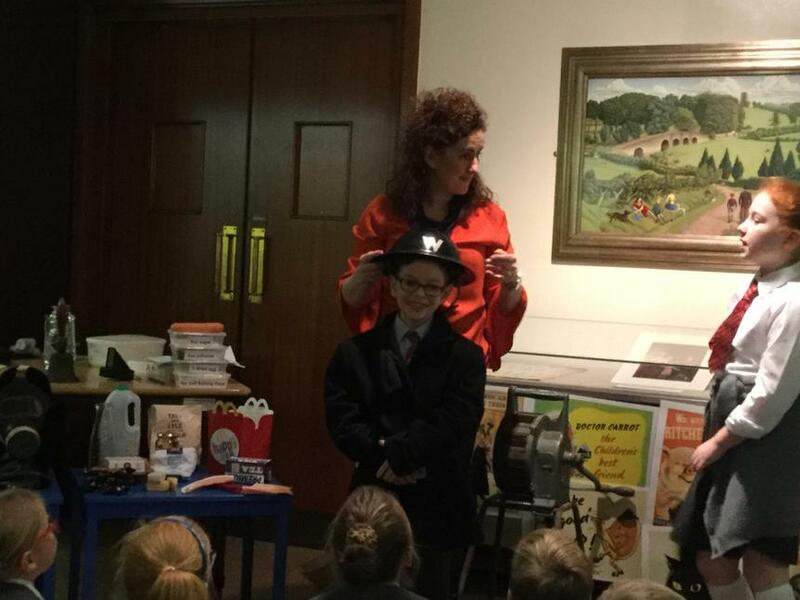 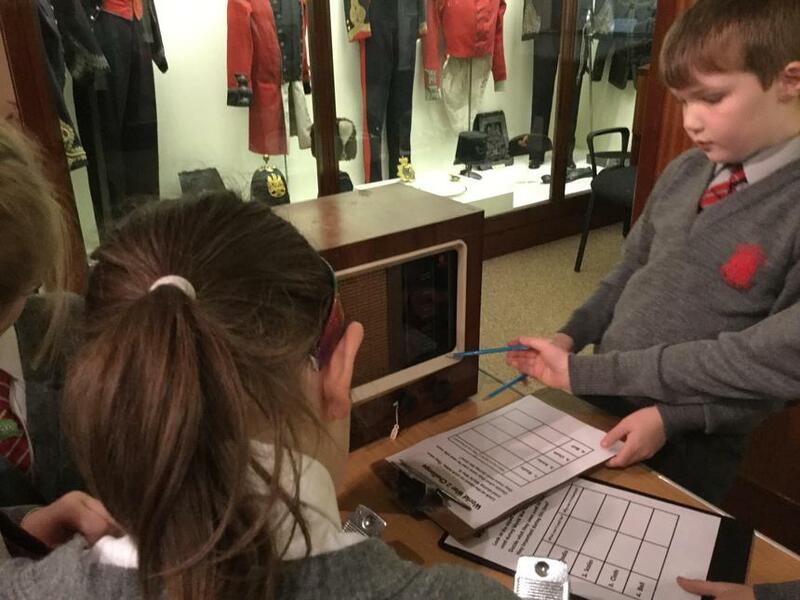 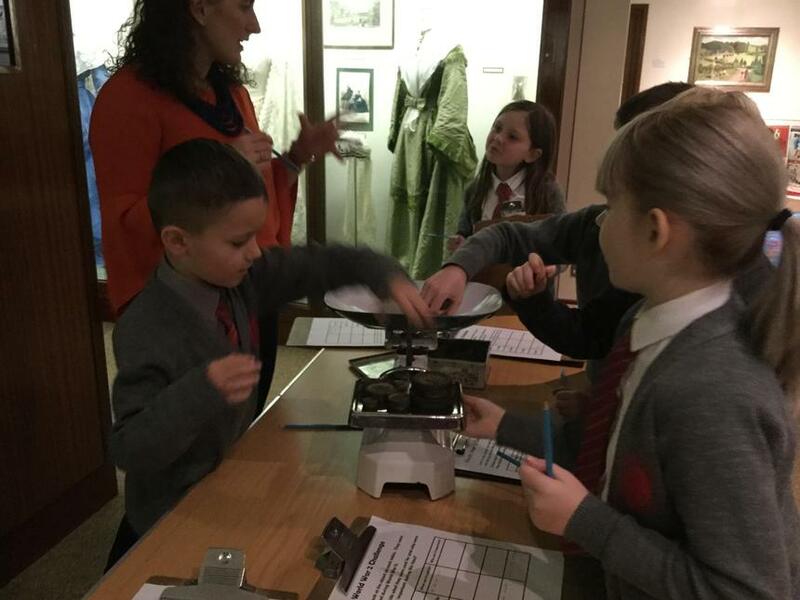 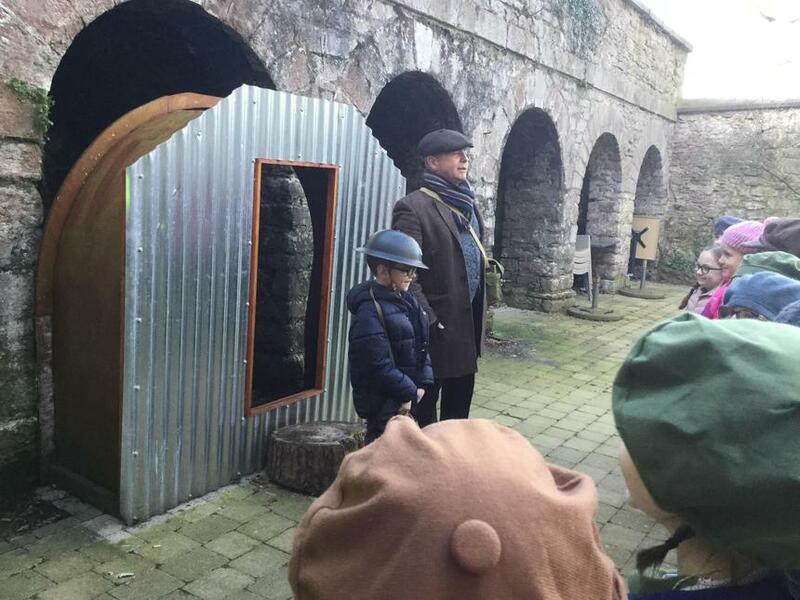 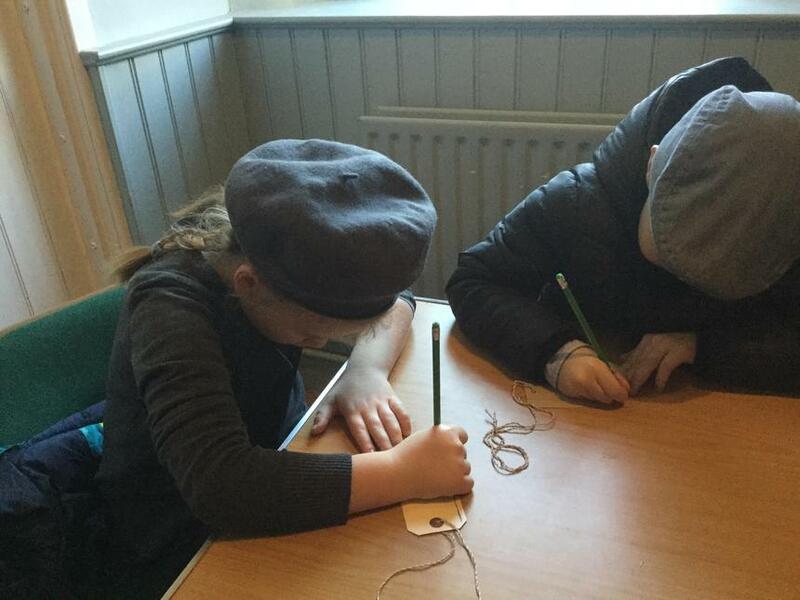 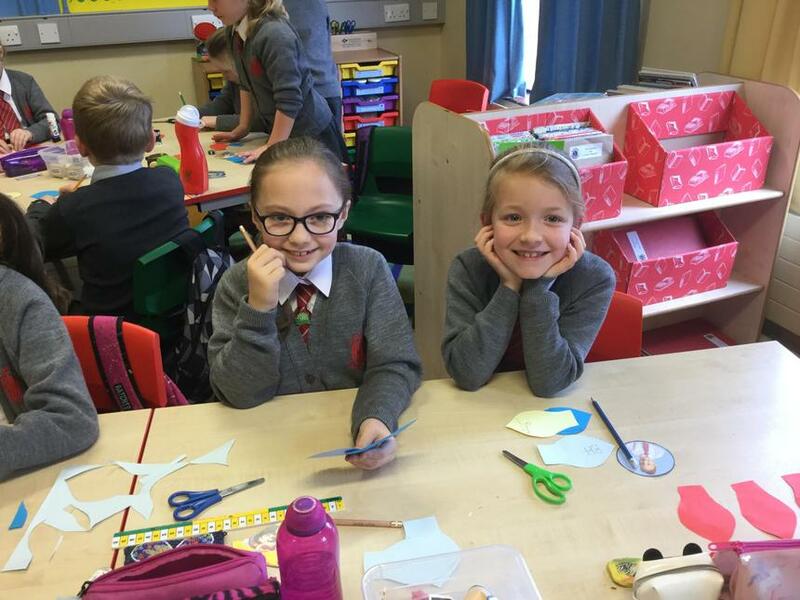 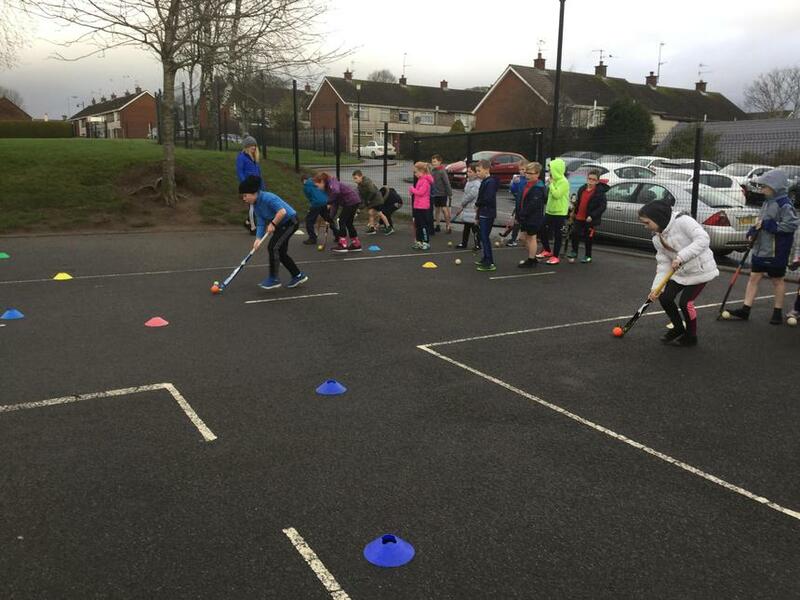 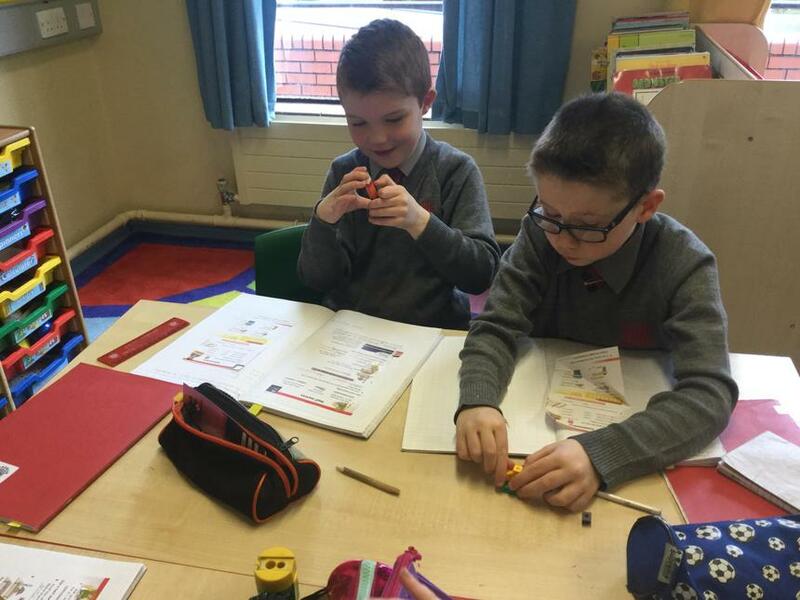 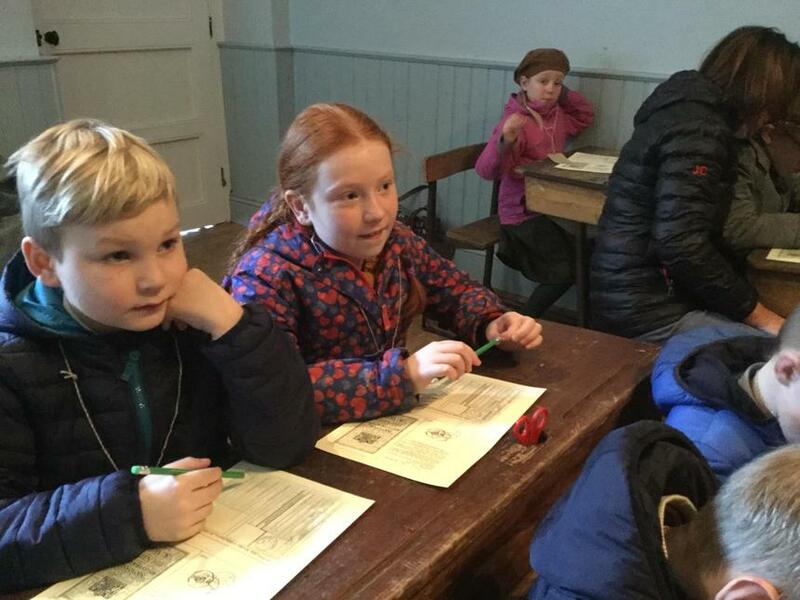 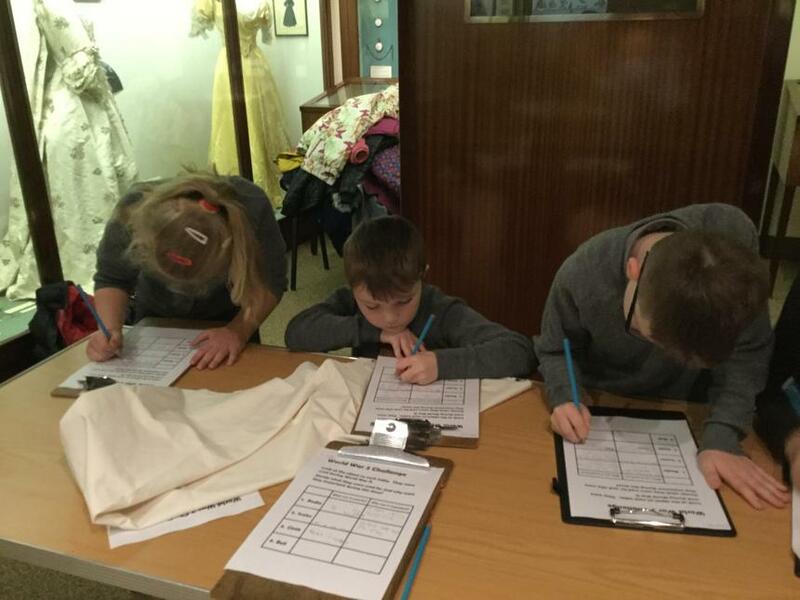 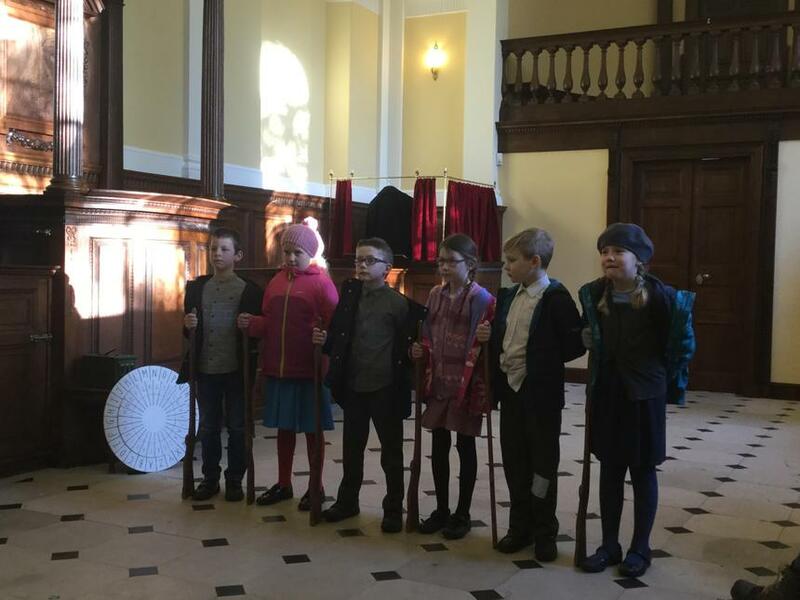 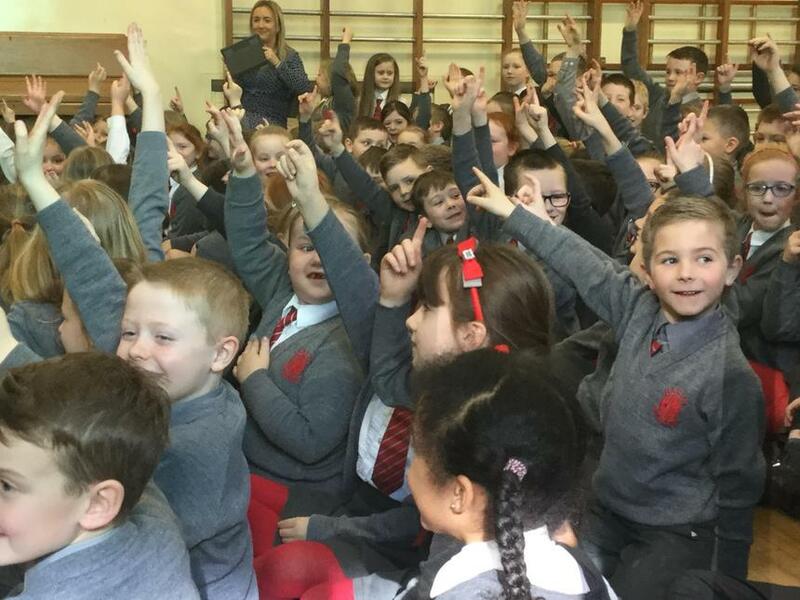 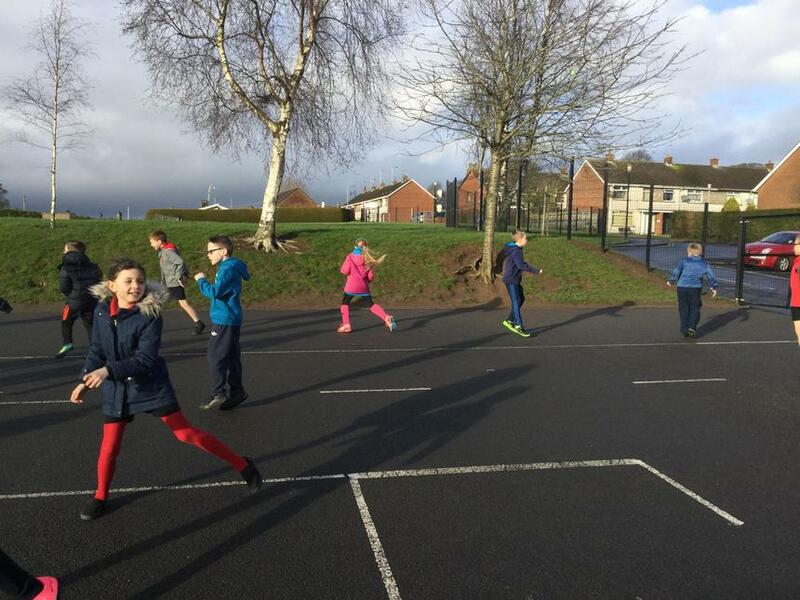 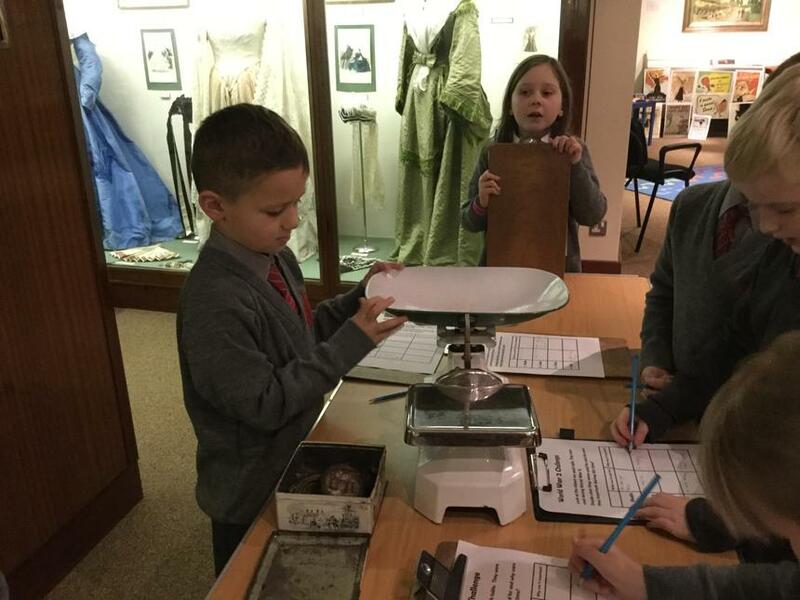 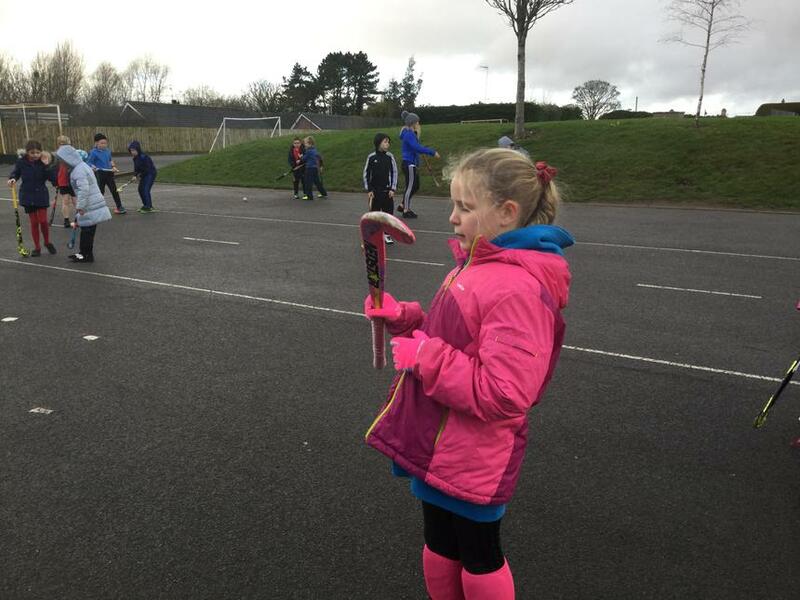 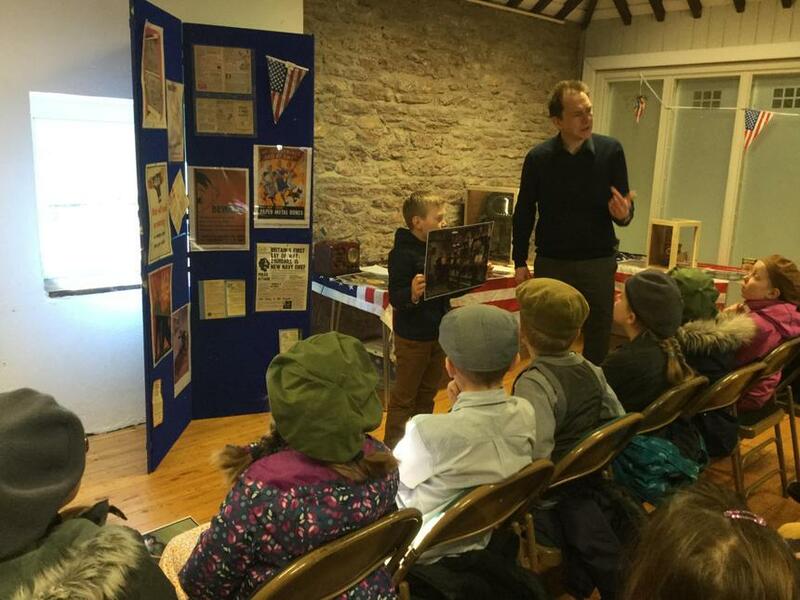 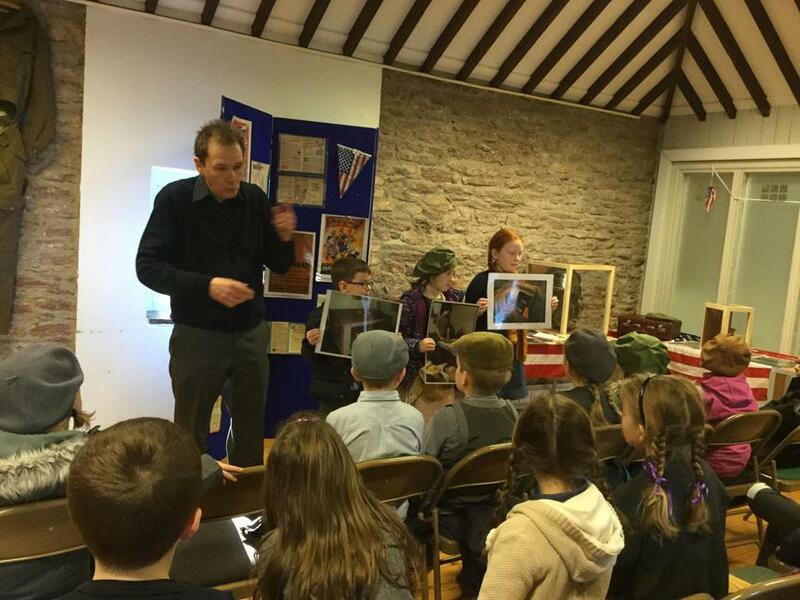 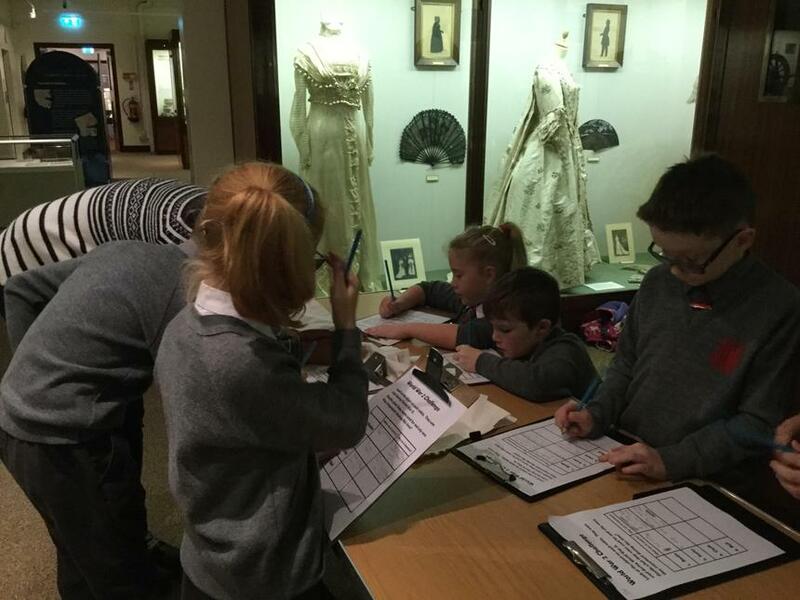 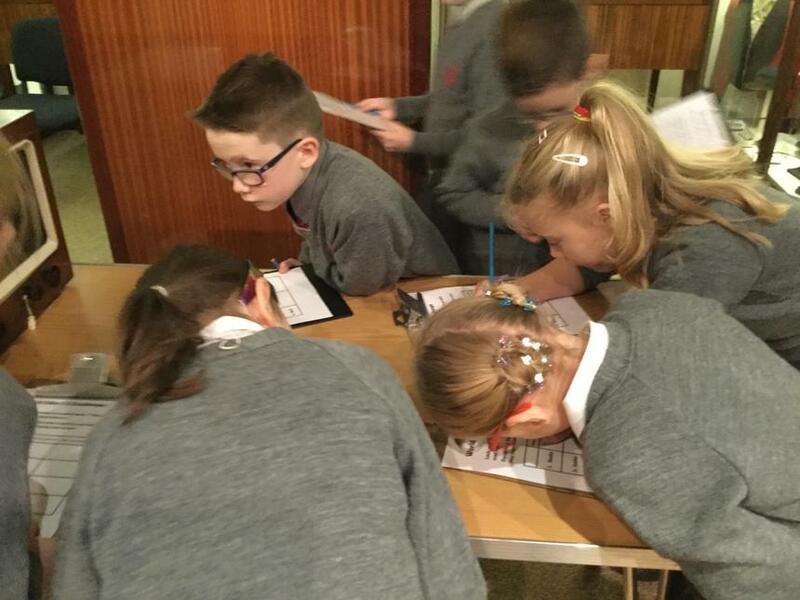 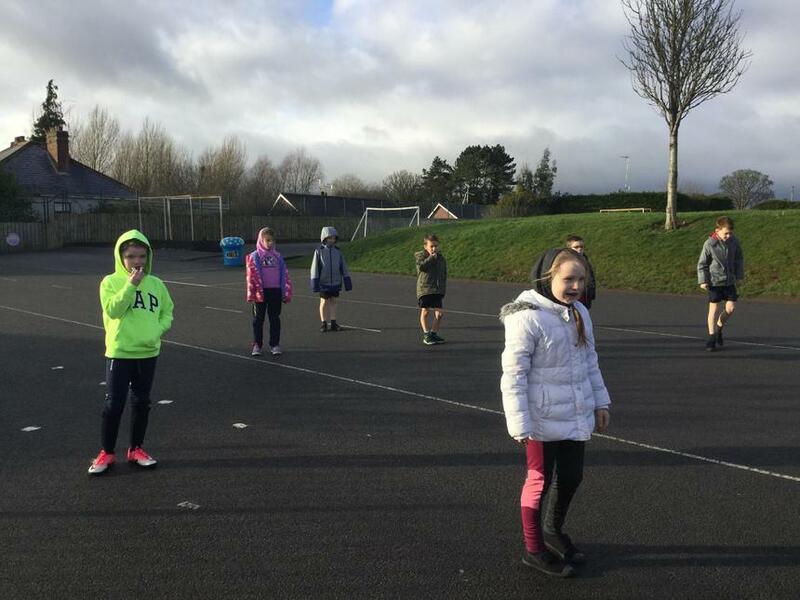 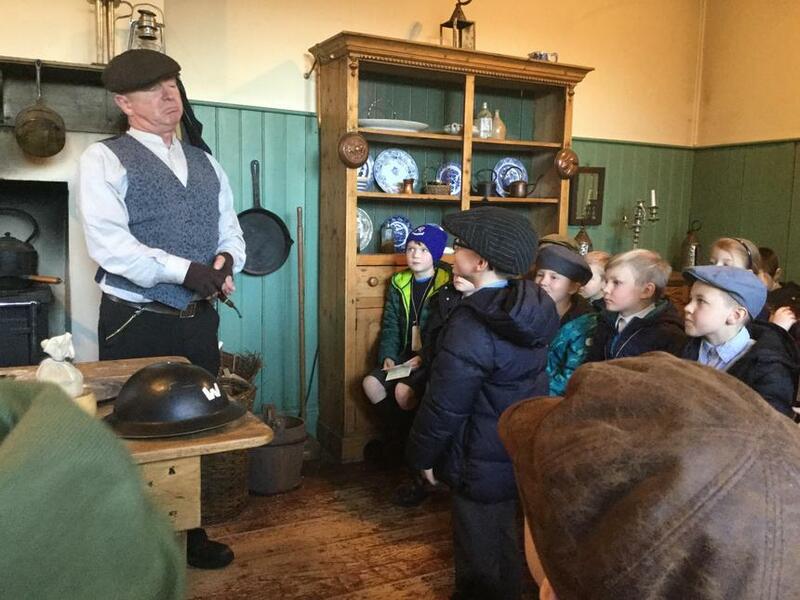 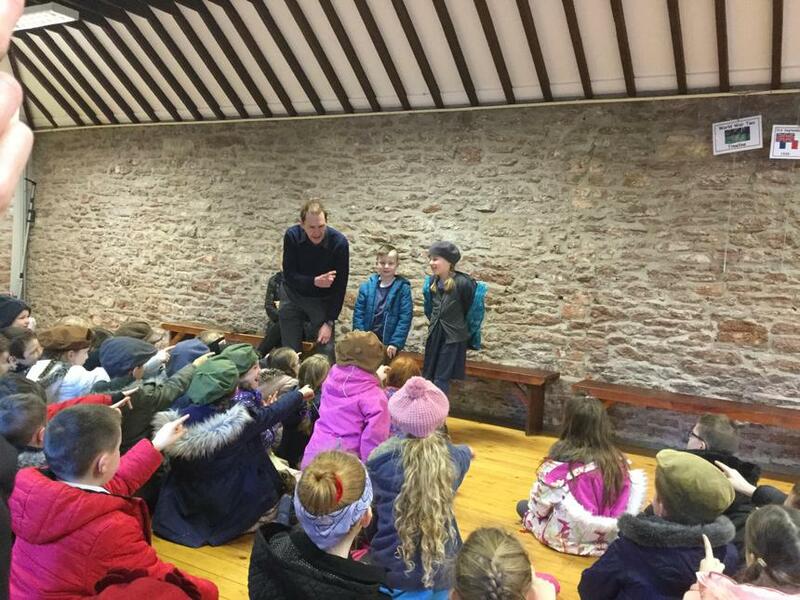 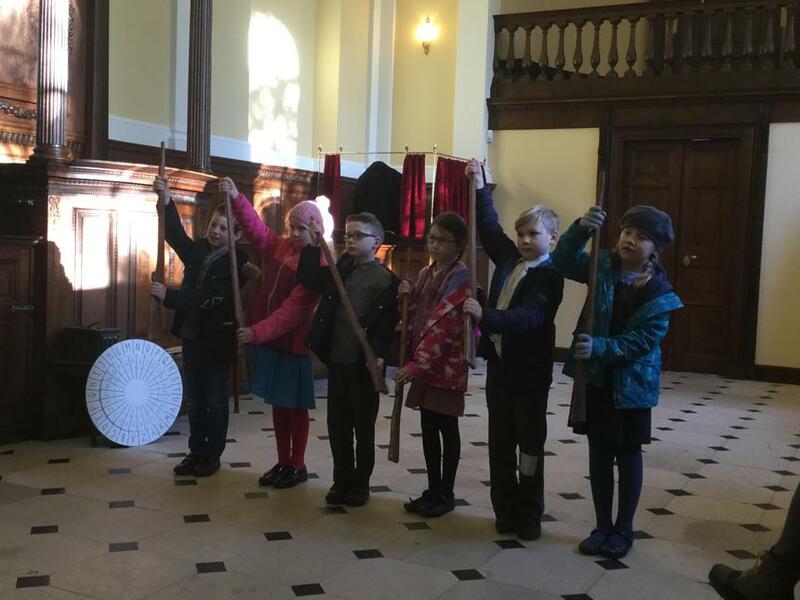 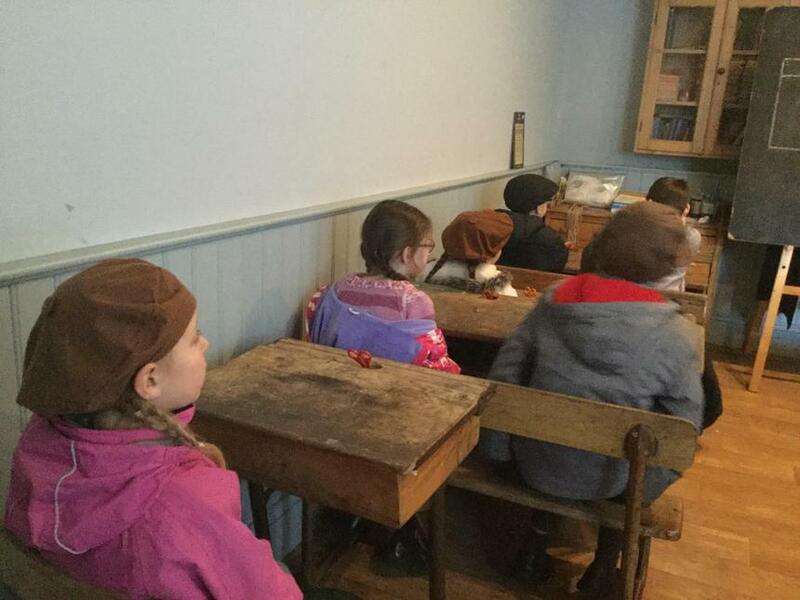 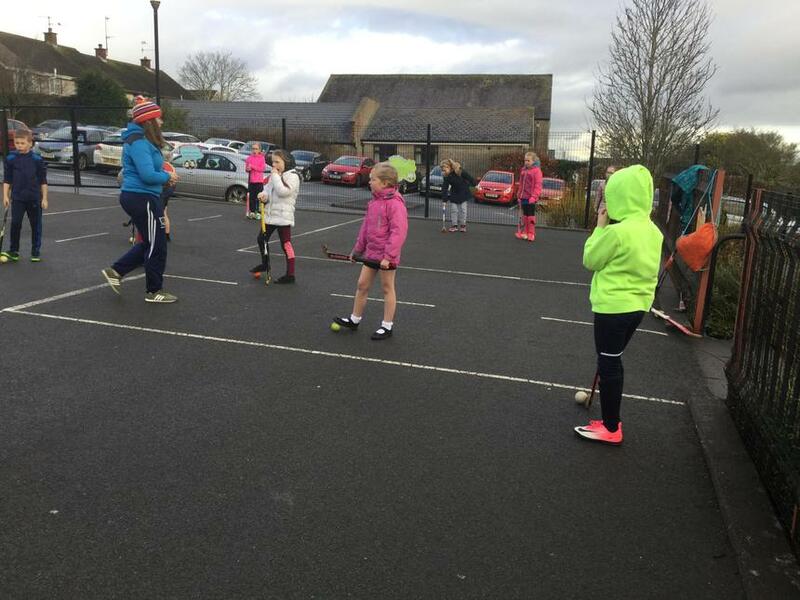 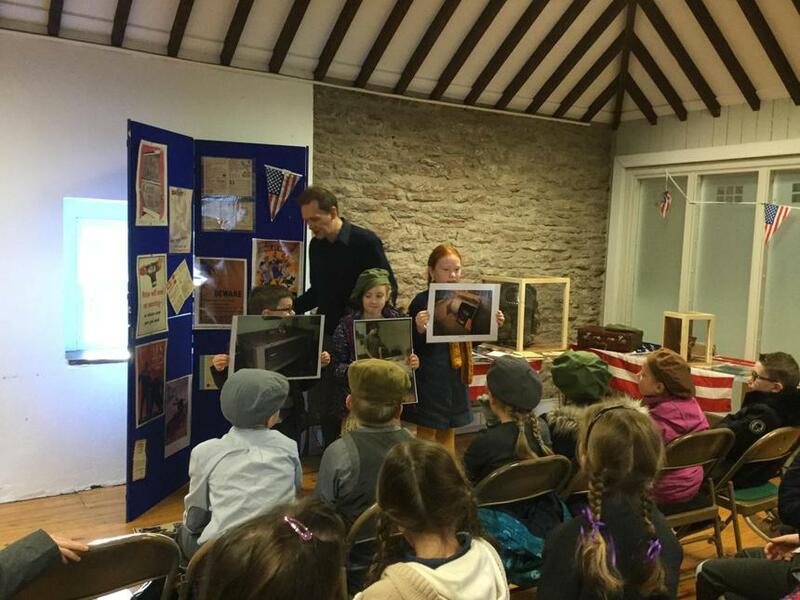 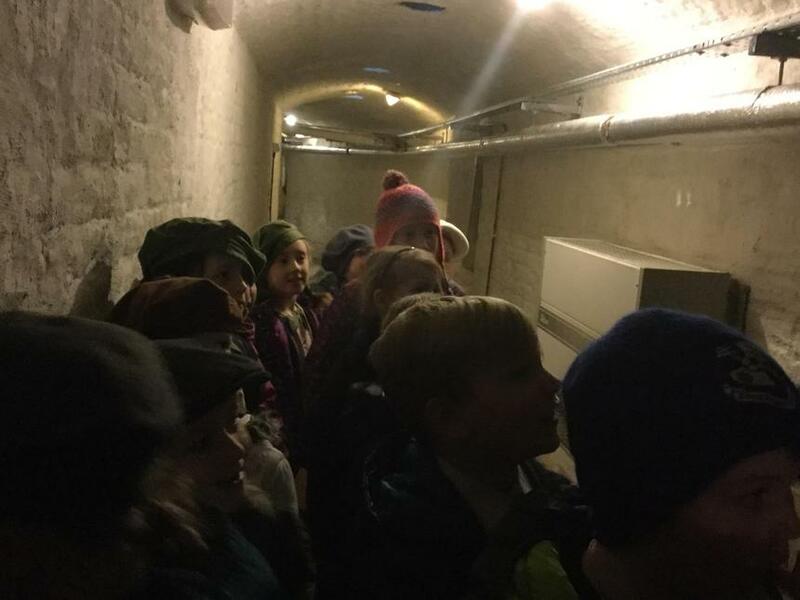 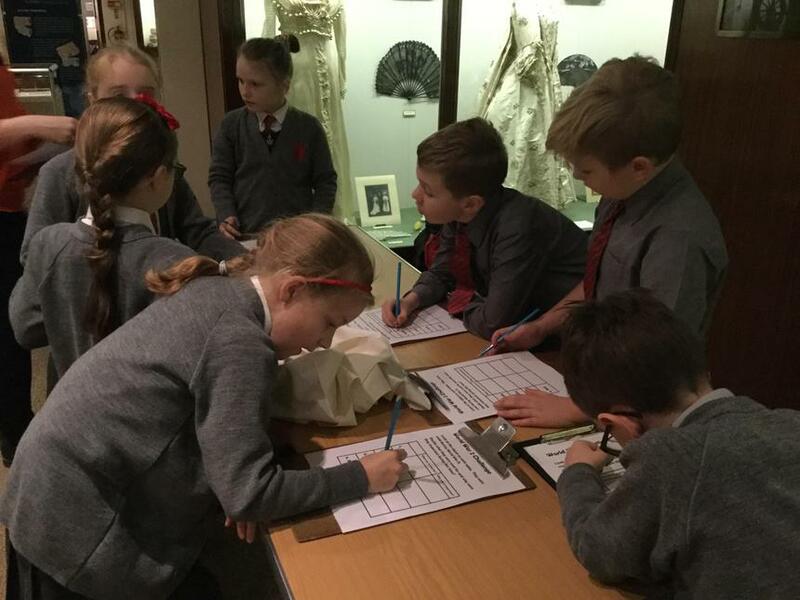 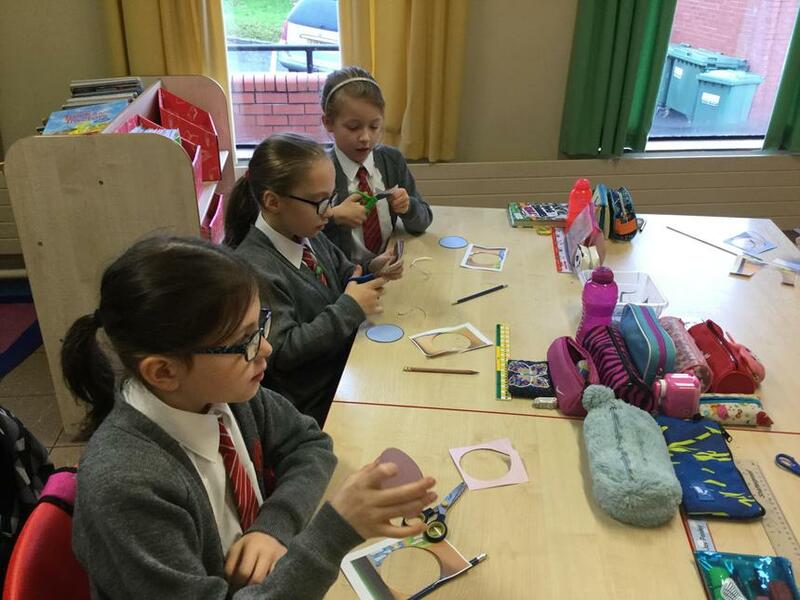 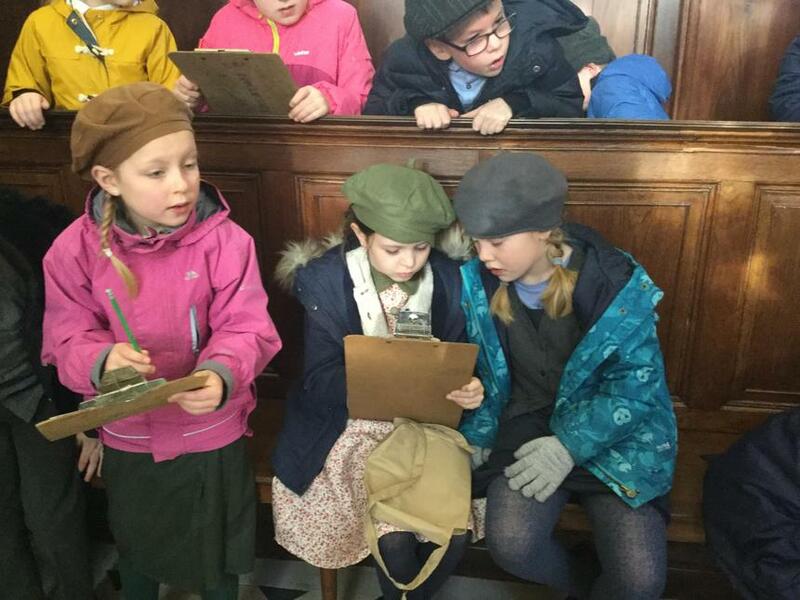 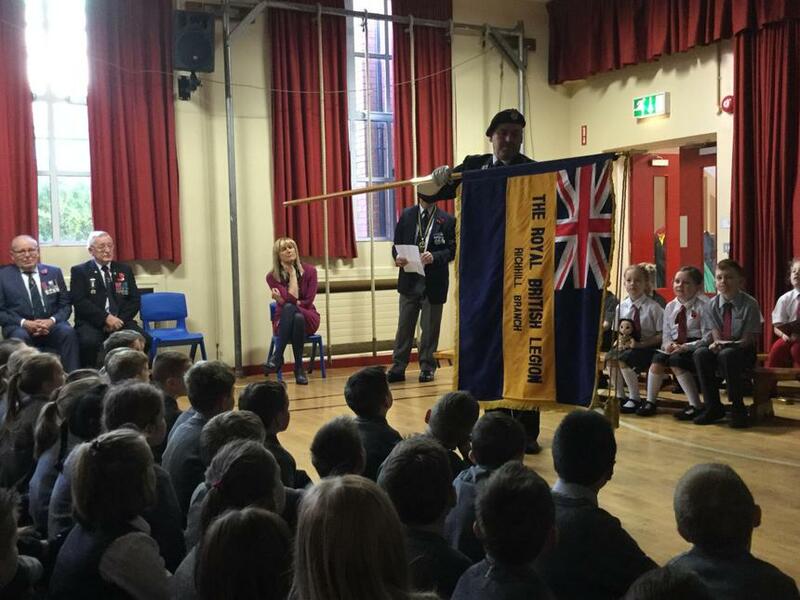 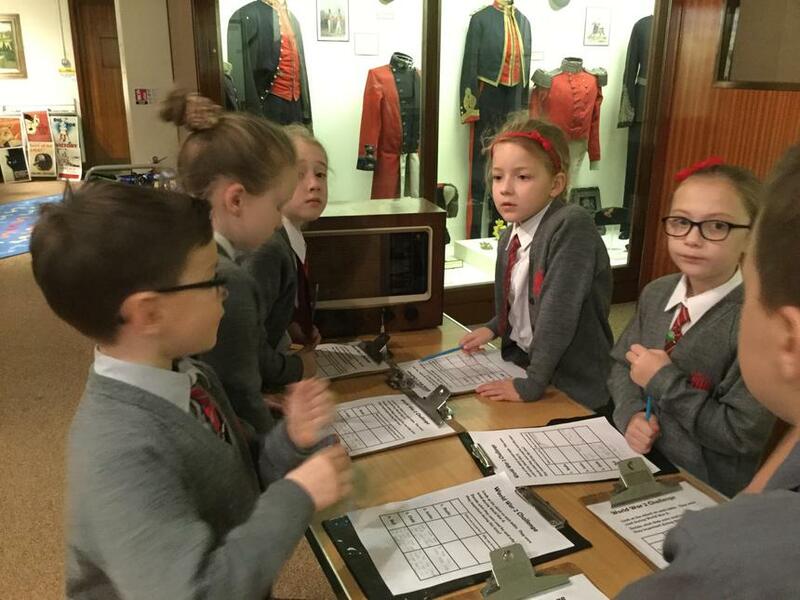 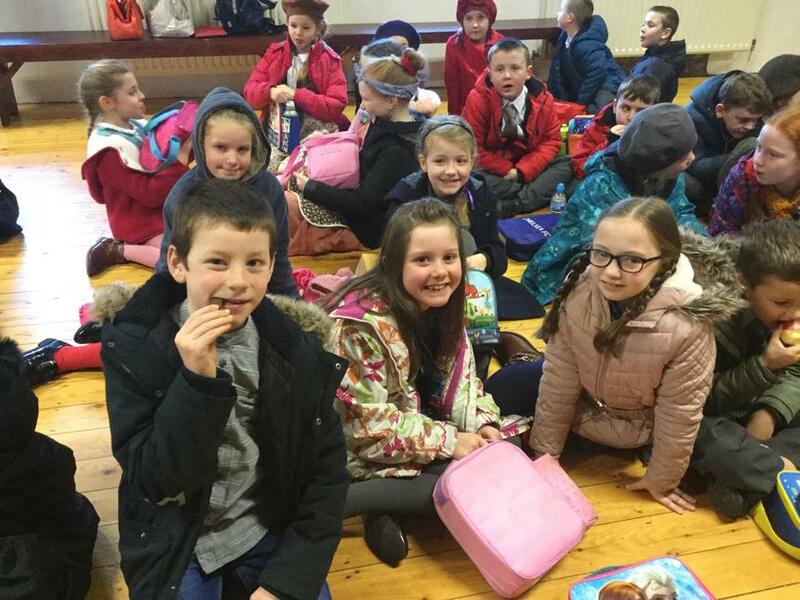 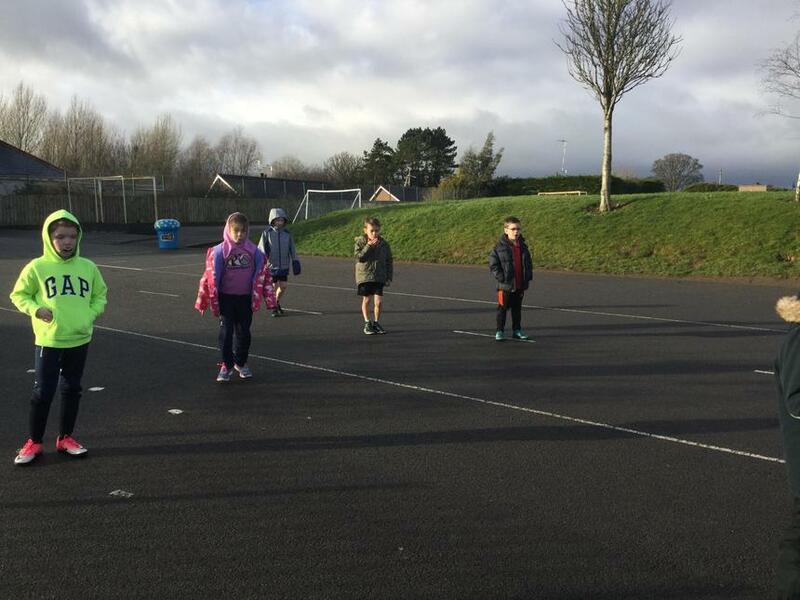 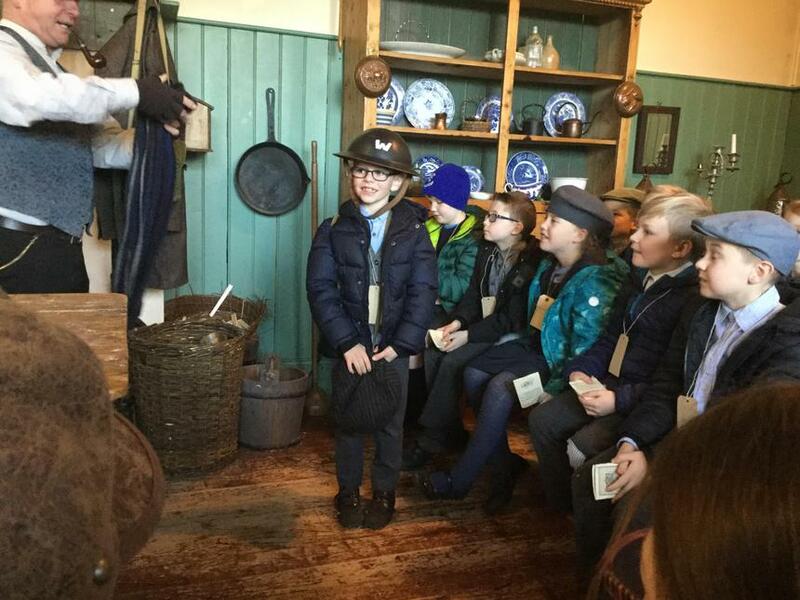 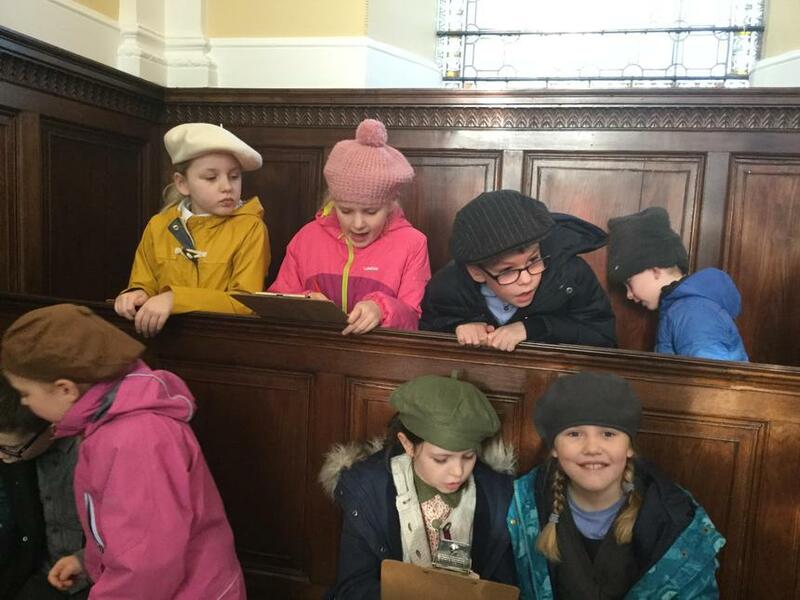 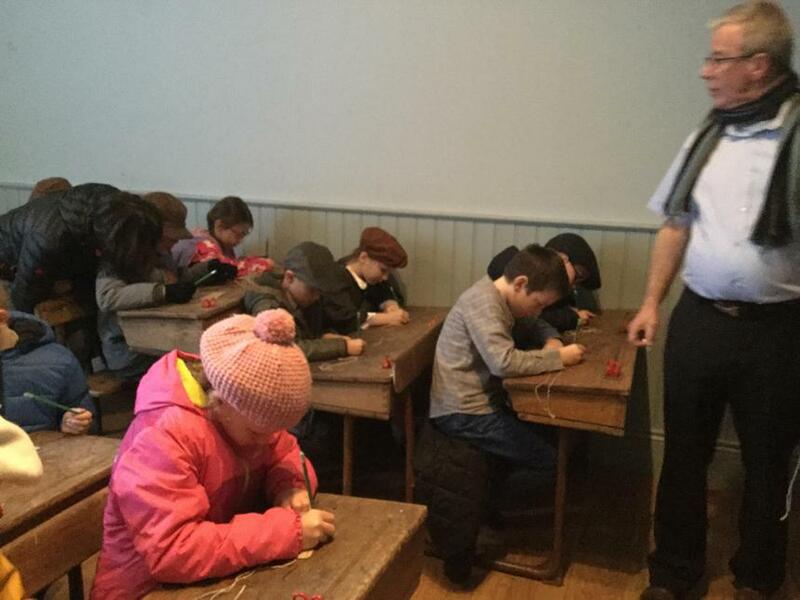 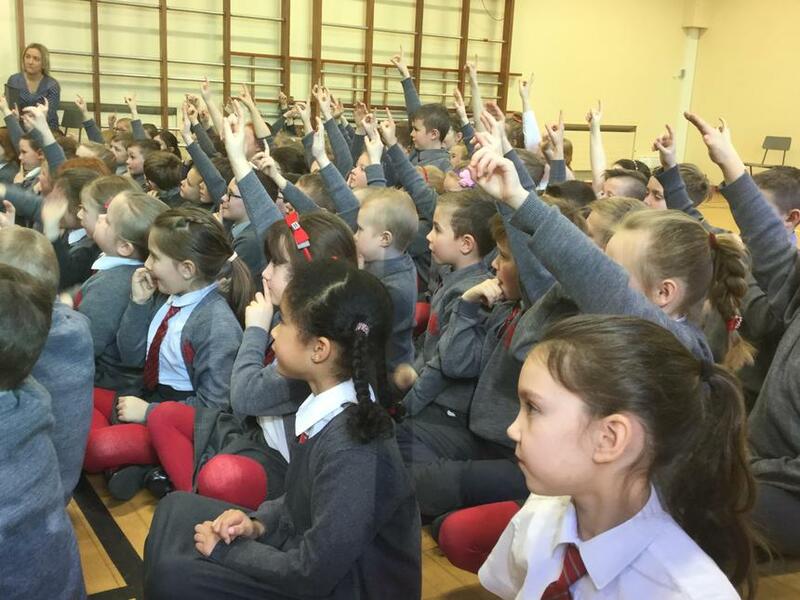 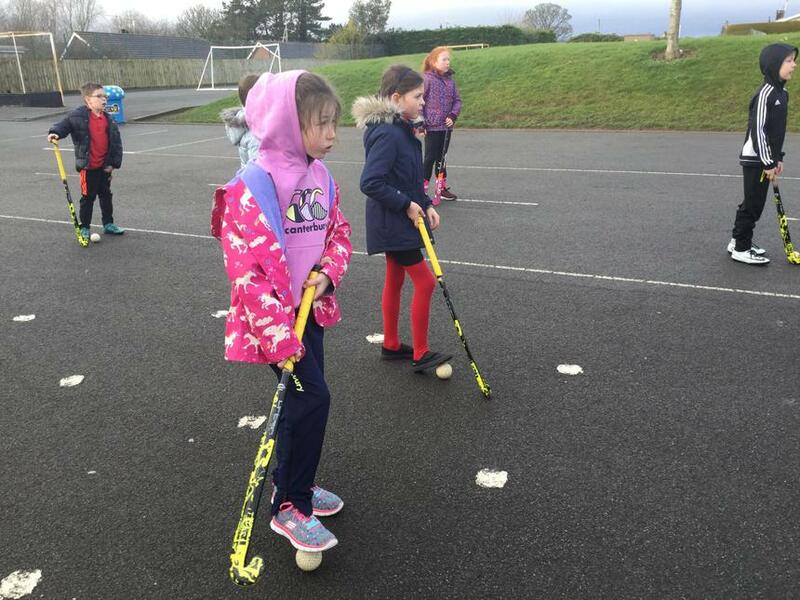 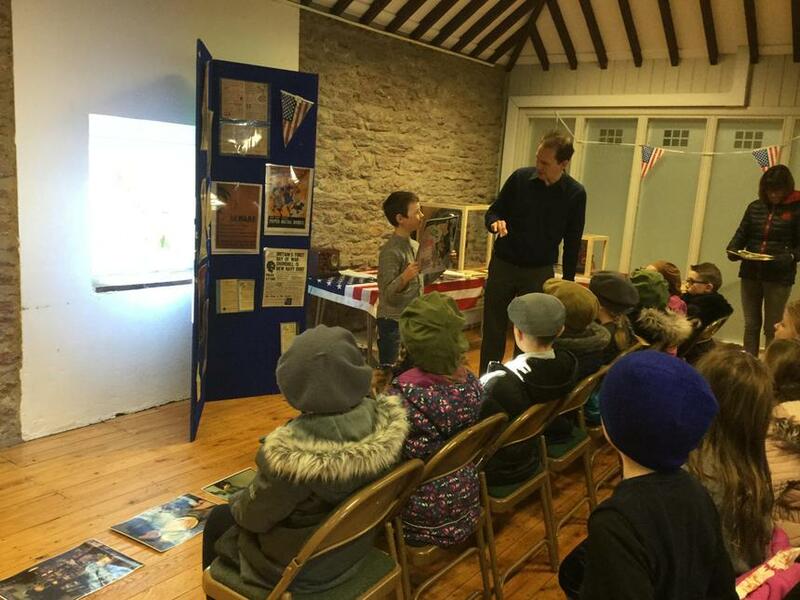 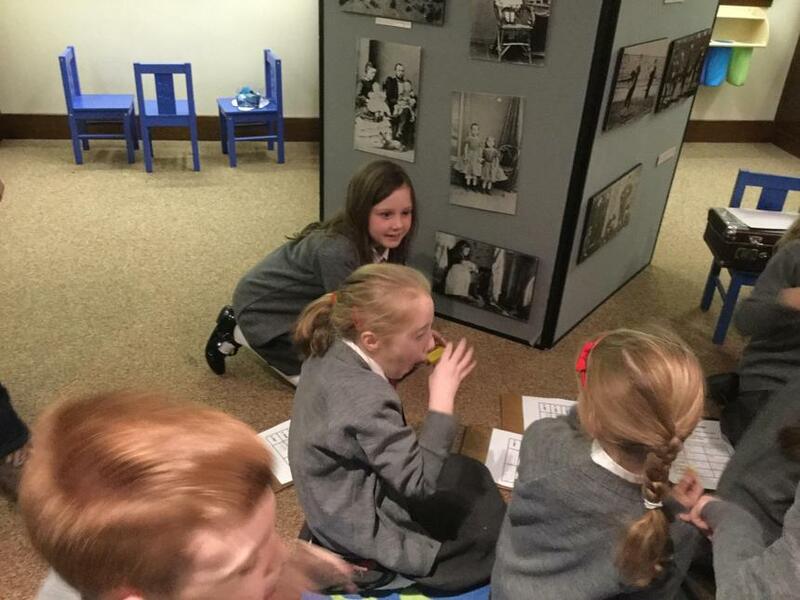 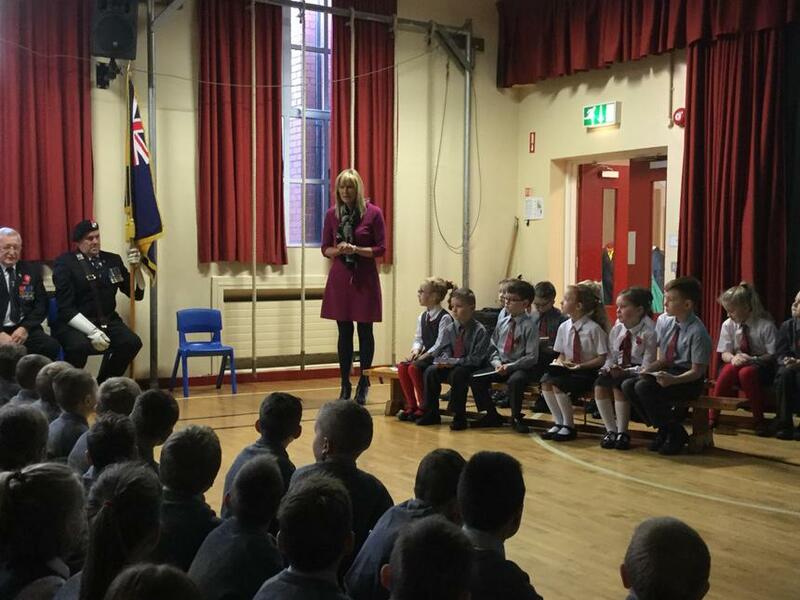 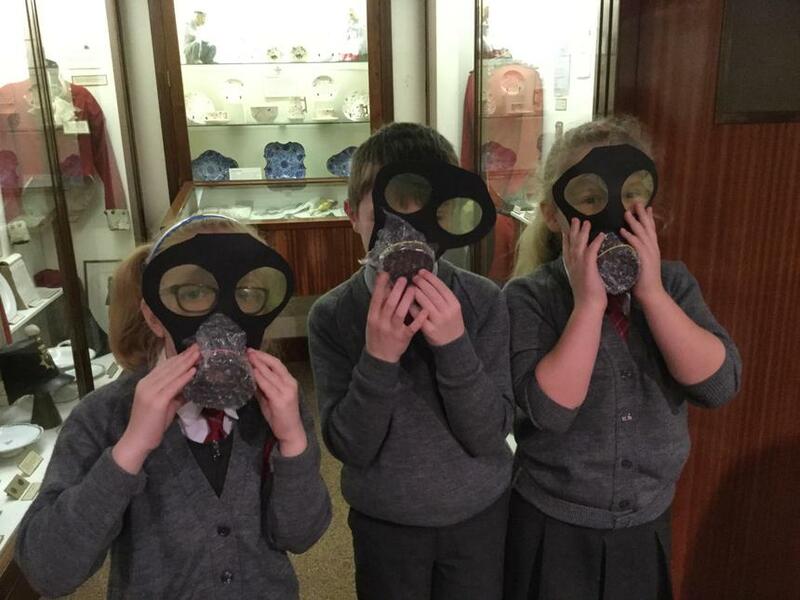 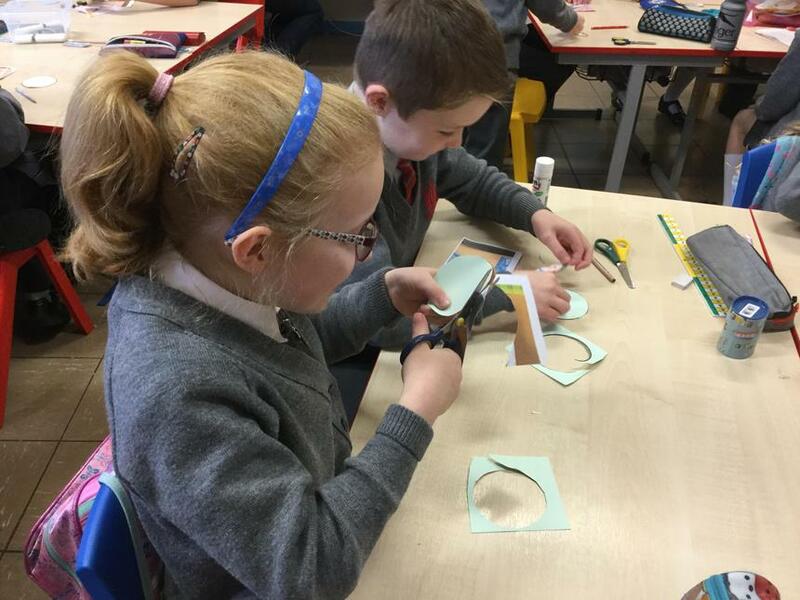 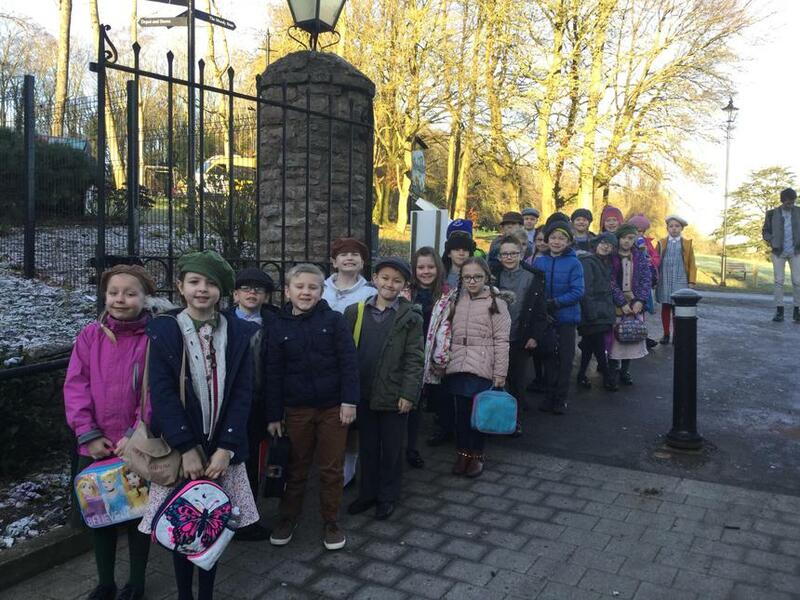 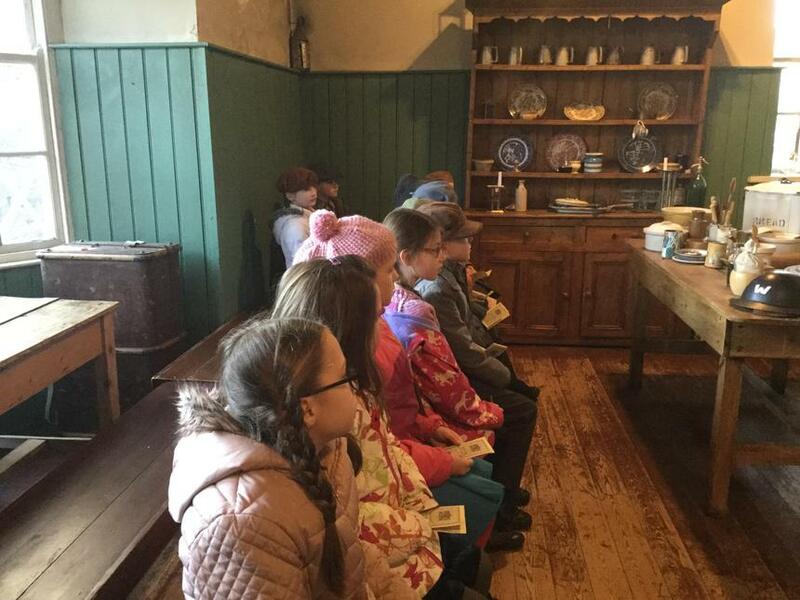 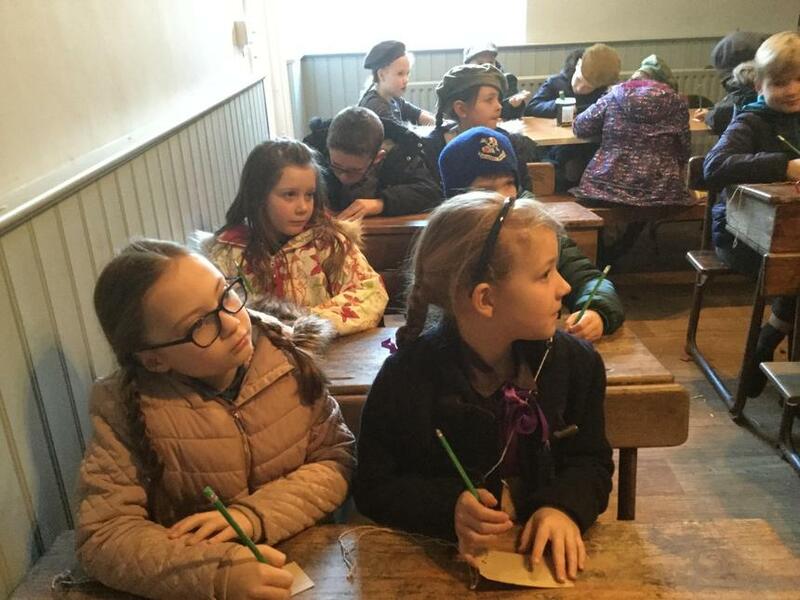 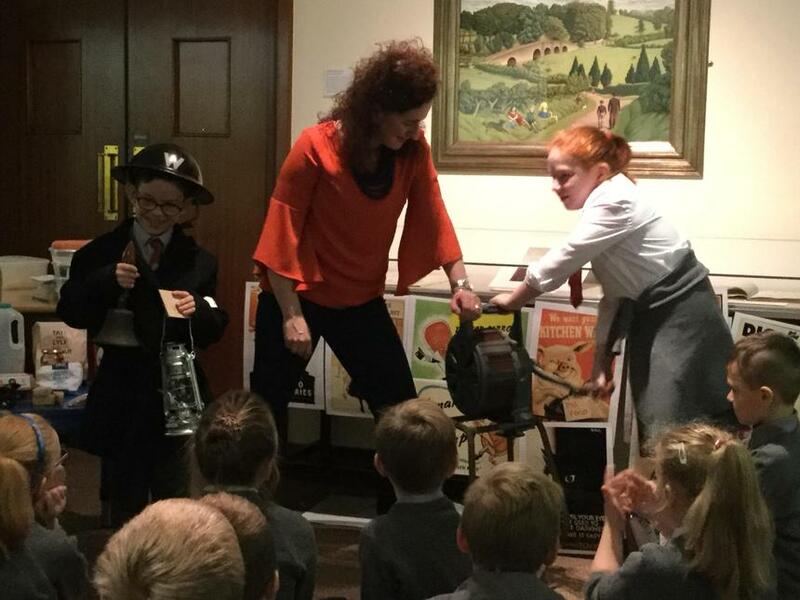 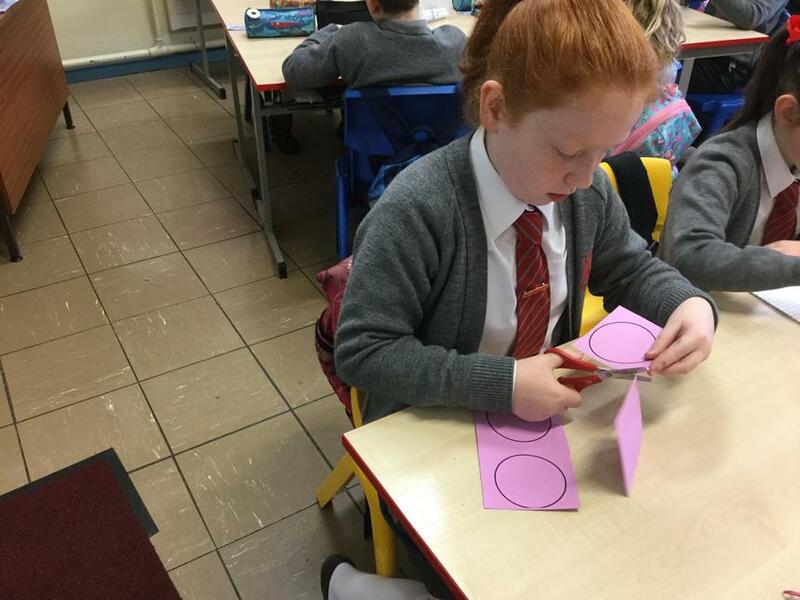 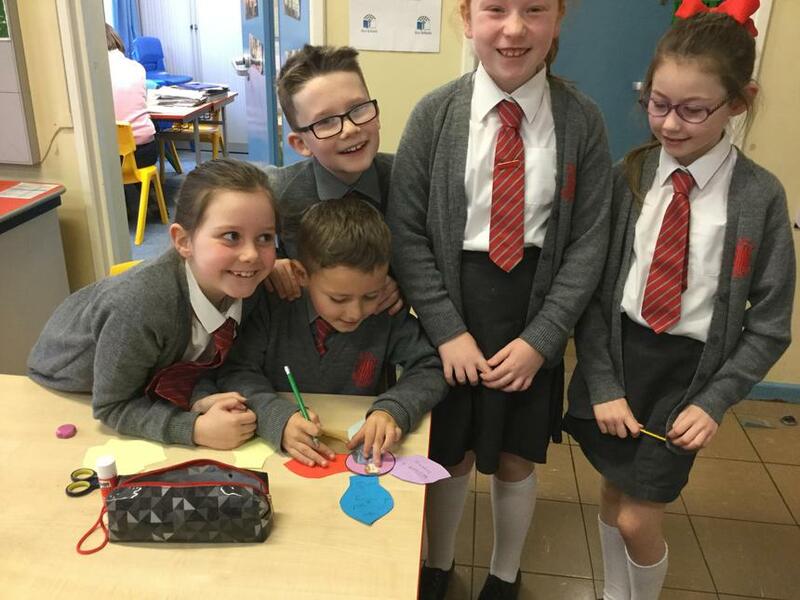 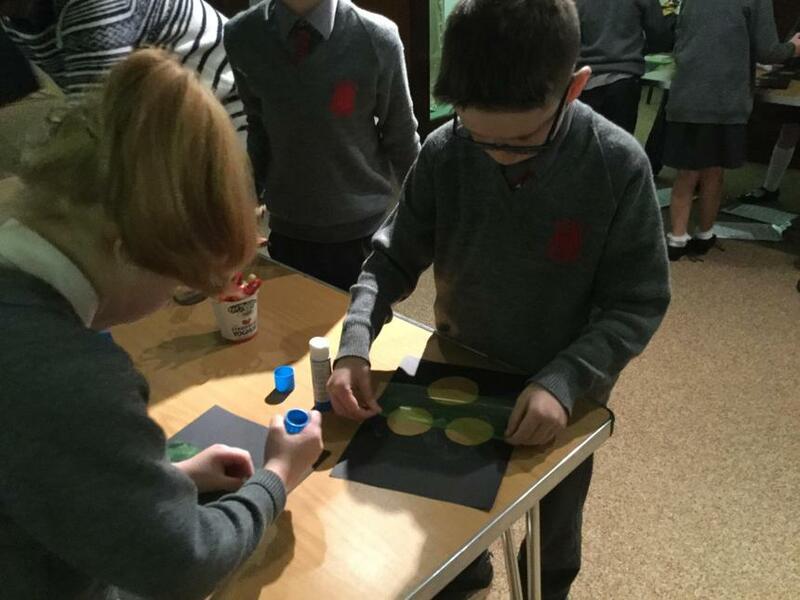 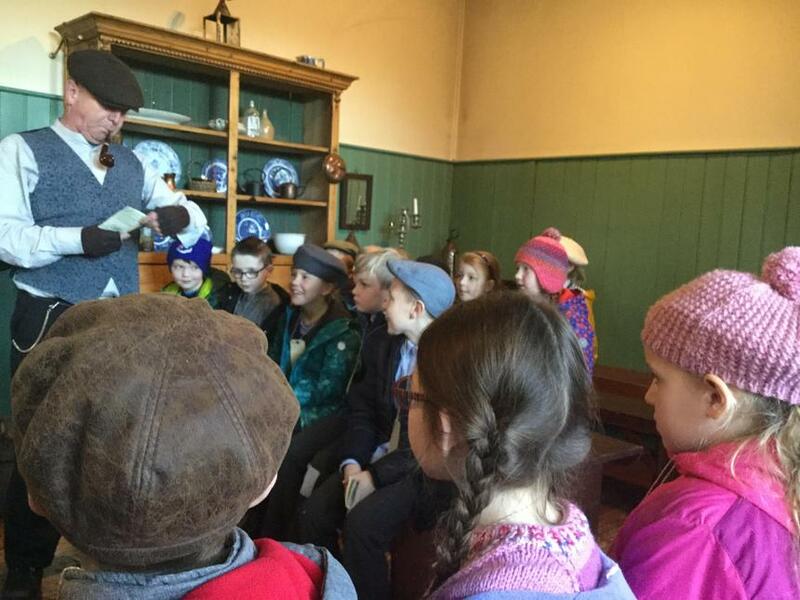 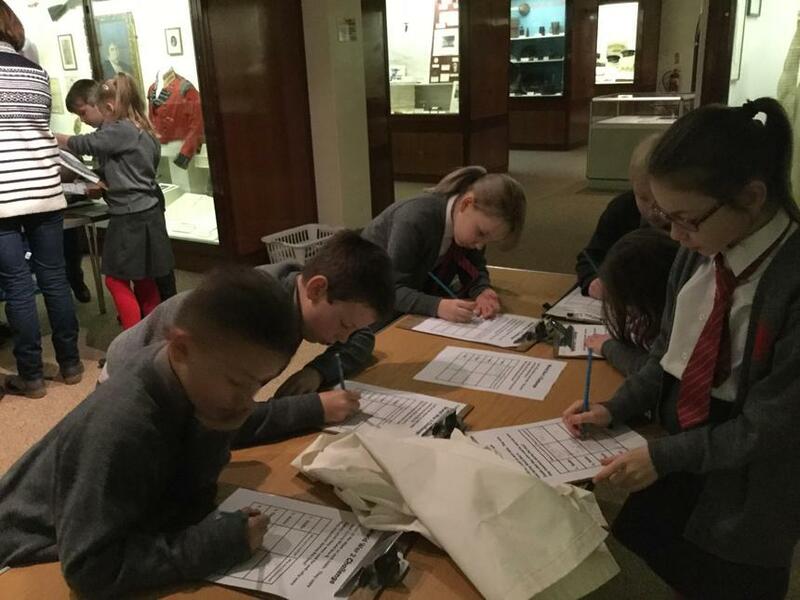 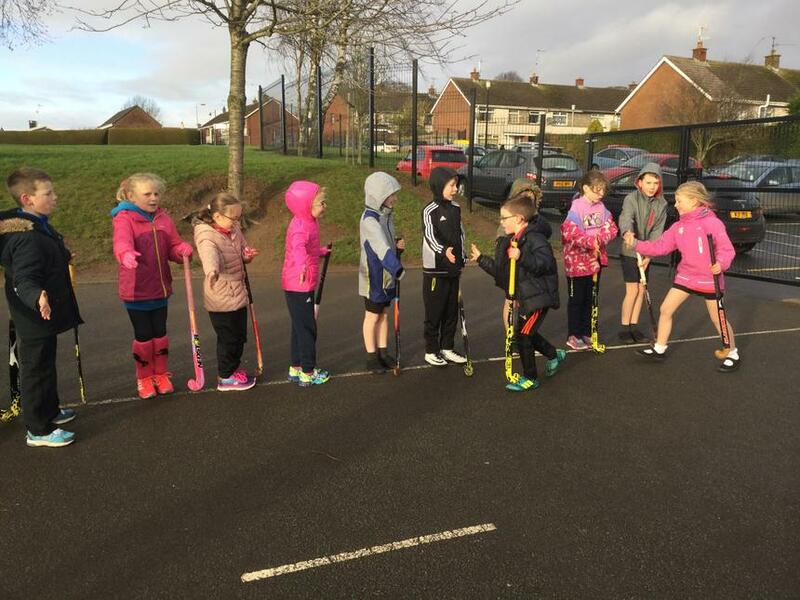 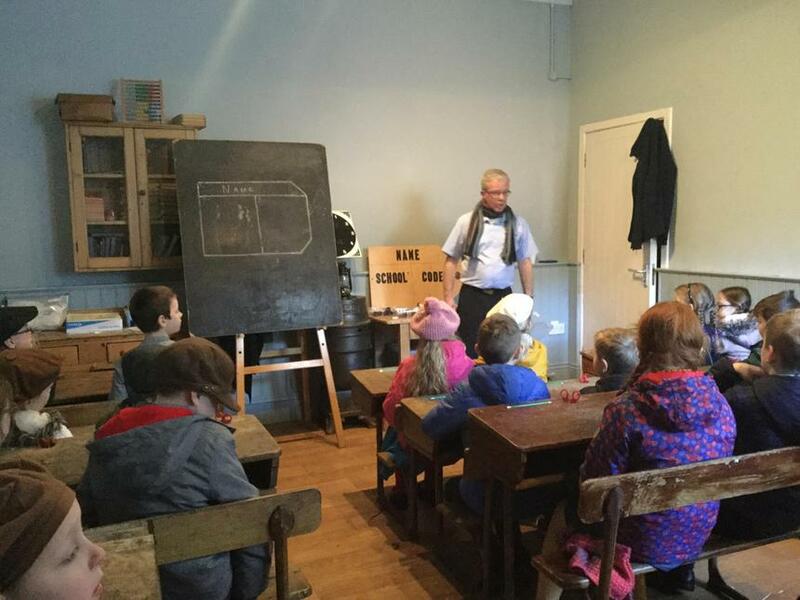 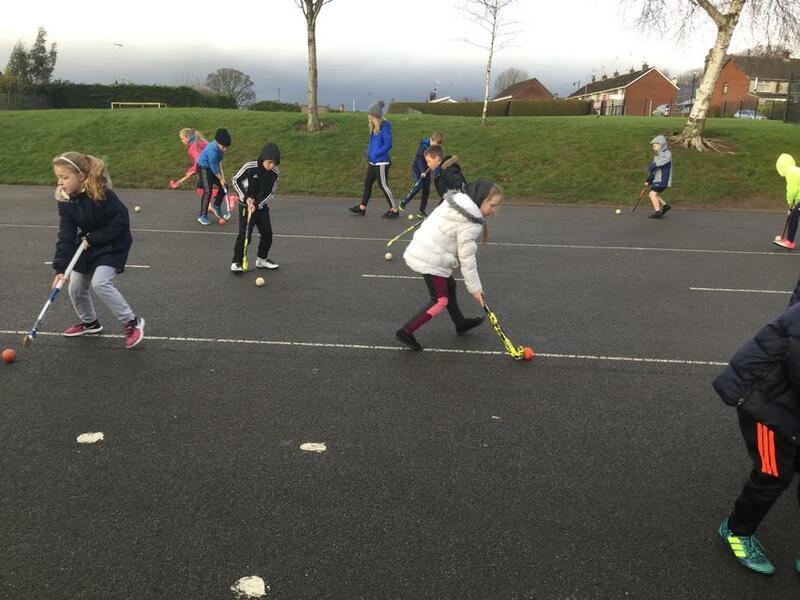 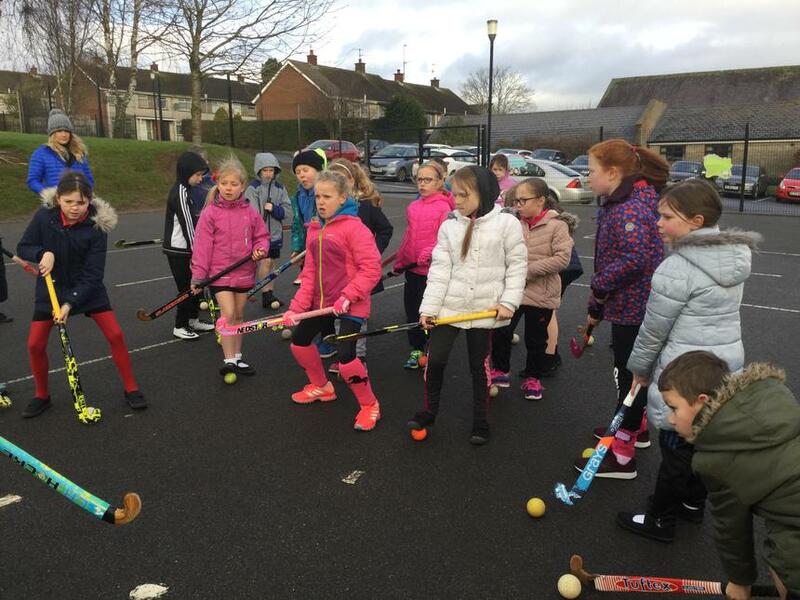 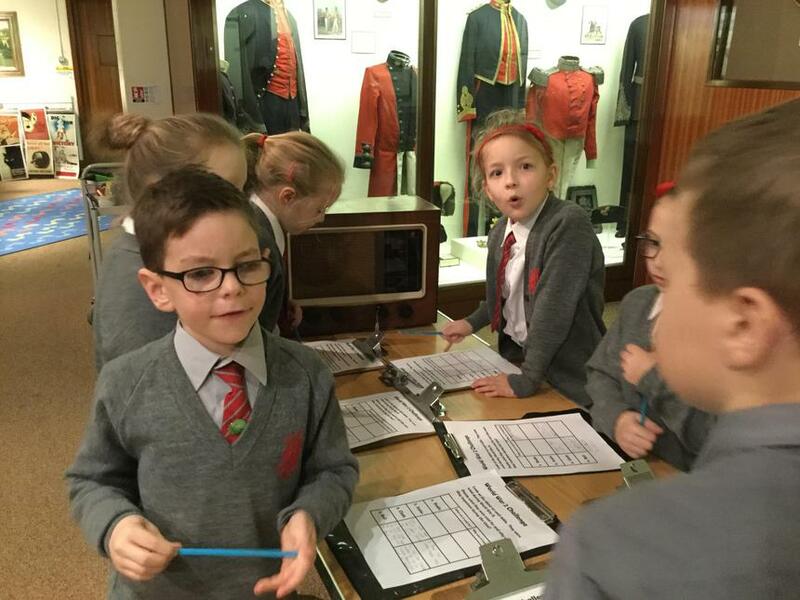 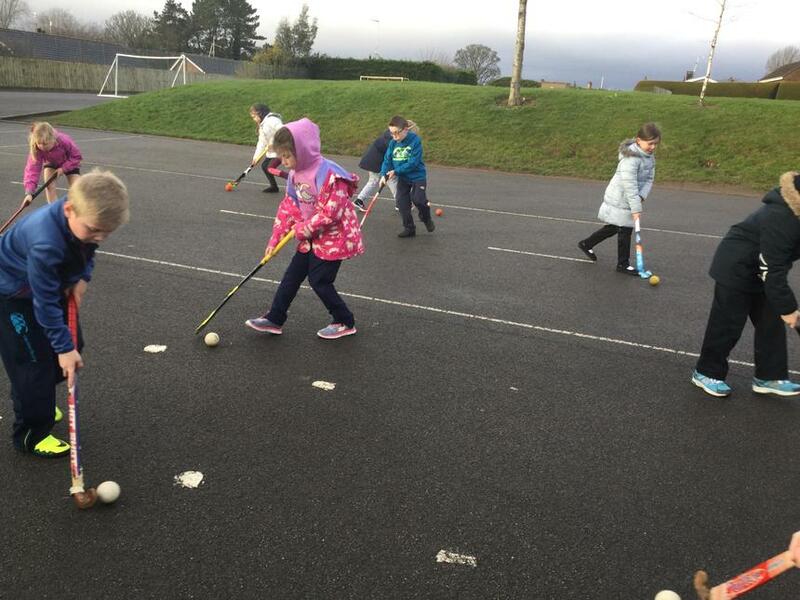 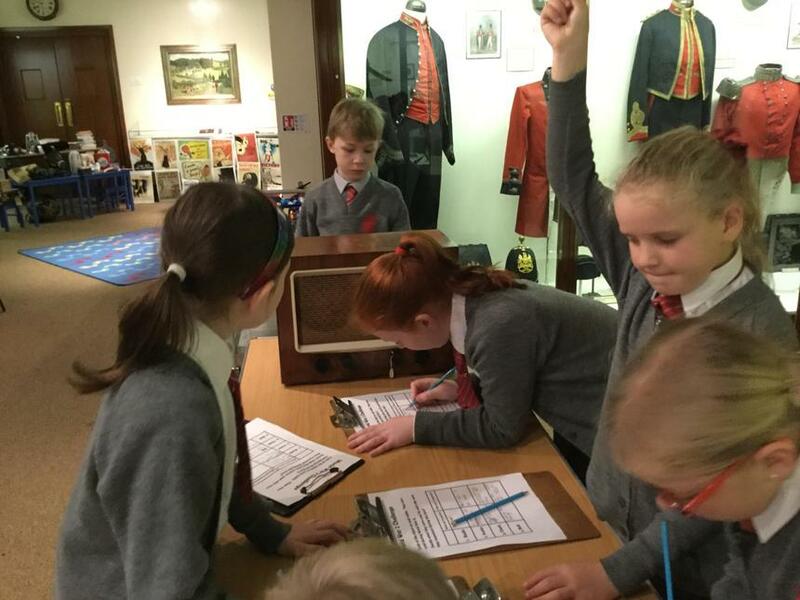 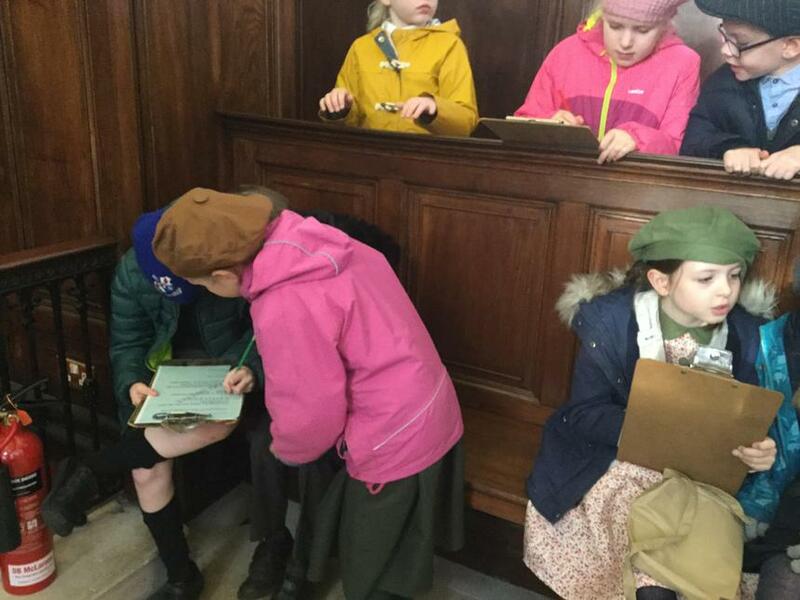 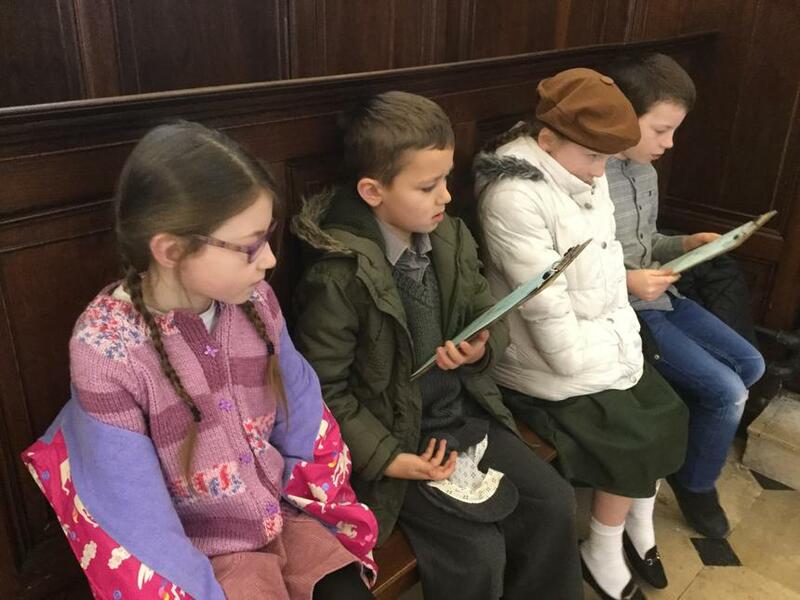 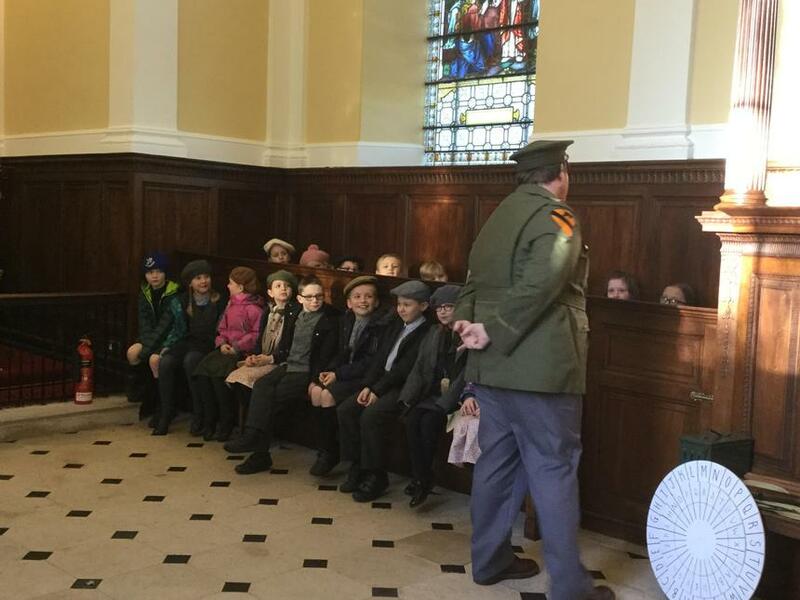 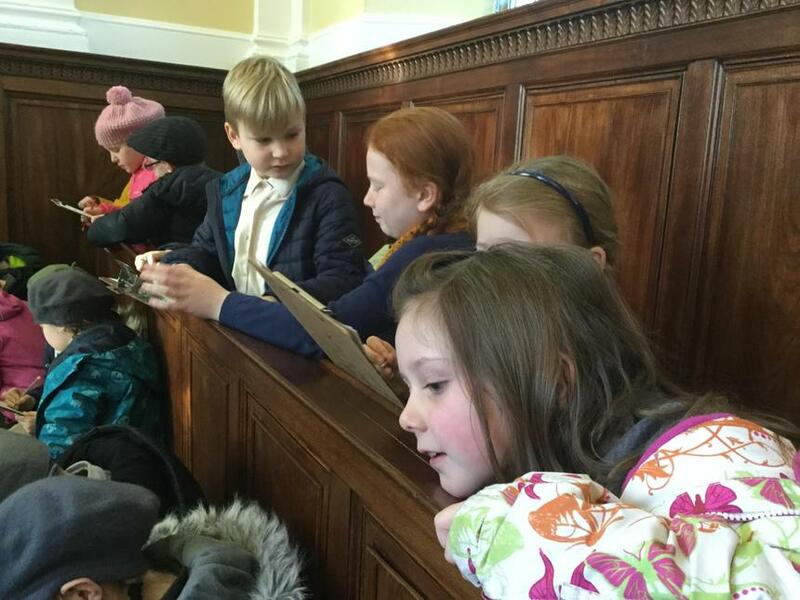 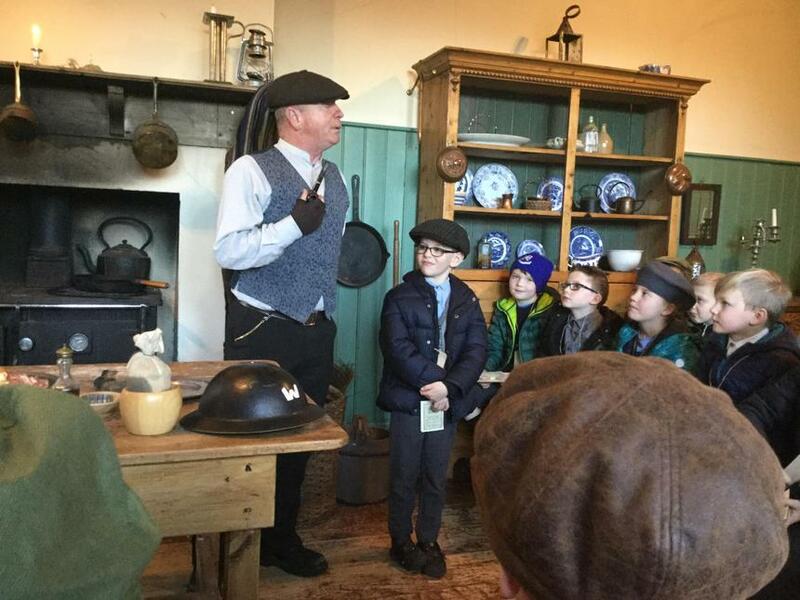 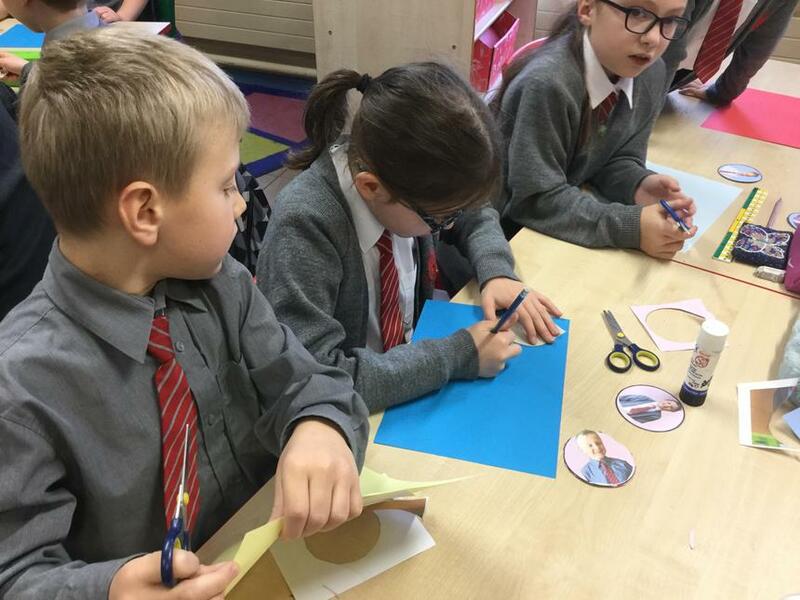 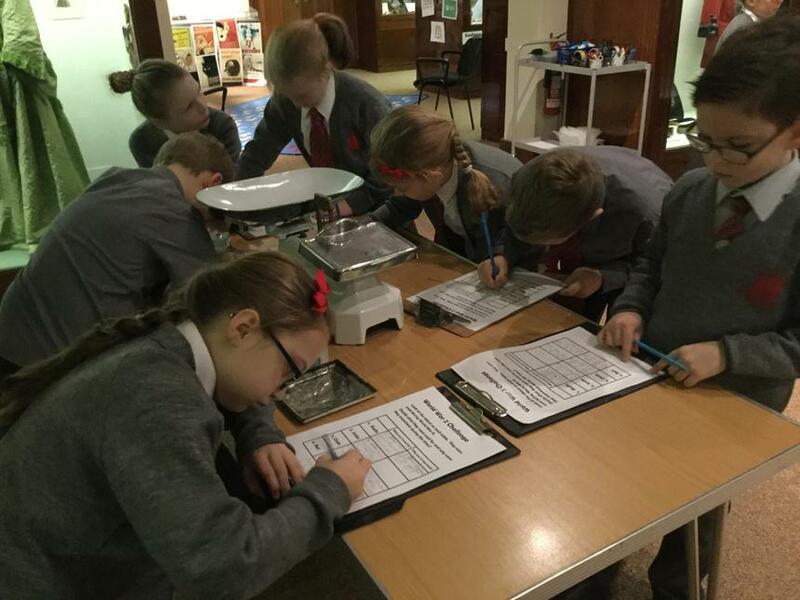 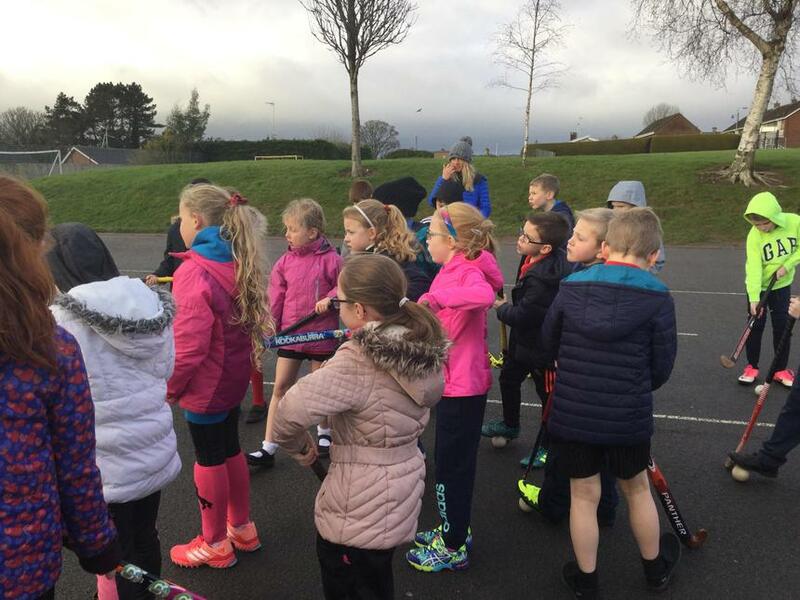 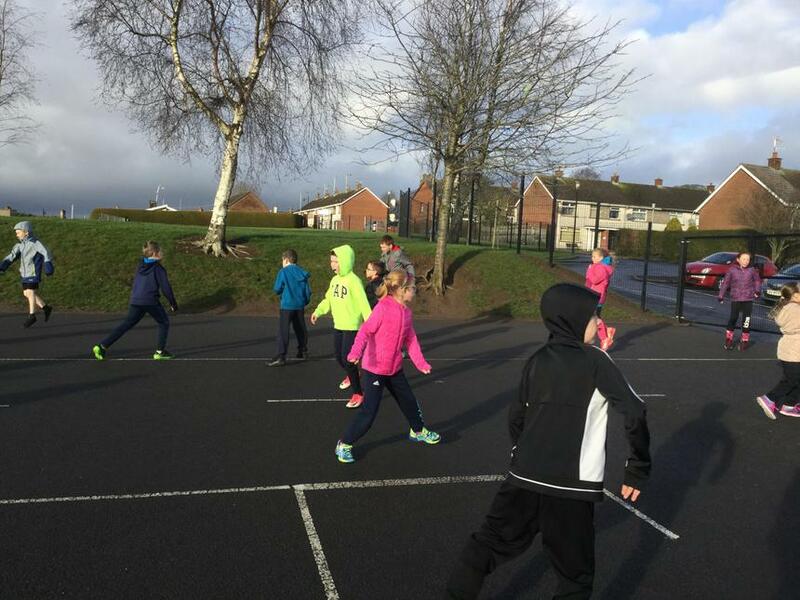 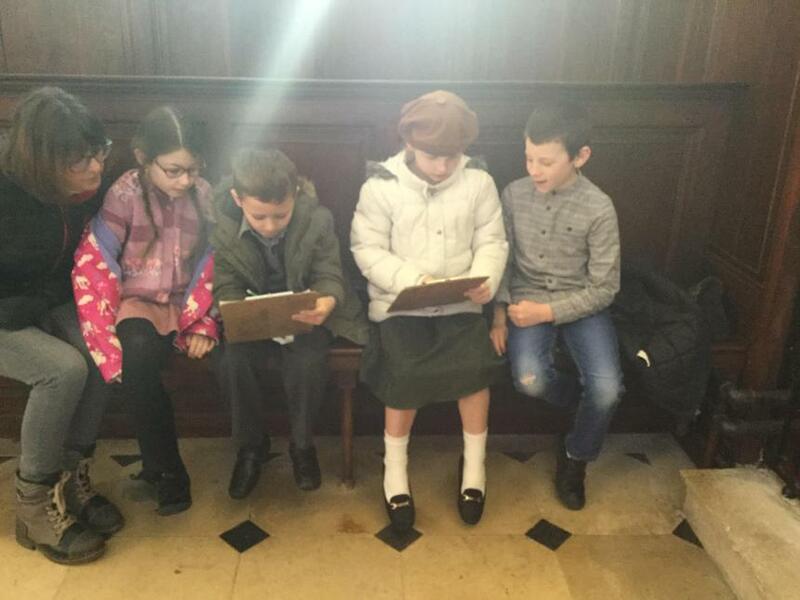 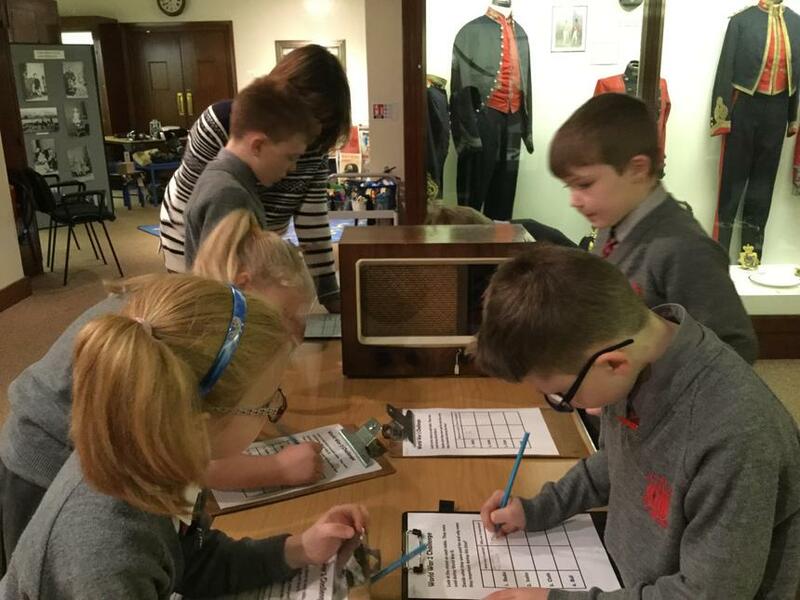 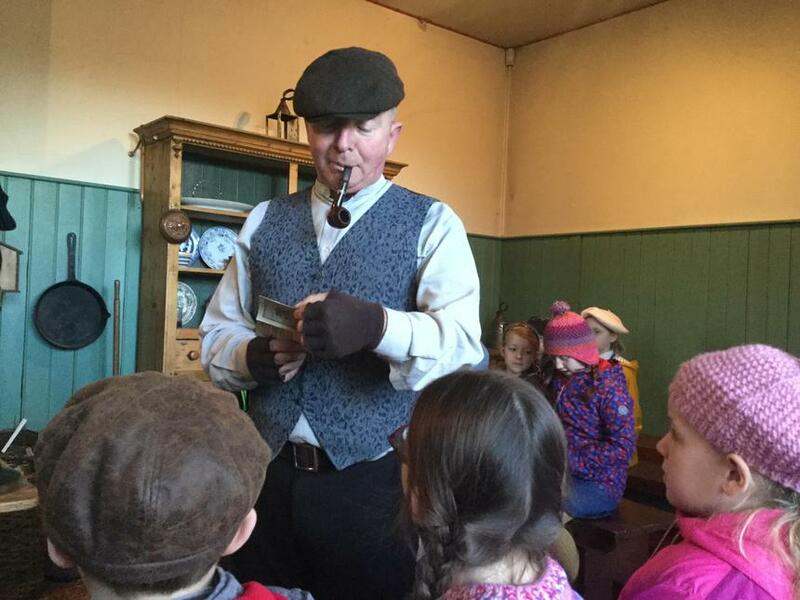 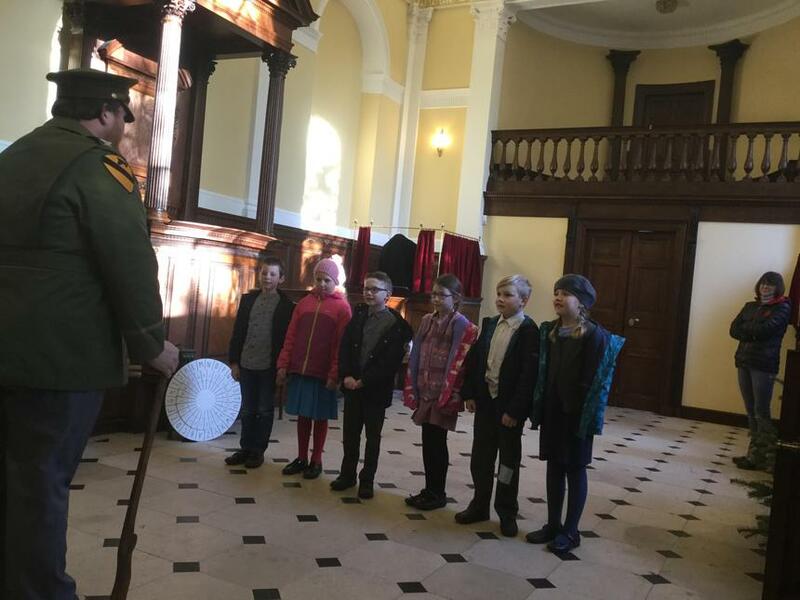 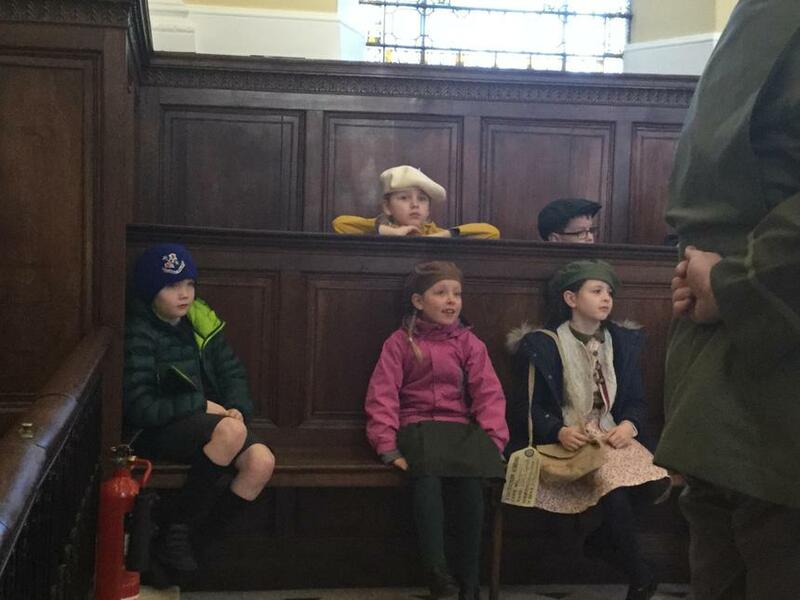 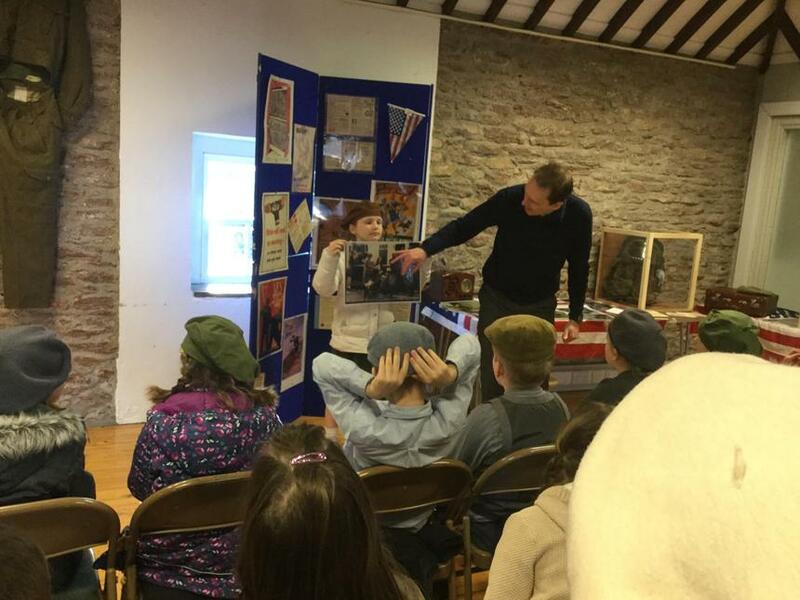 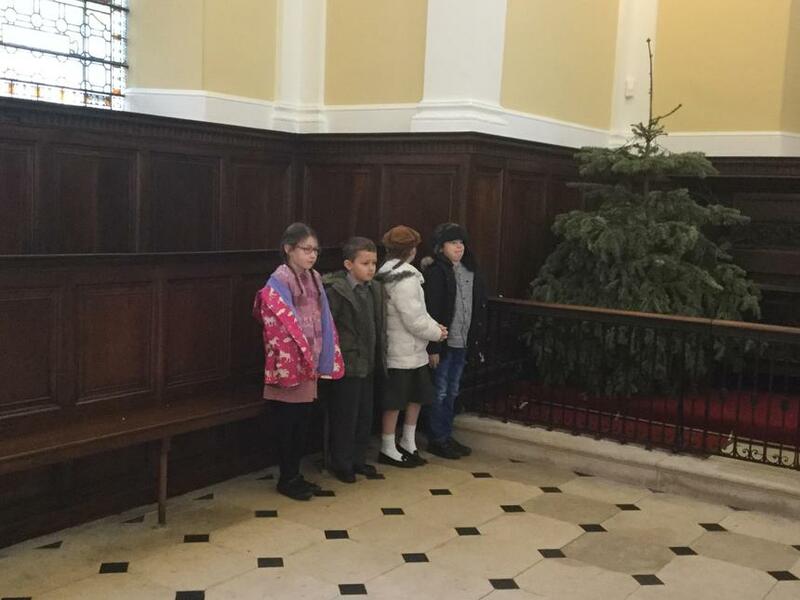 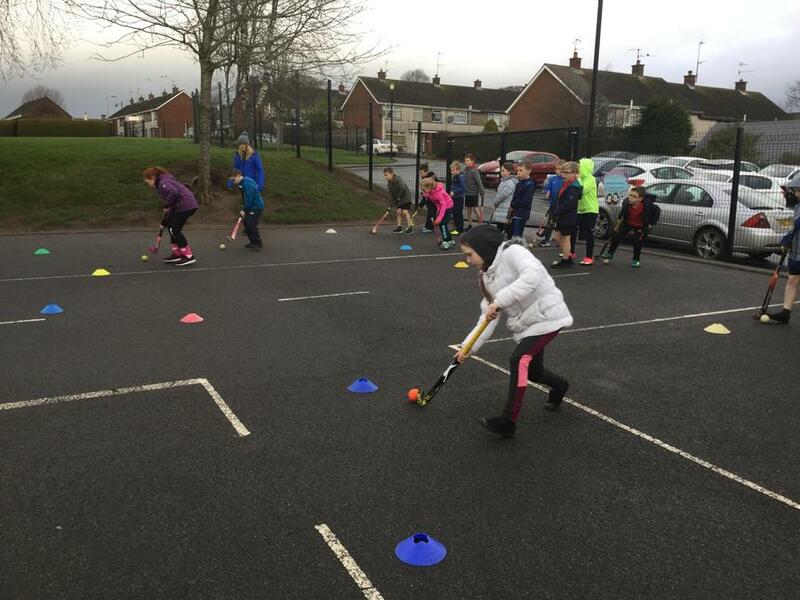 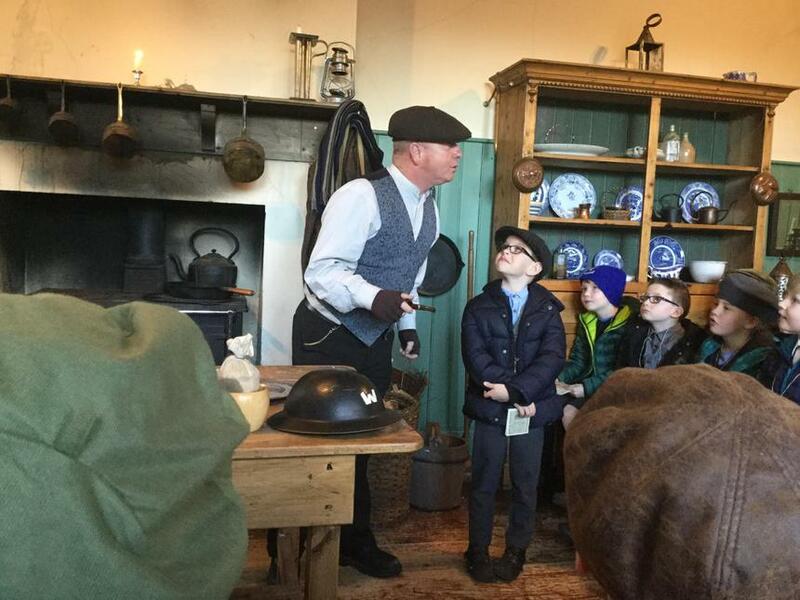 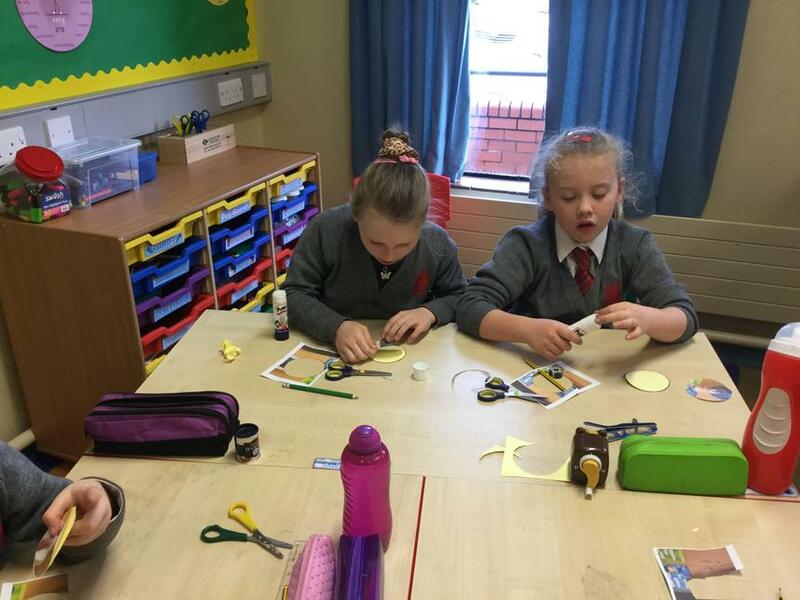 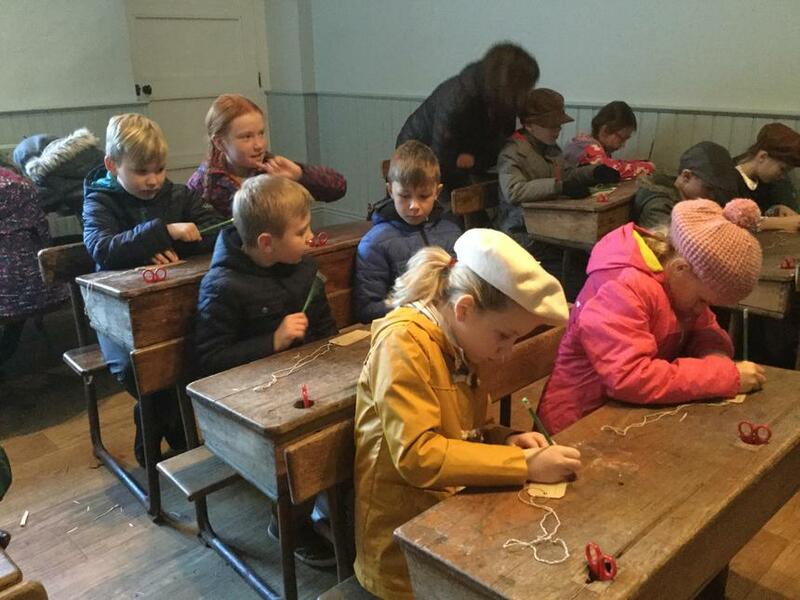 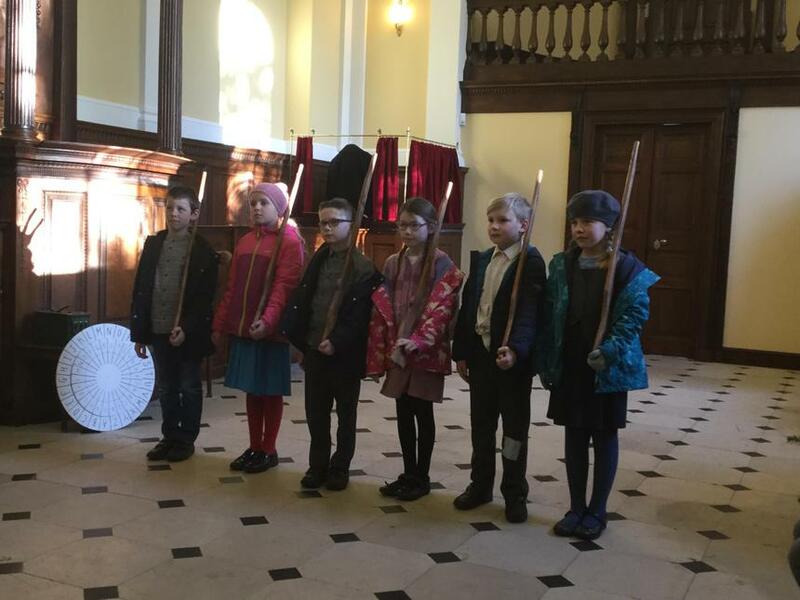 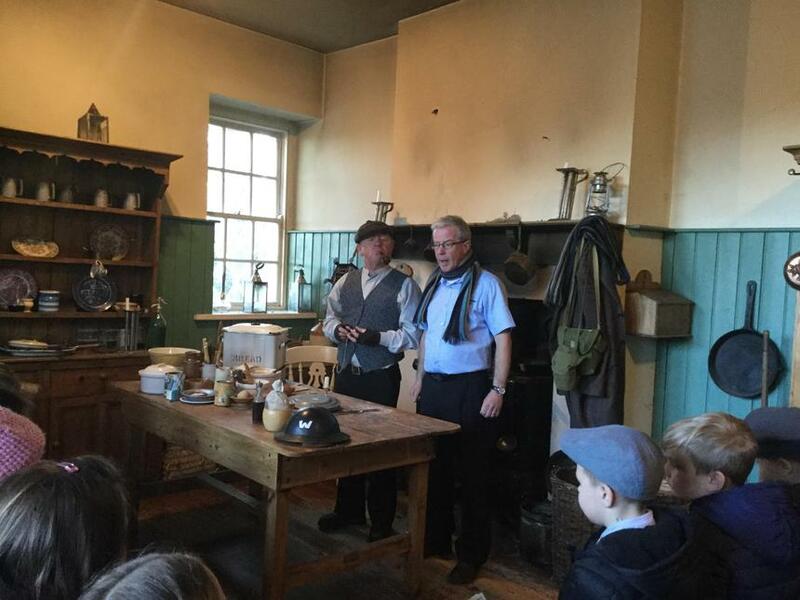 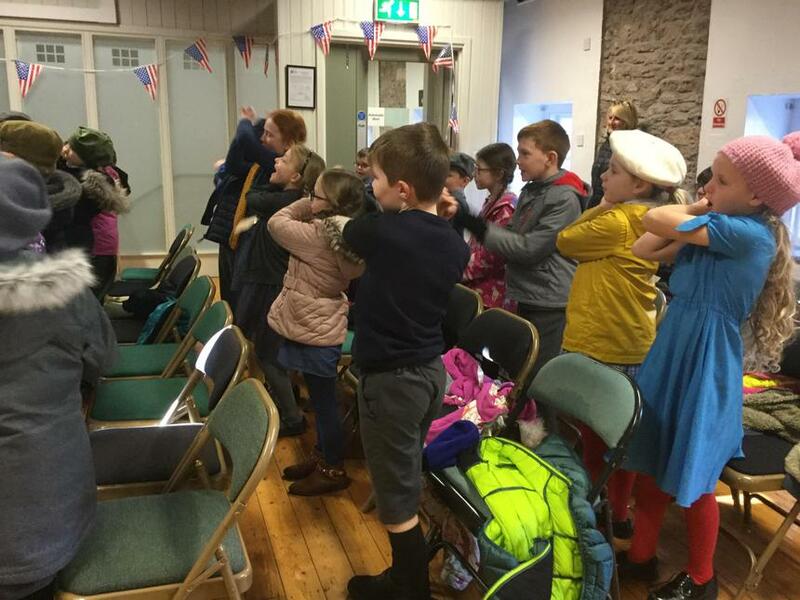 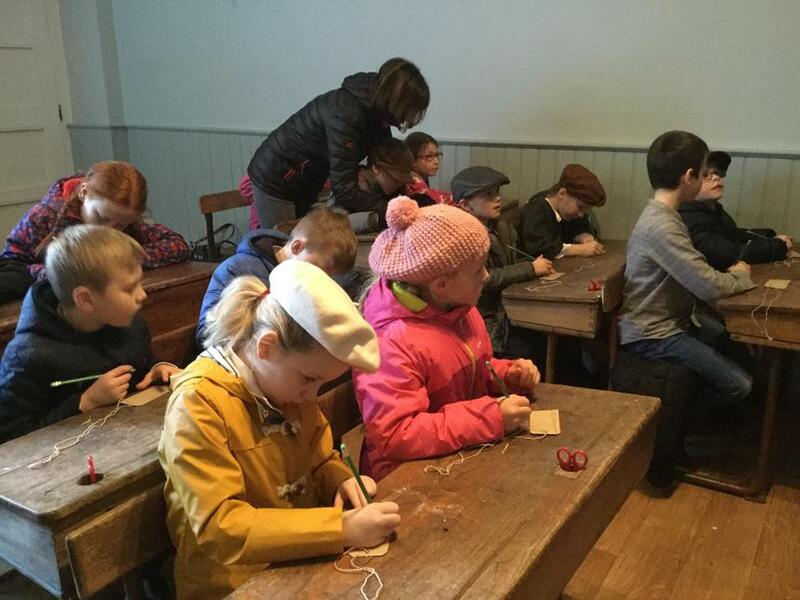 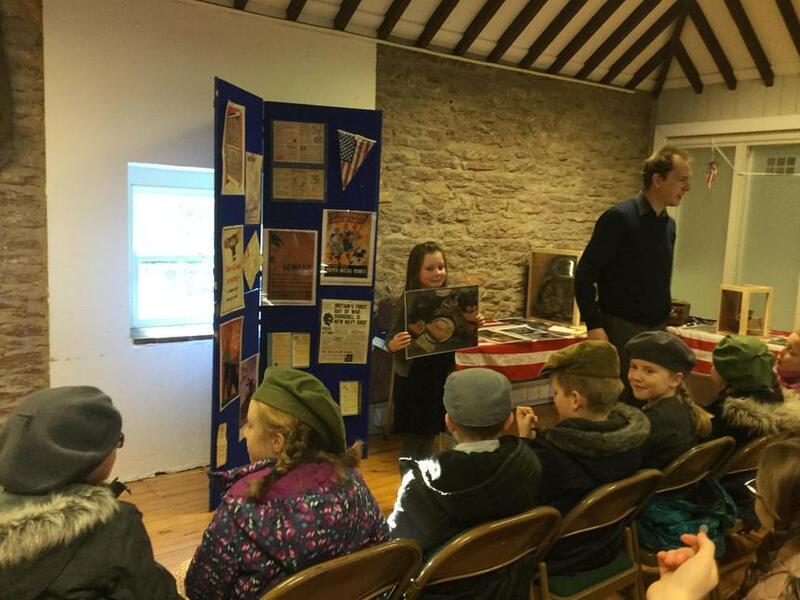 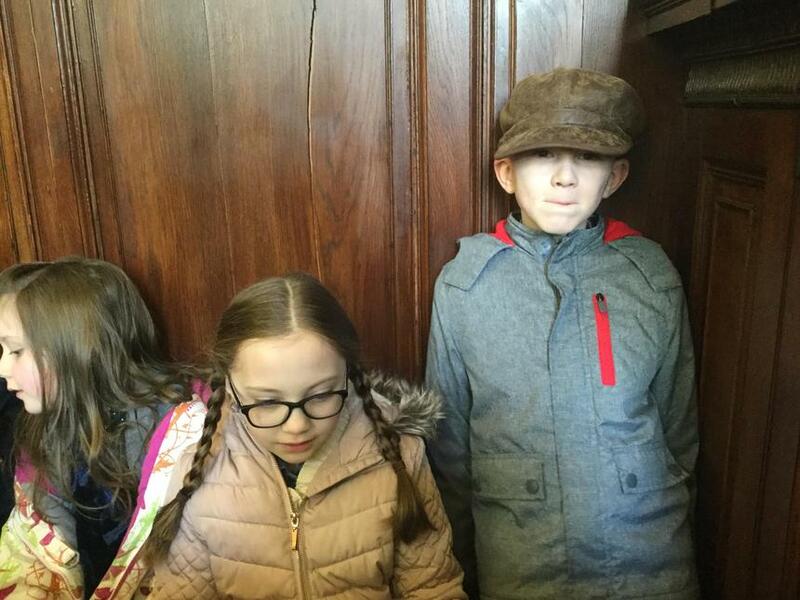 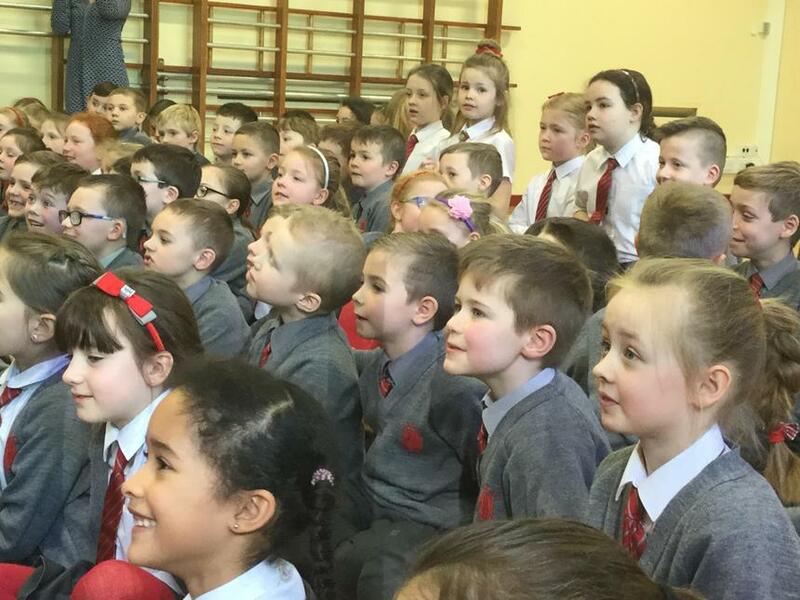 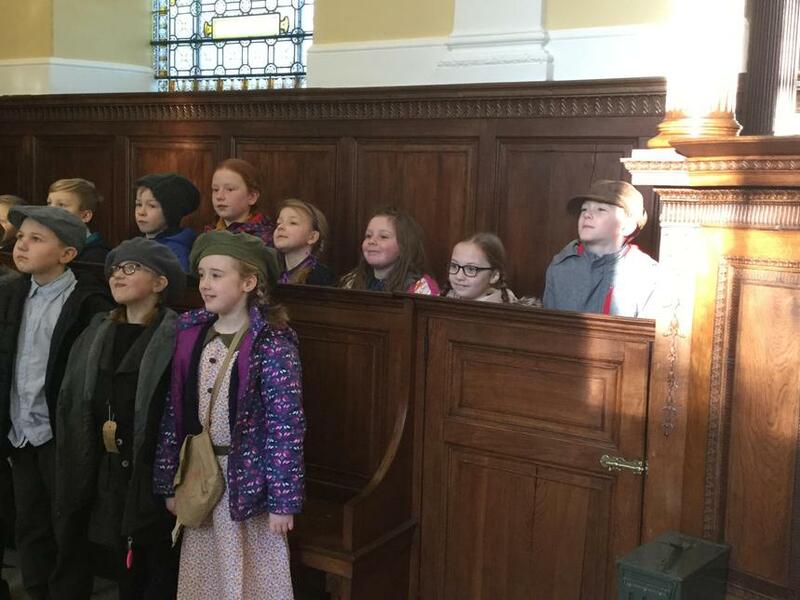 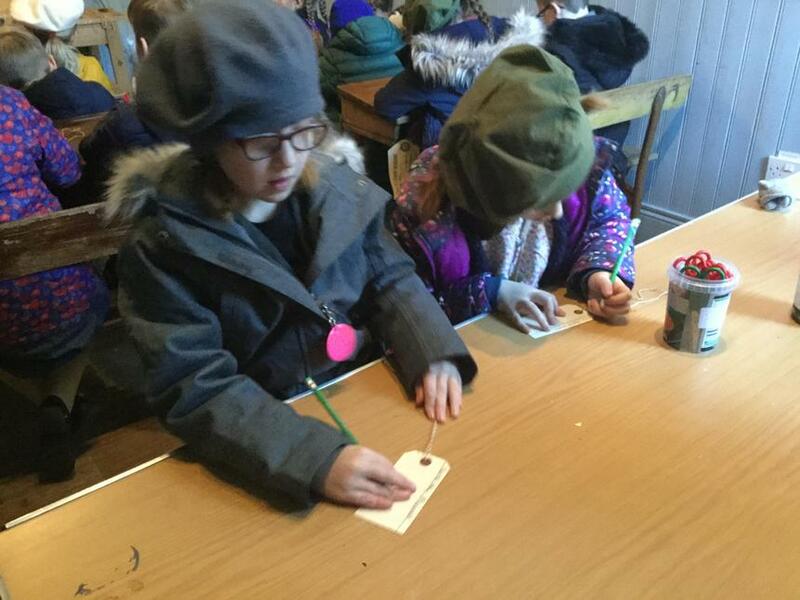 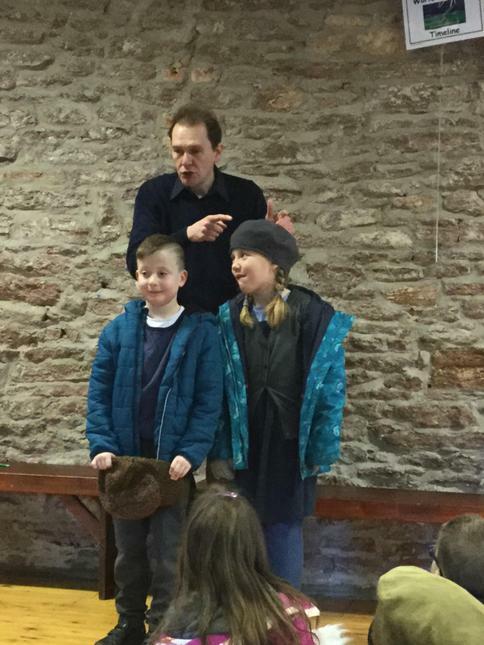 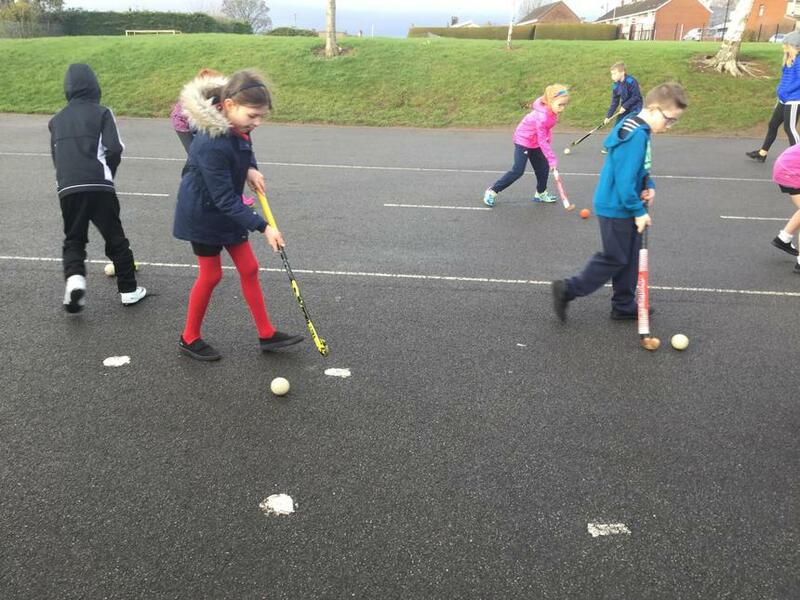 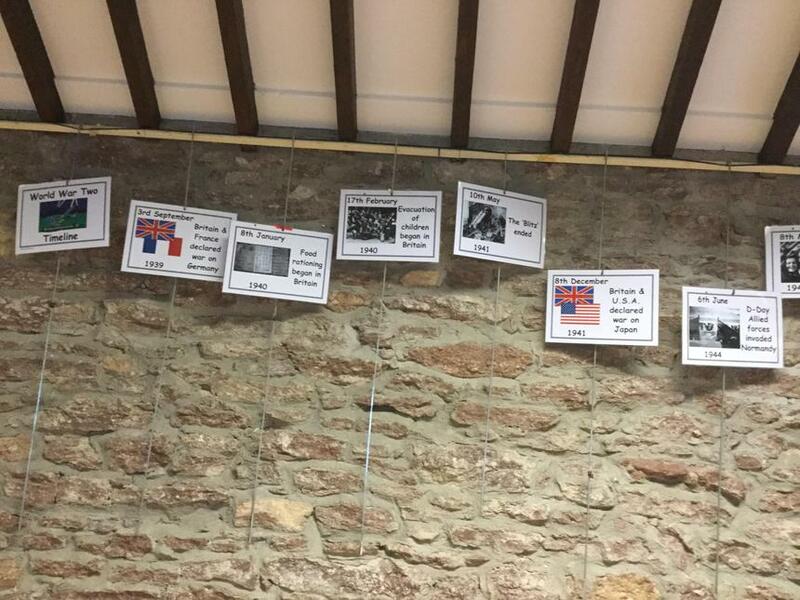 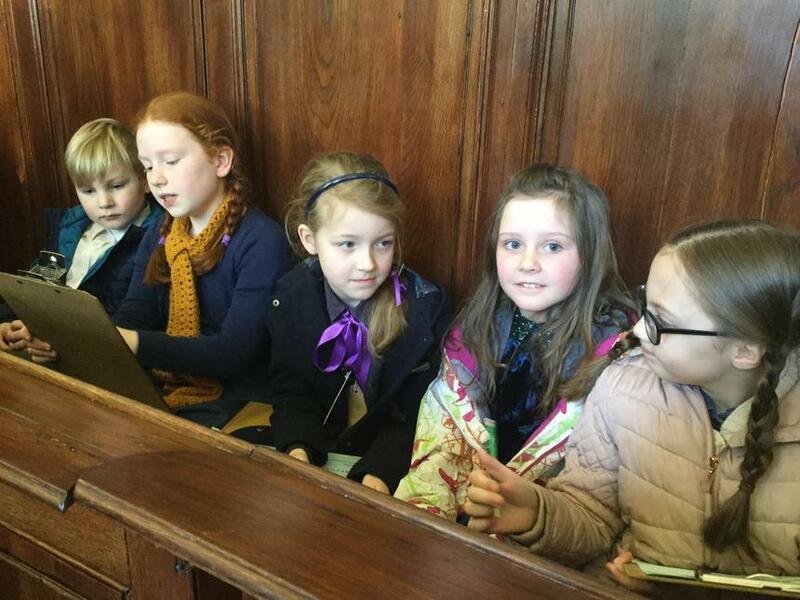 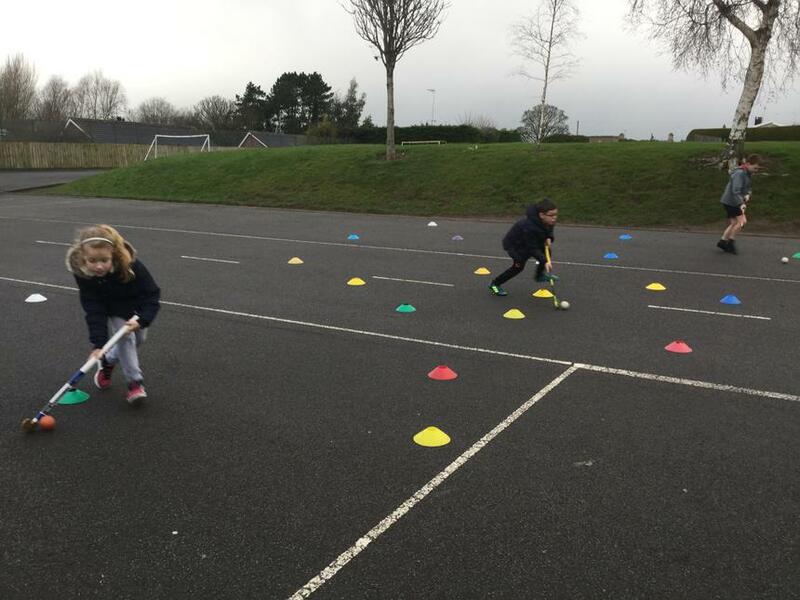 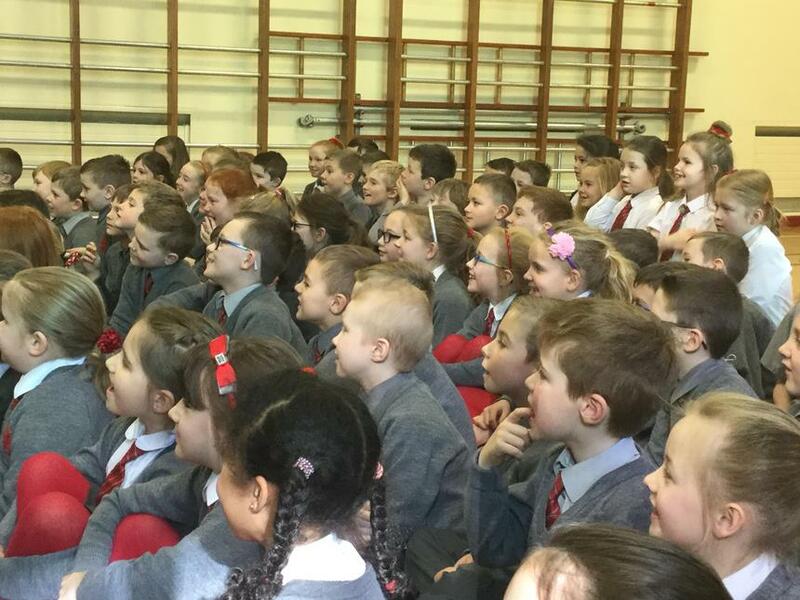 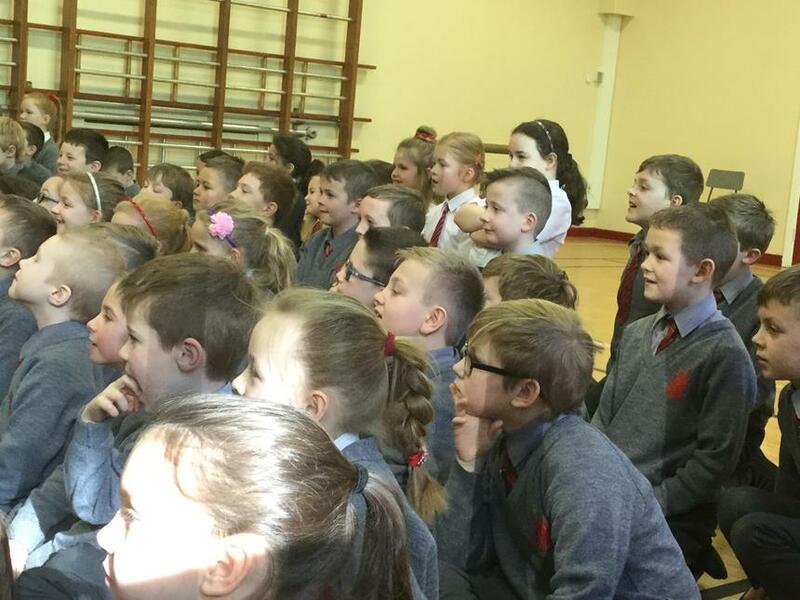 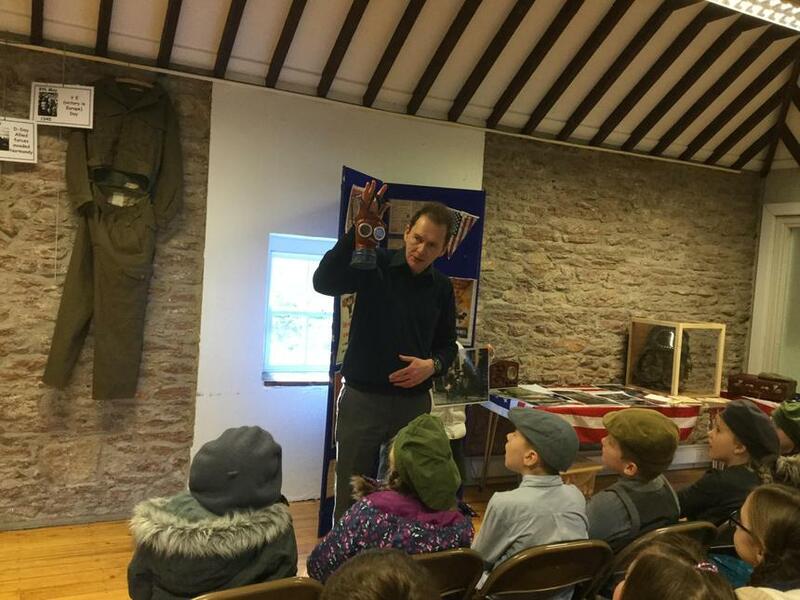 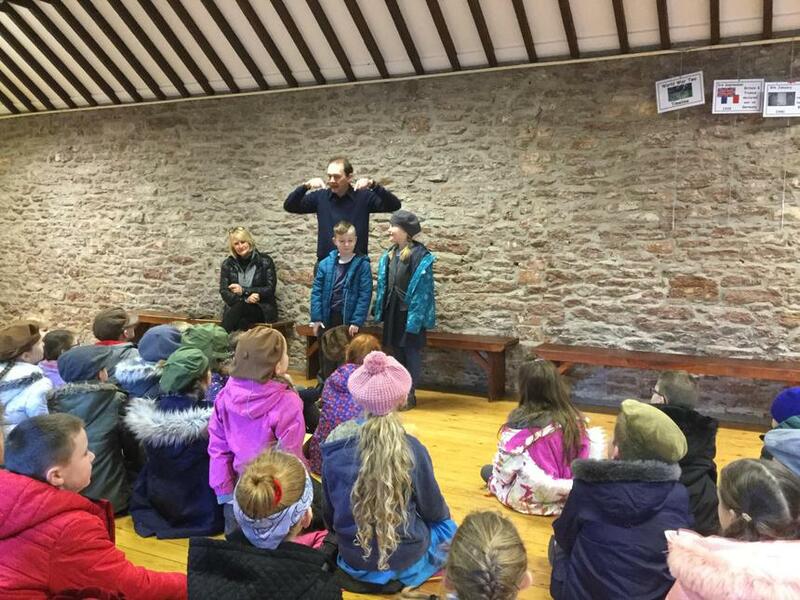 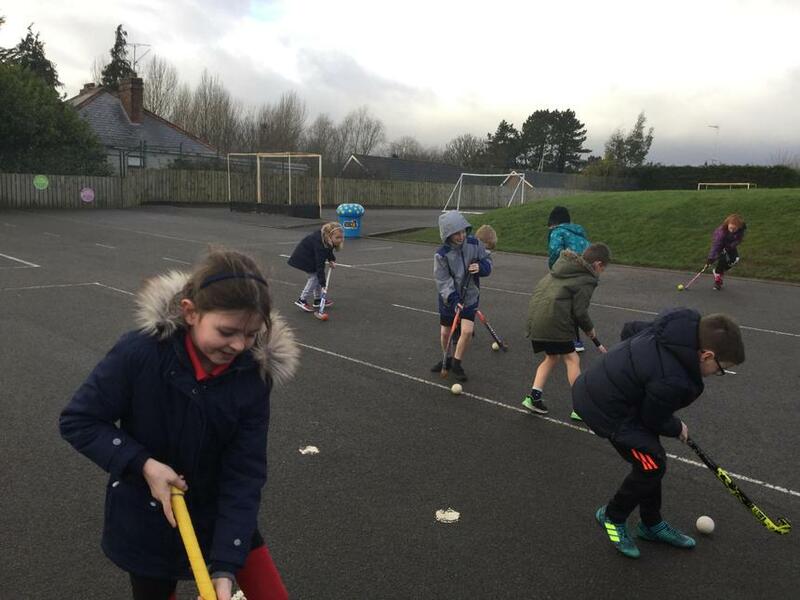 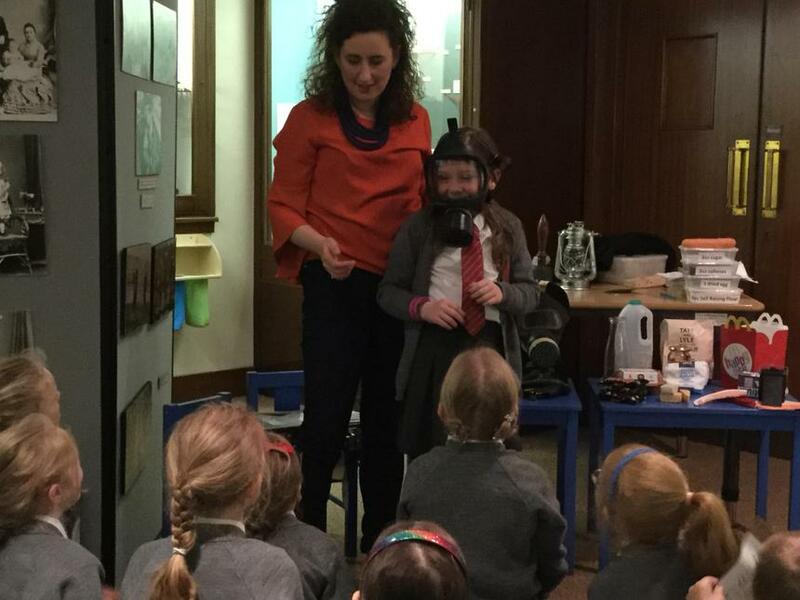 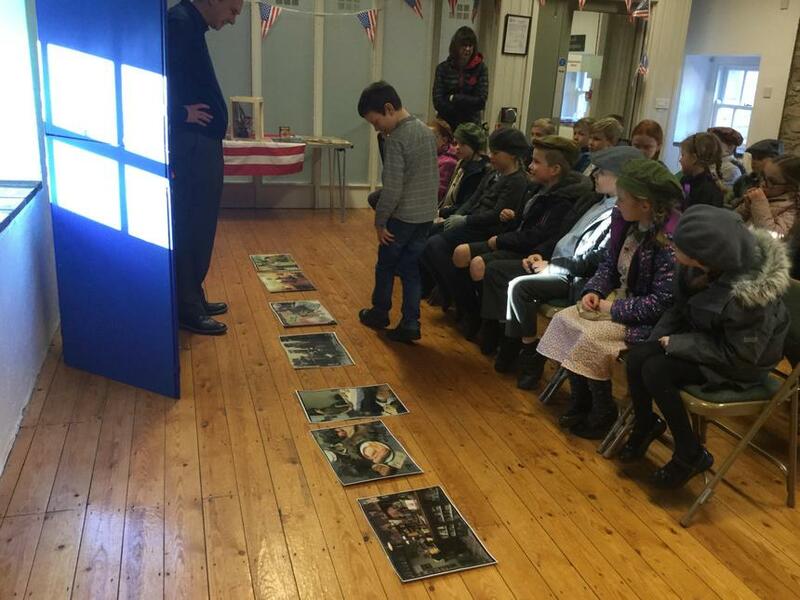 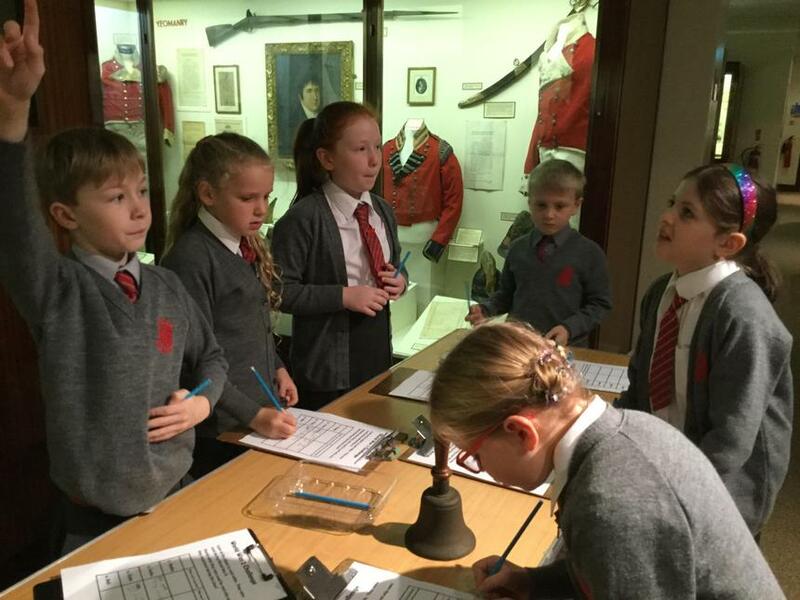 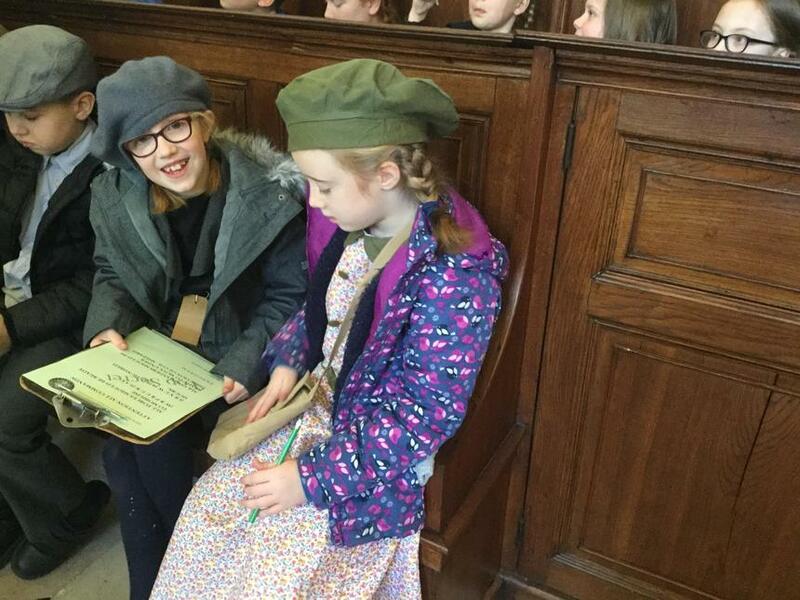 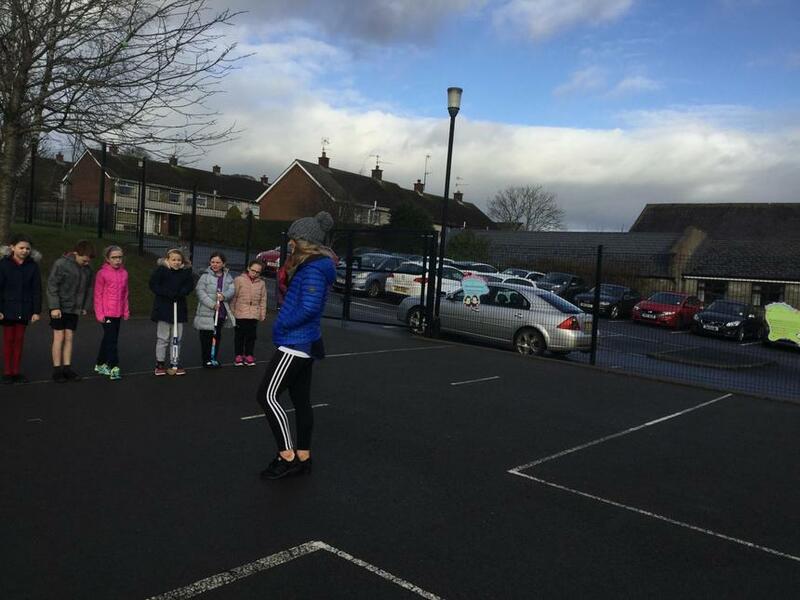 On Monday 8th January Primary 4 visited The Palace Stables in Armagh to find out more about life during World War 2. 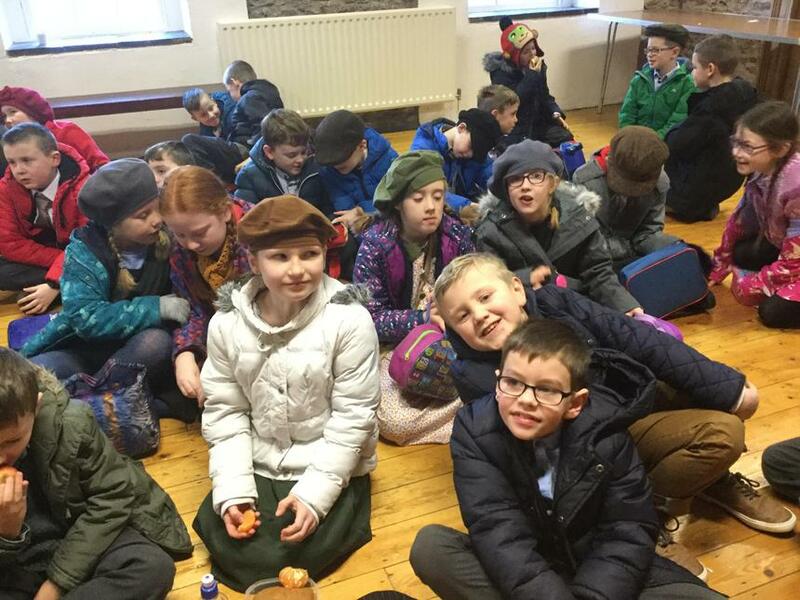 We dressed up as evacuees for the occasion. 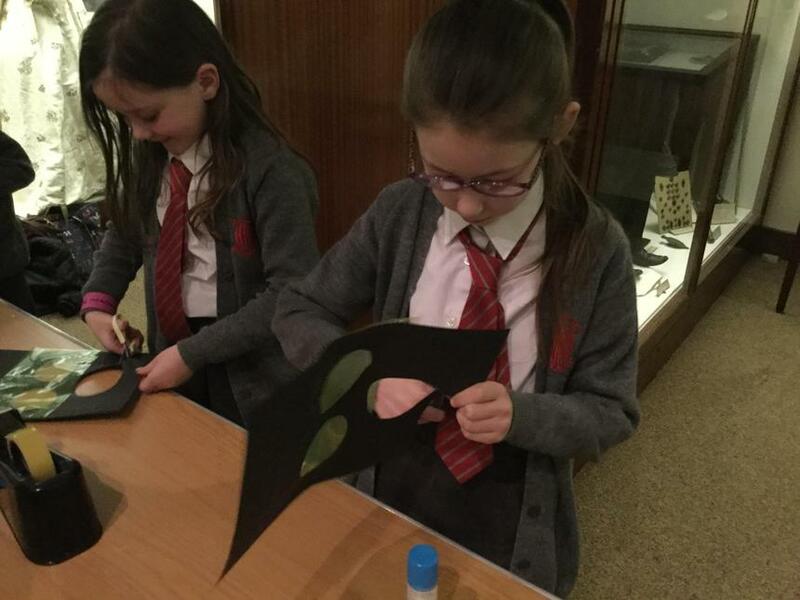 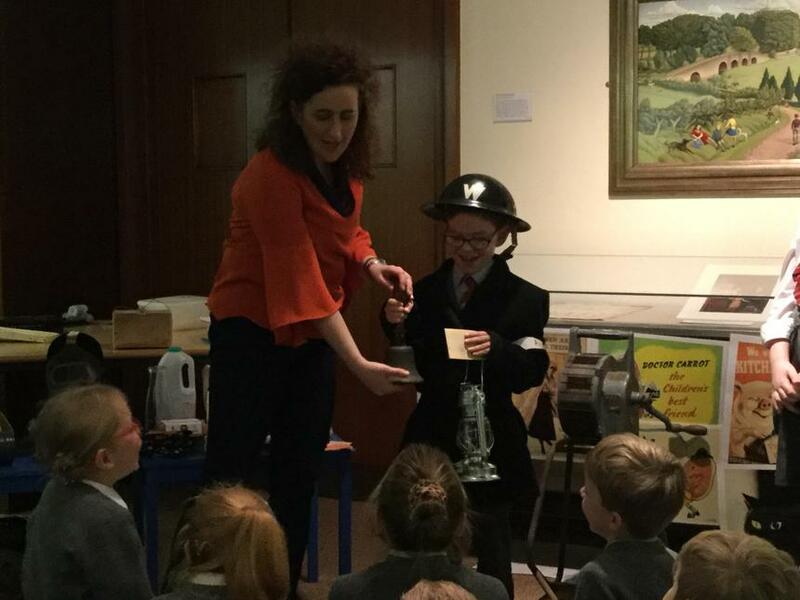 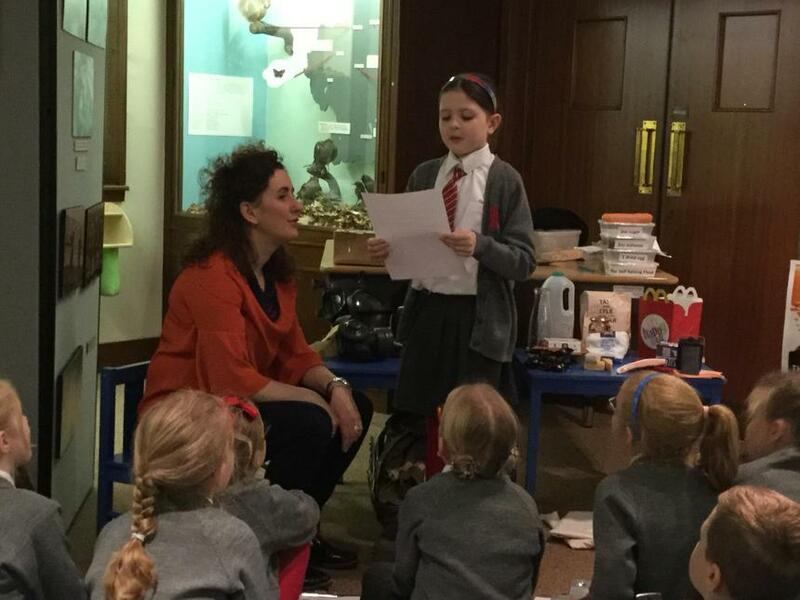 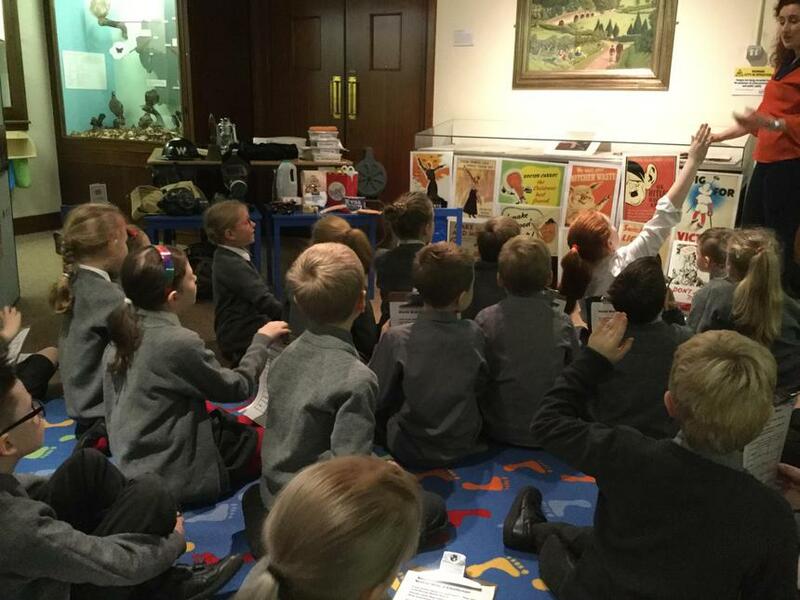 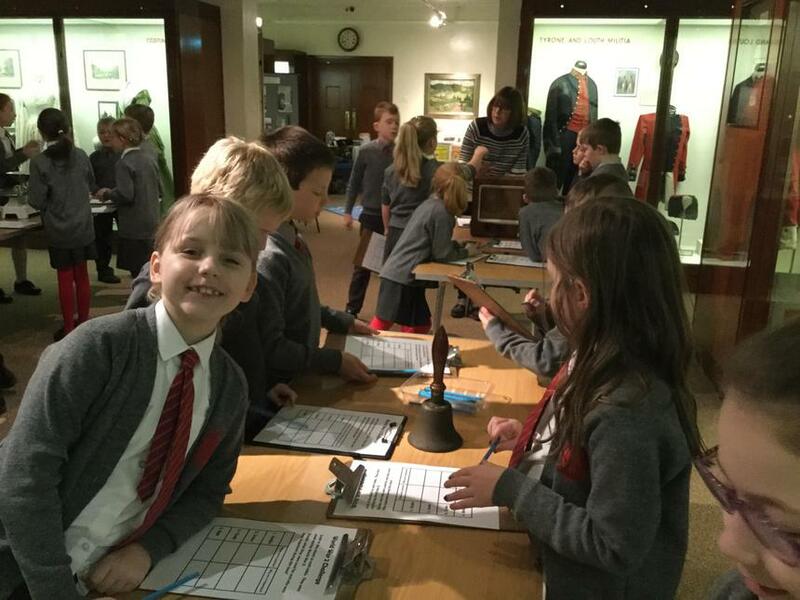 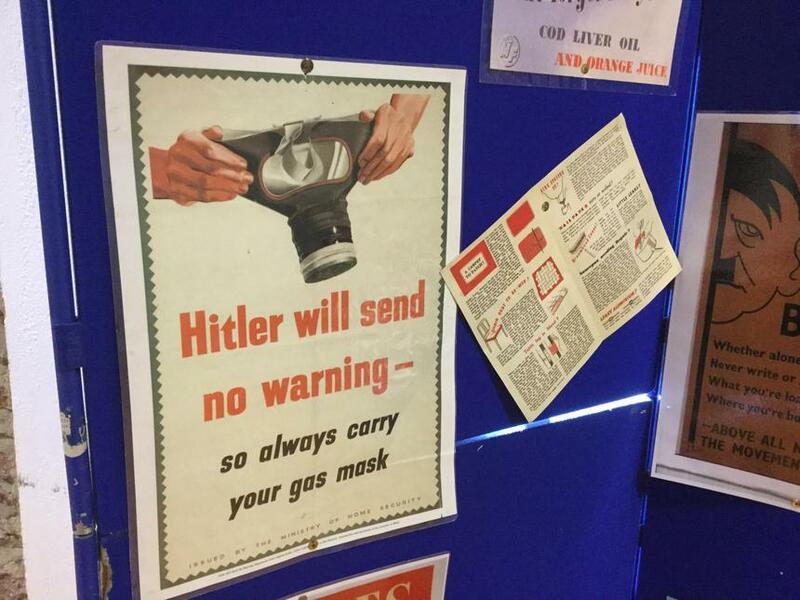 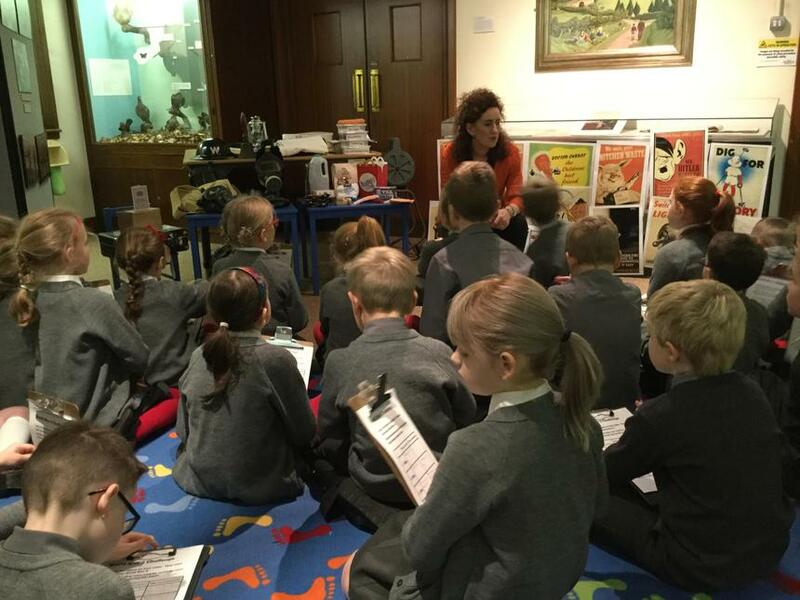 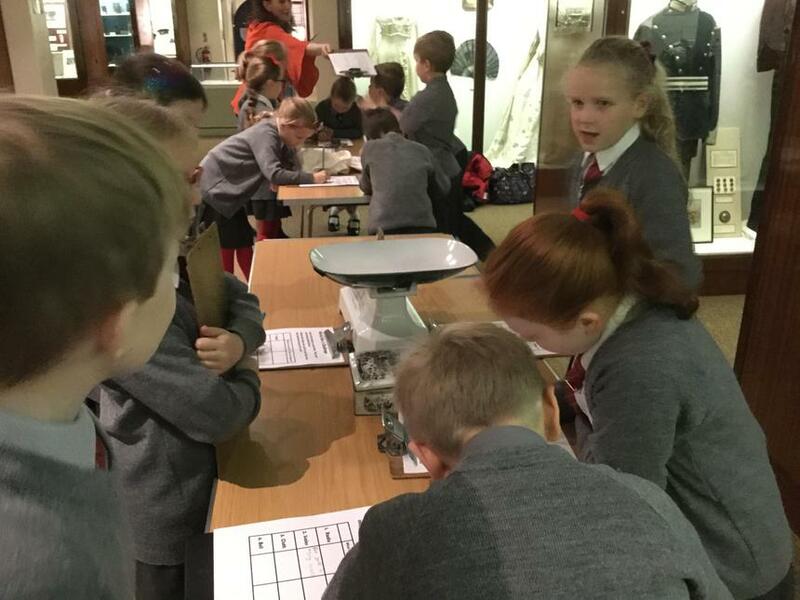 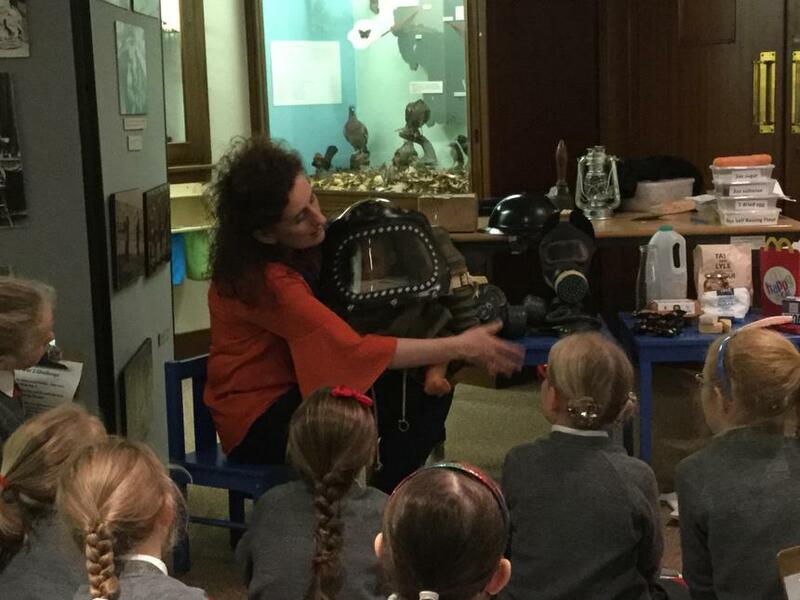 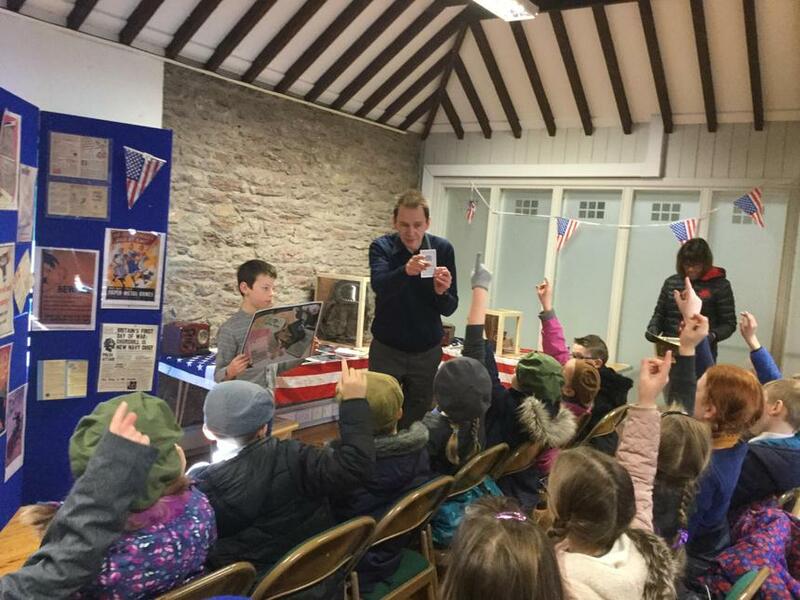 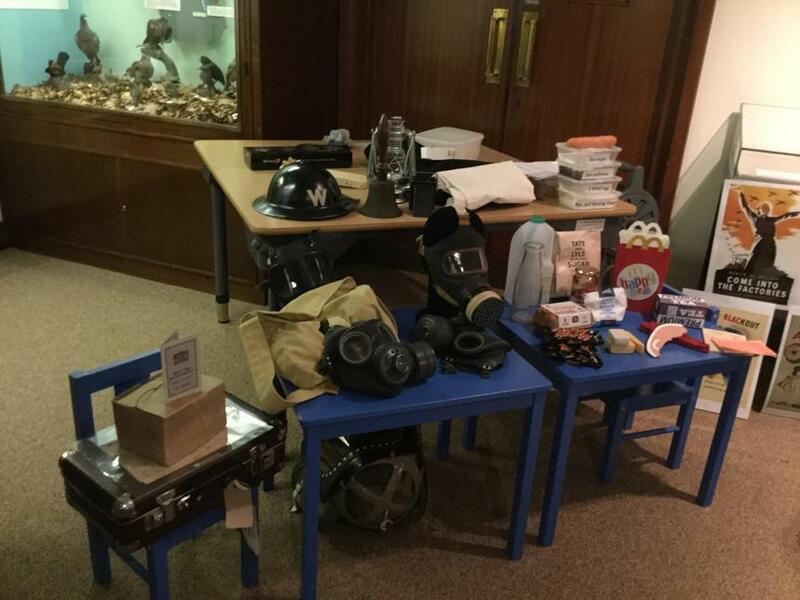 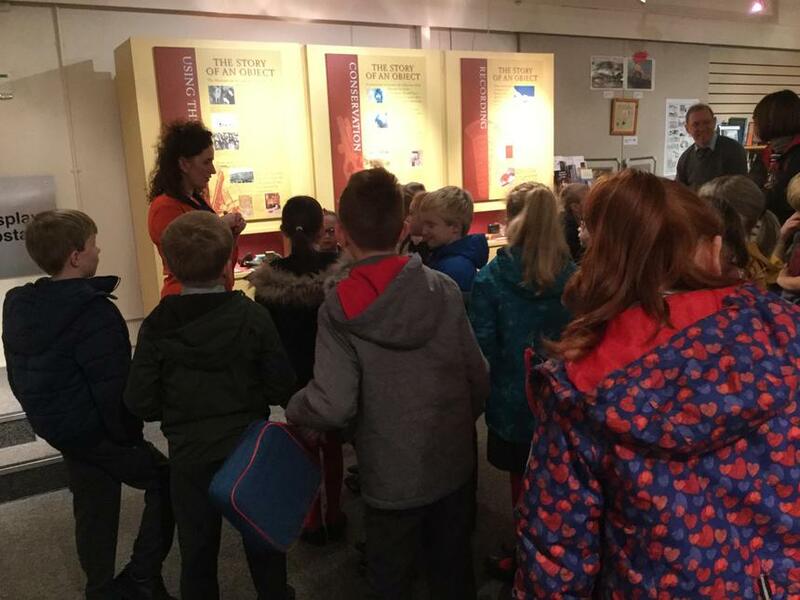 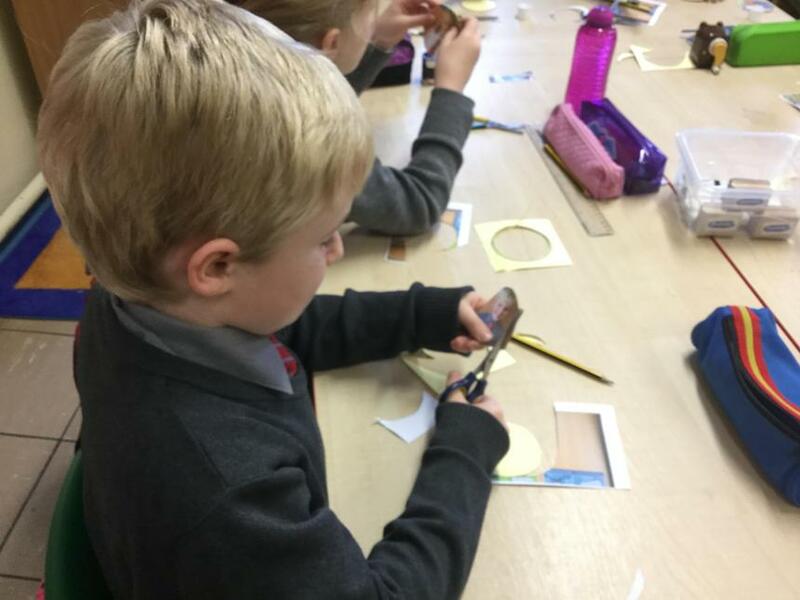 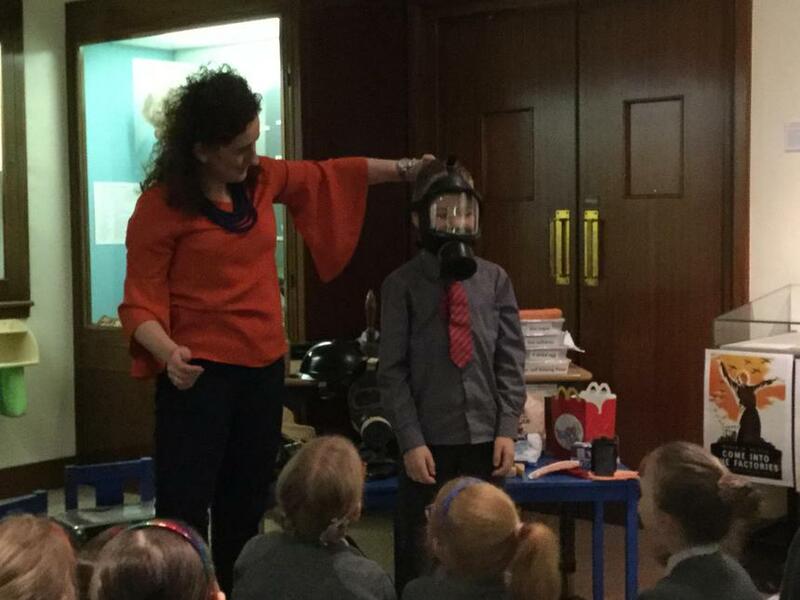 On Wednesday 15th November P4H visited Armagh County Museum as part of our World War II topic. 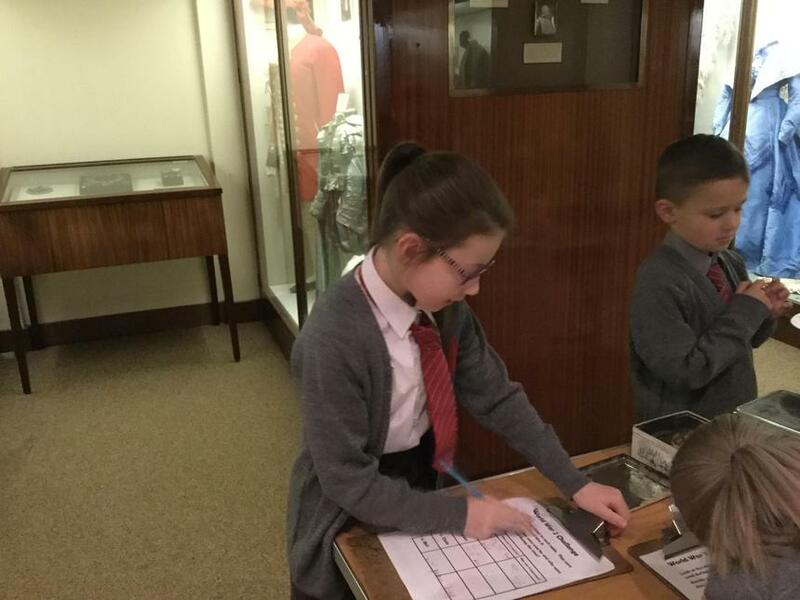 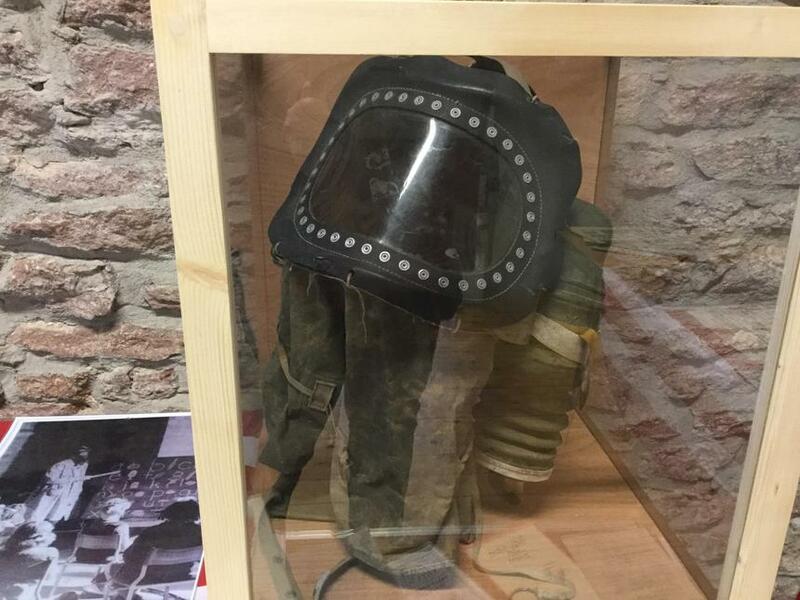 We got to look at and handle objects from the war. 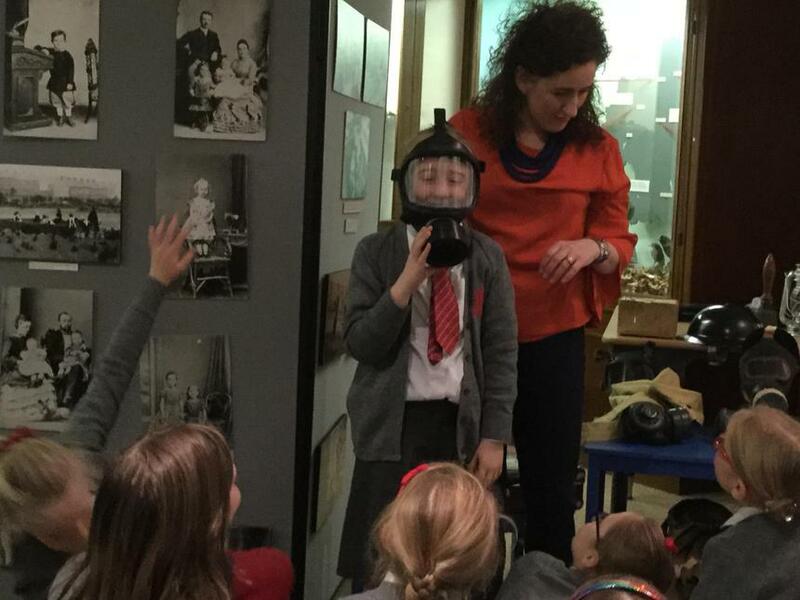 We learnt about the blackout, evacuees, rationing and the Air Raid Protection Warden. 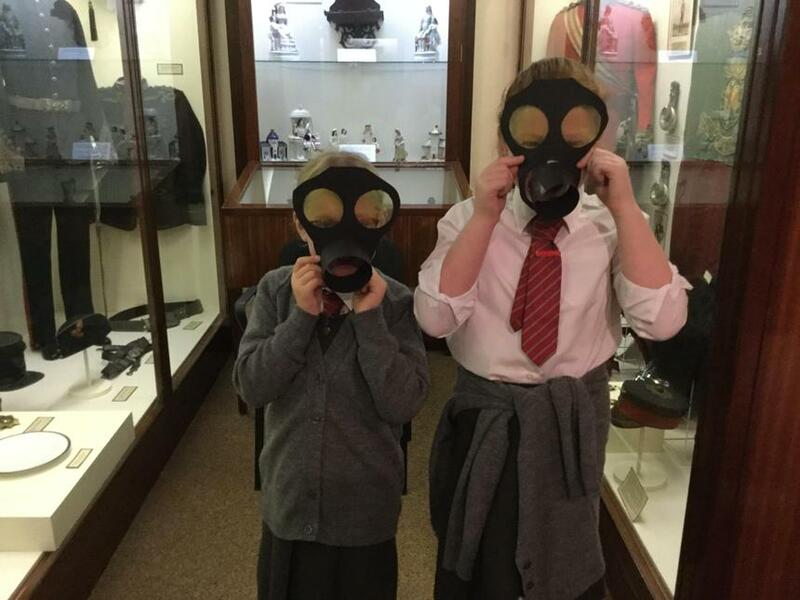 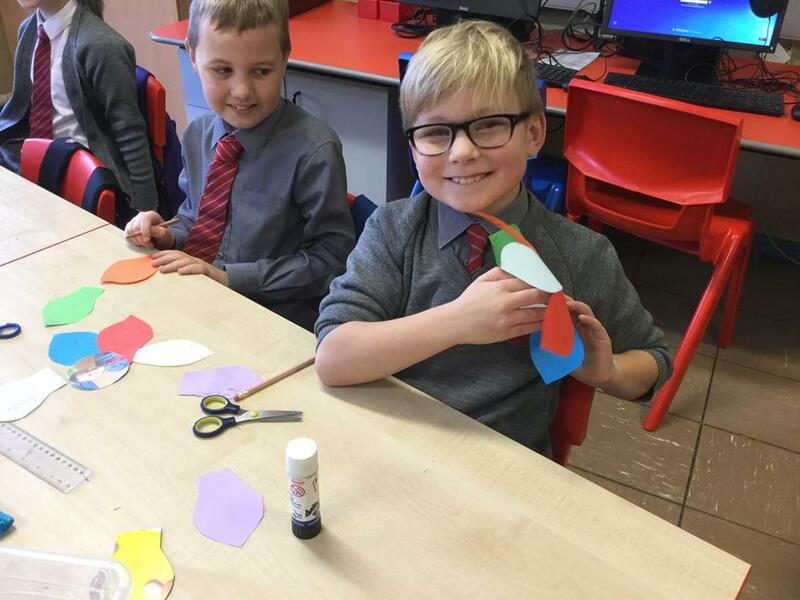 We even got to make our own gas masks. 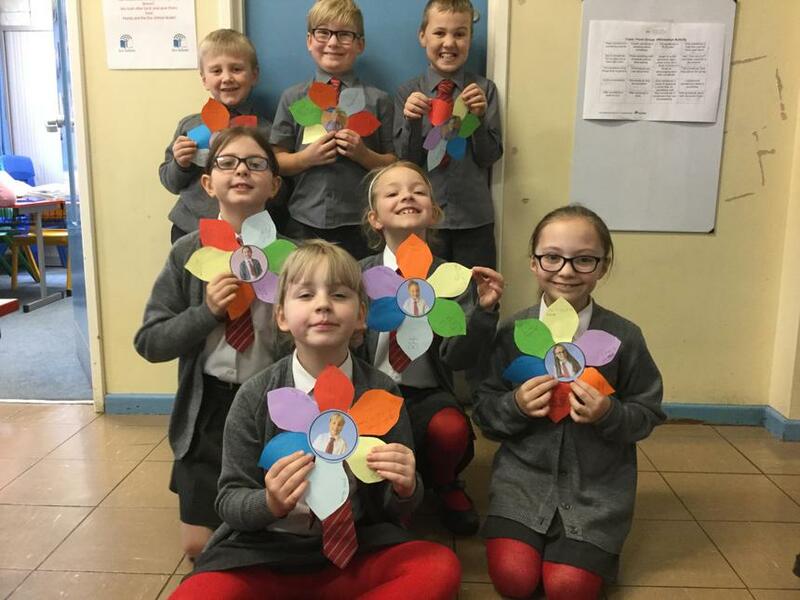 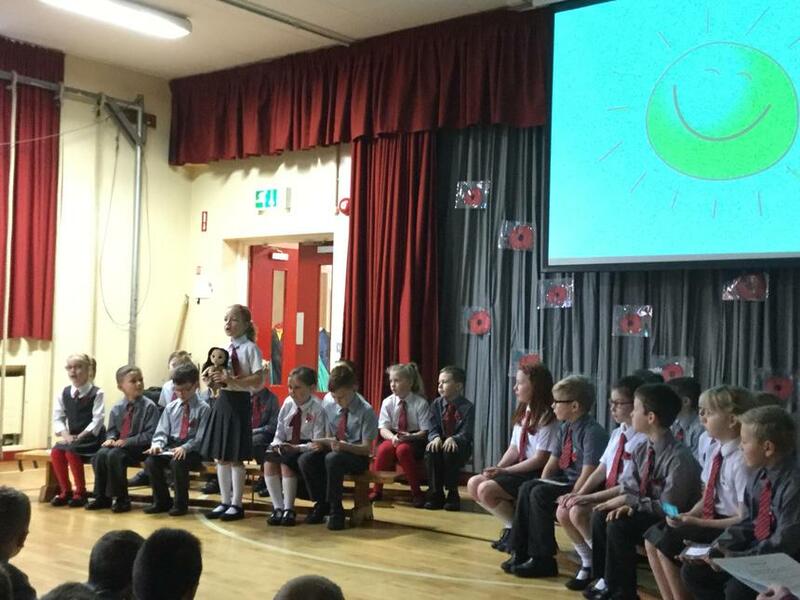 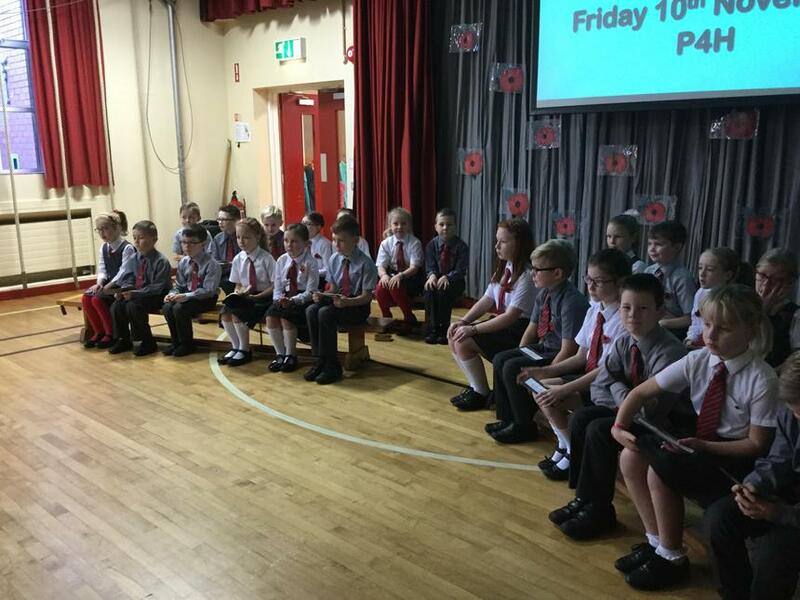 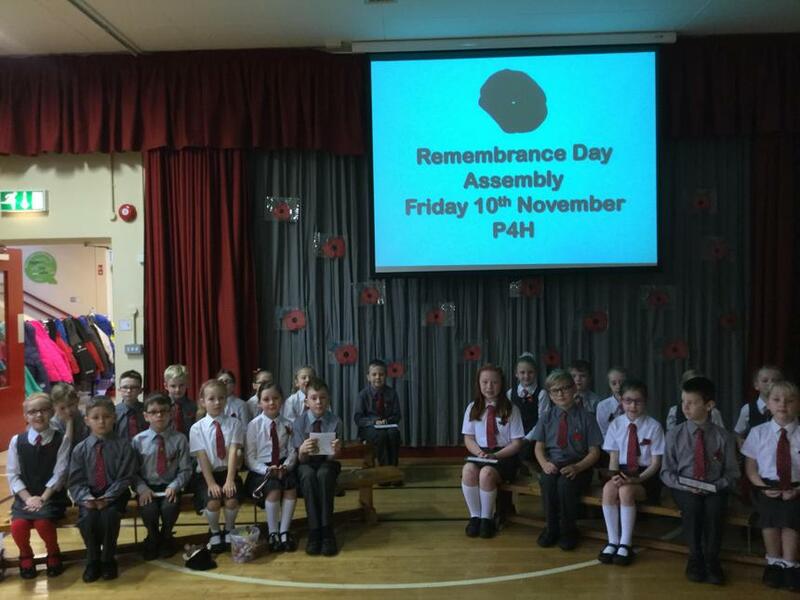 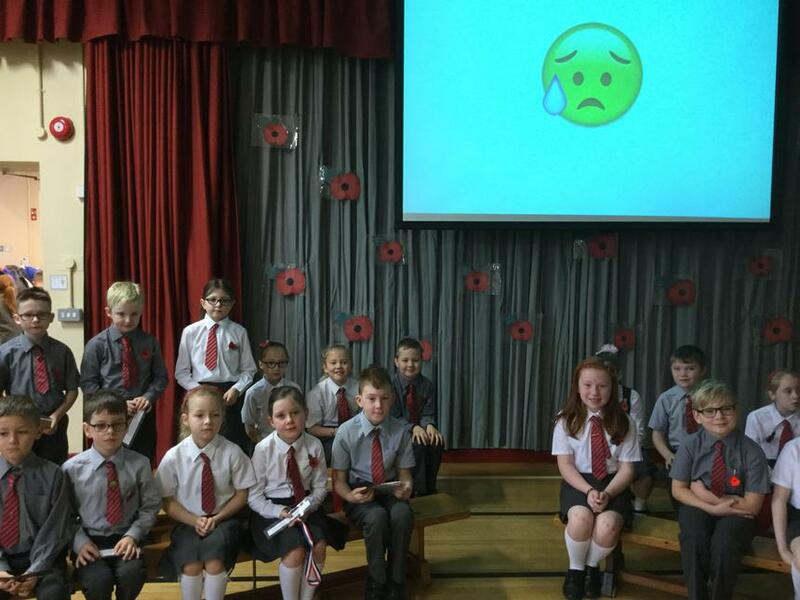 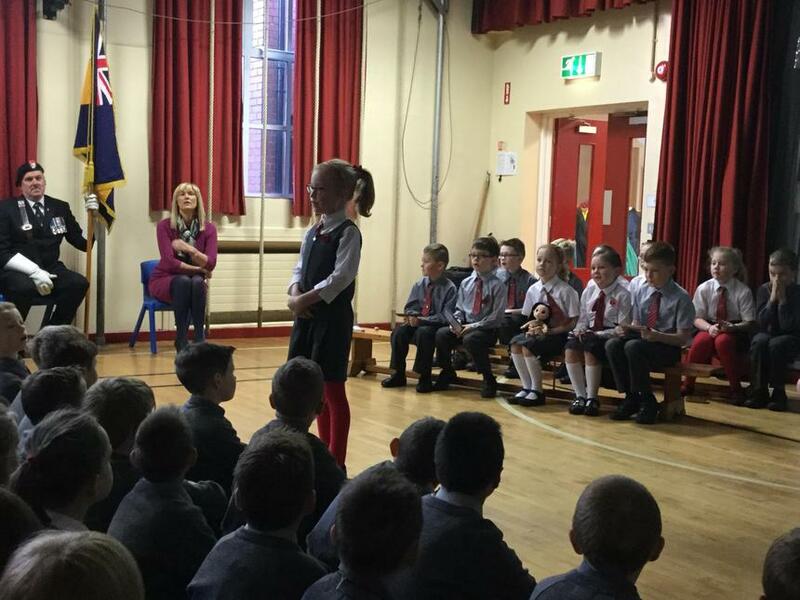 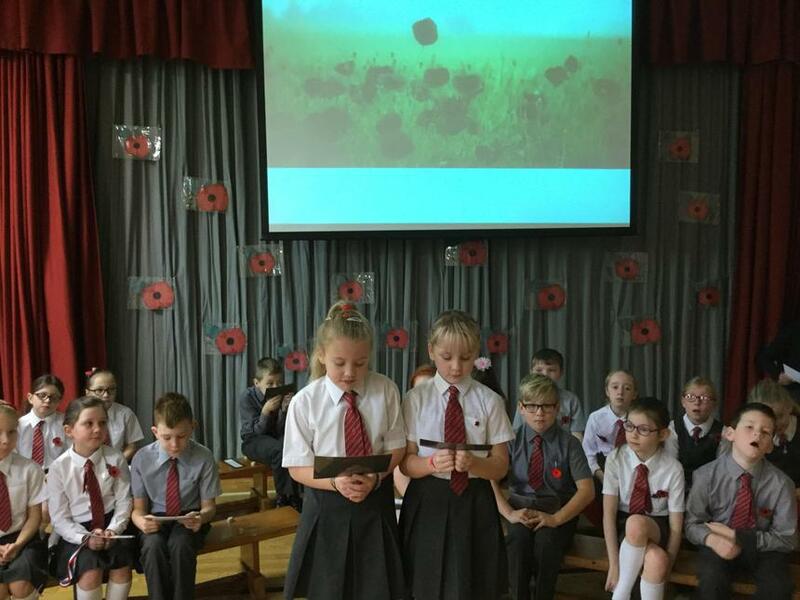 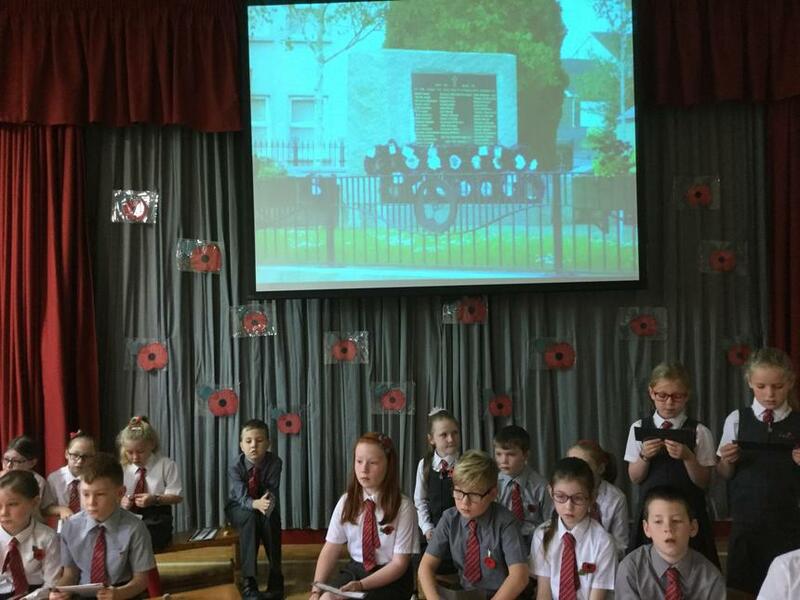 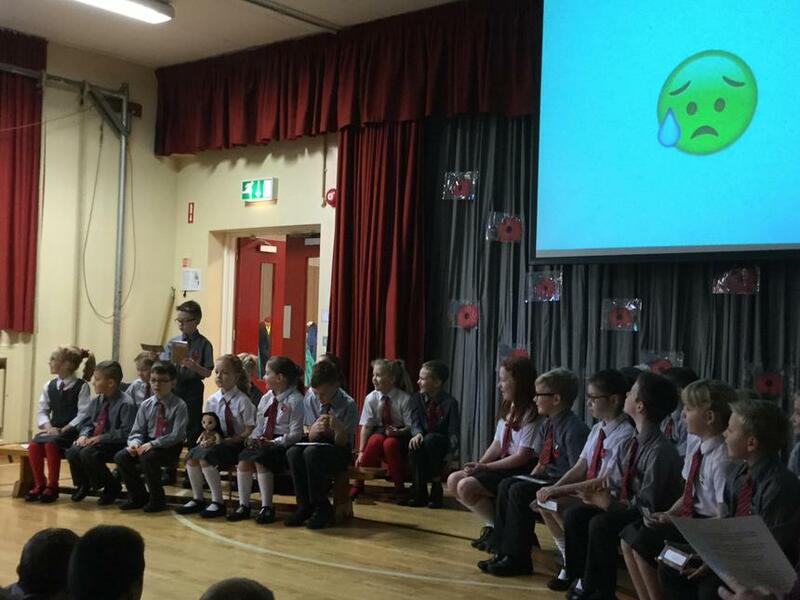 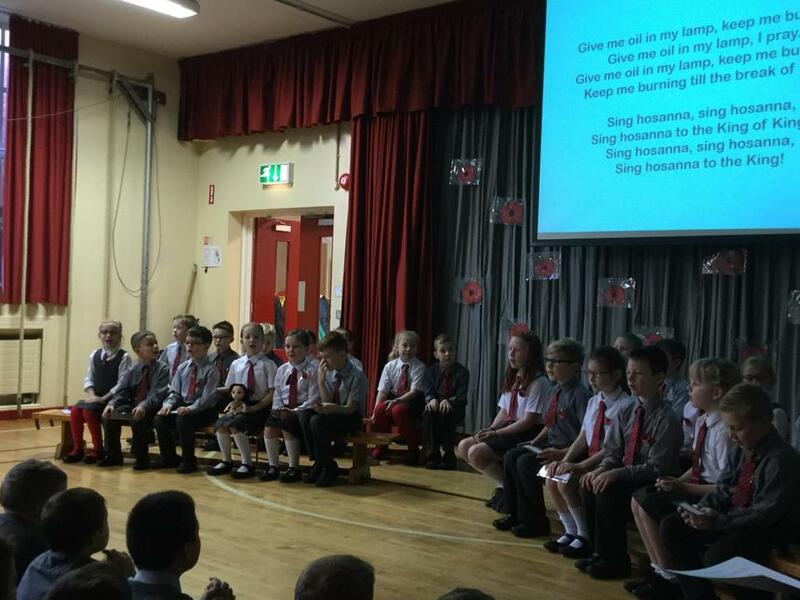 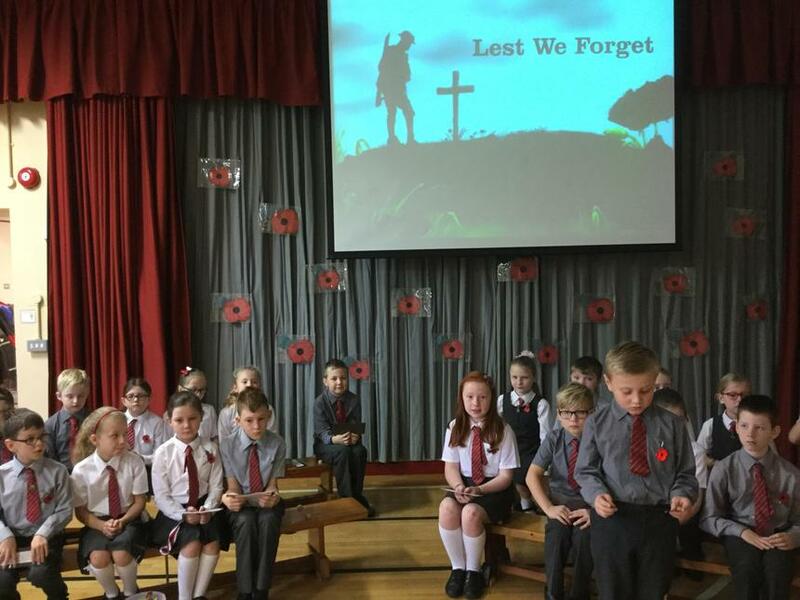 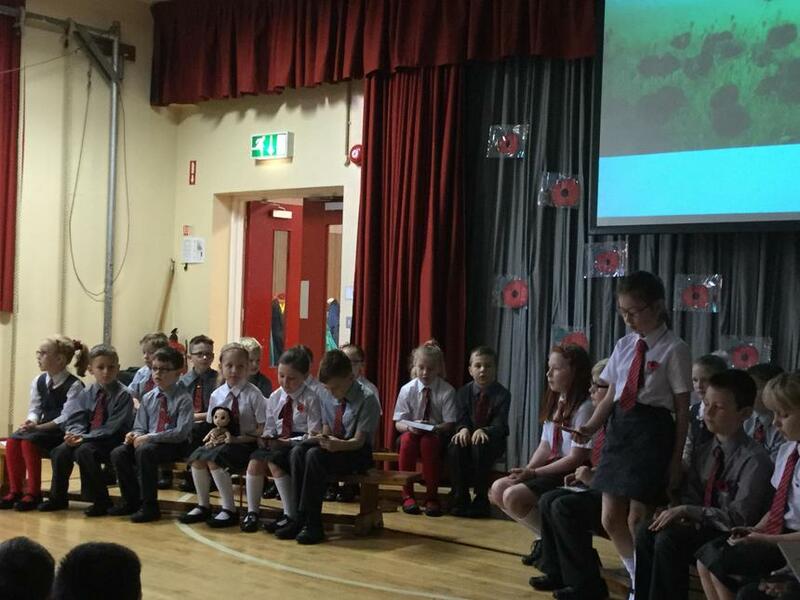 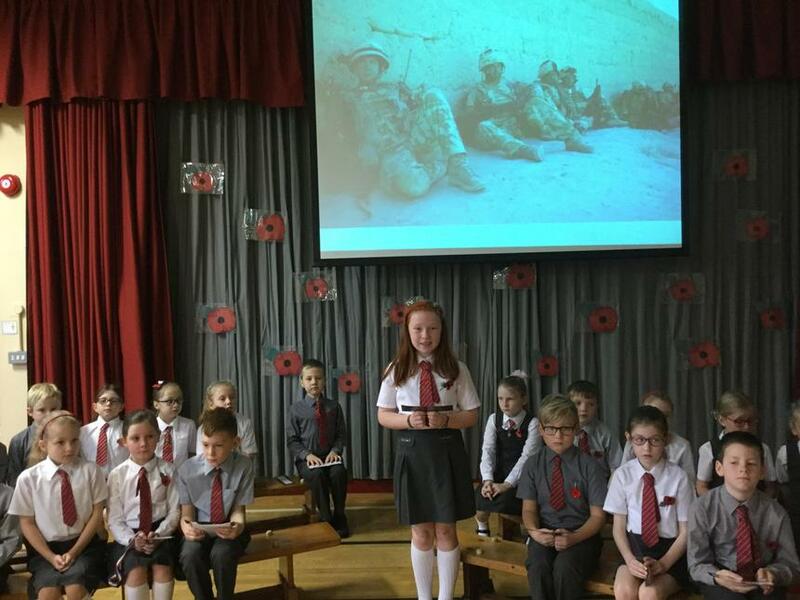 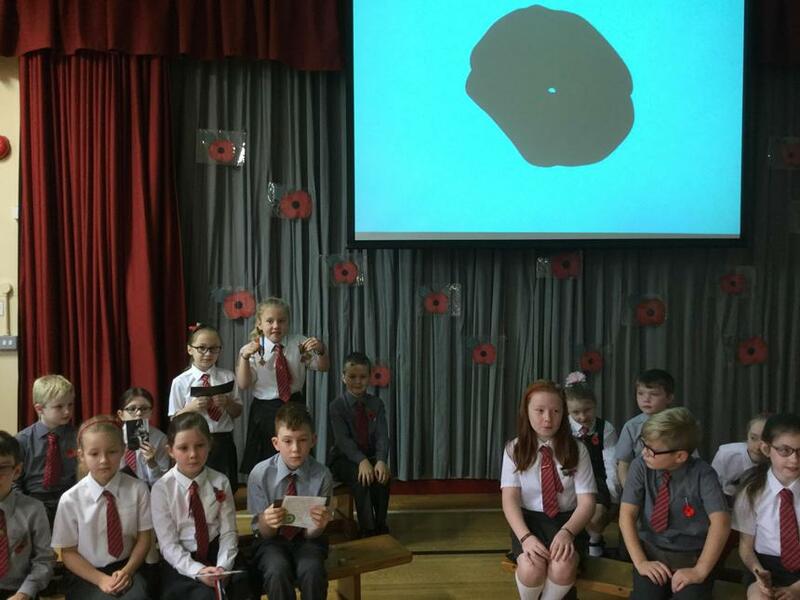 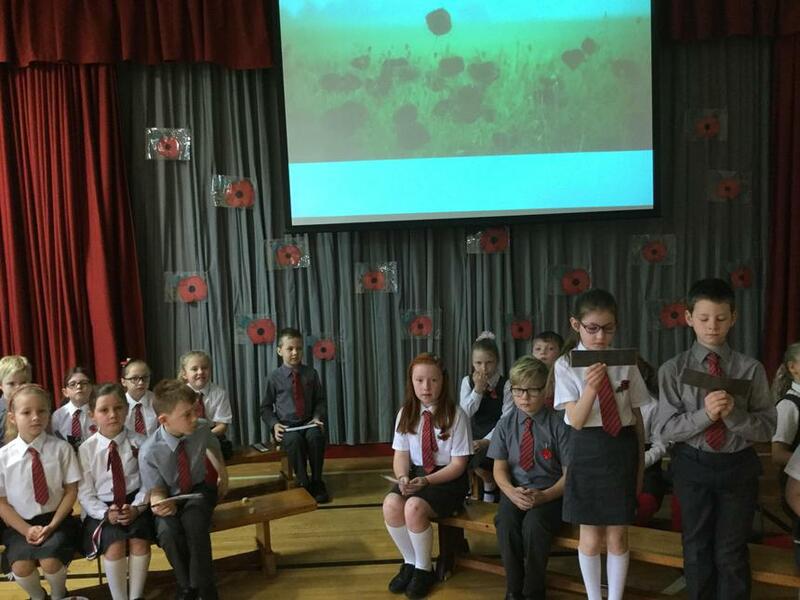 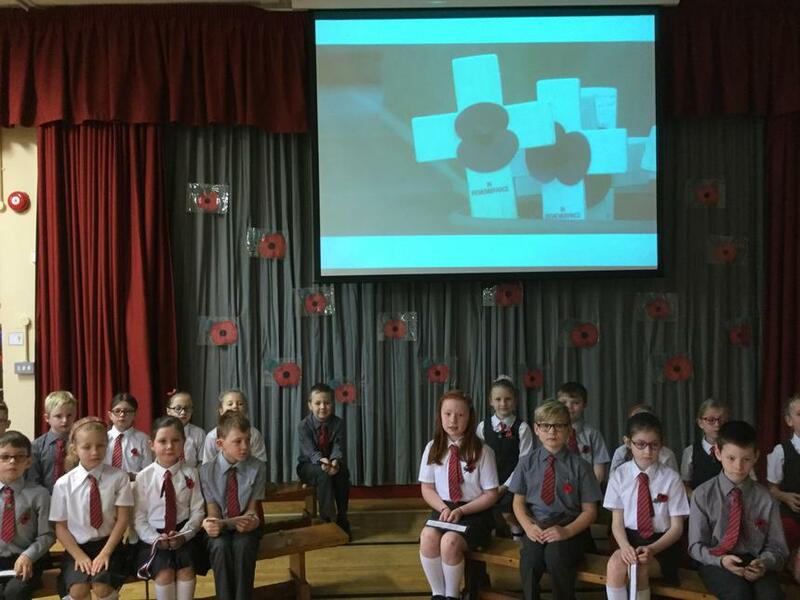 We all enjoyed taking part in our Remembrance Day Assembly this morning. 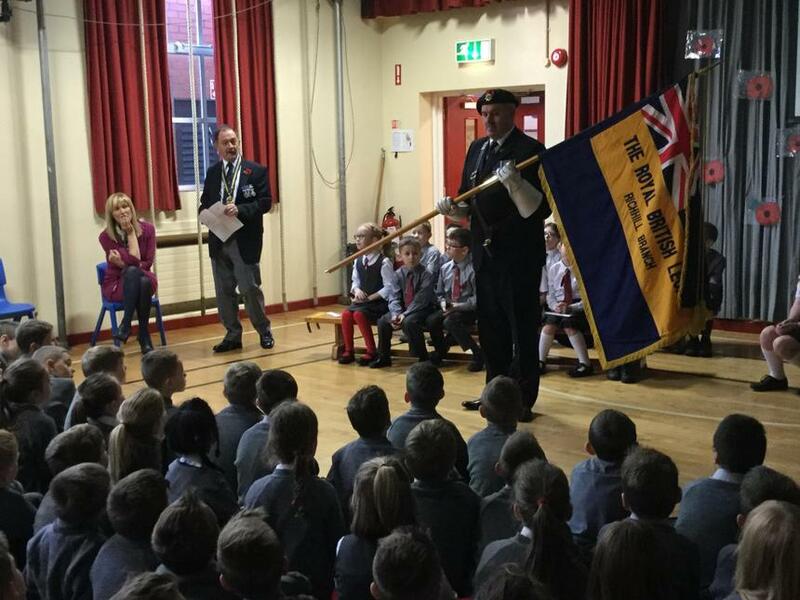 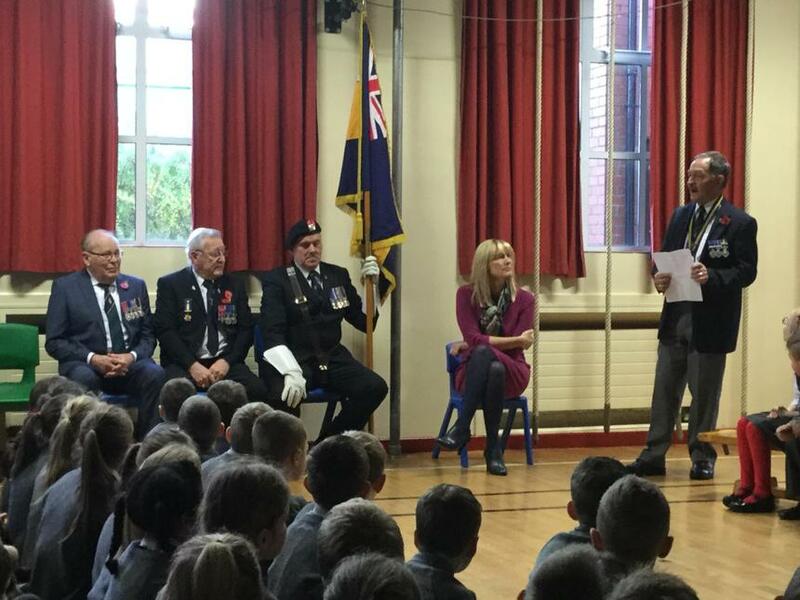 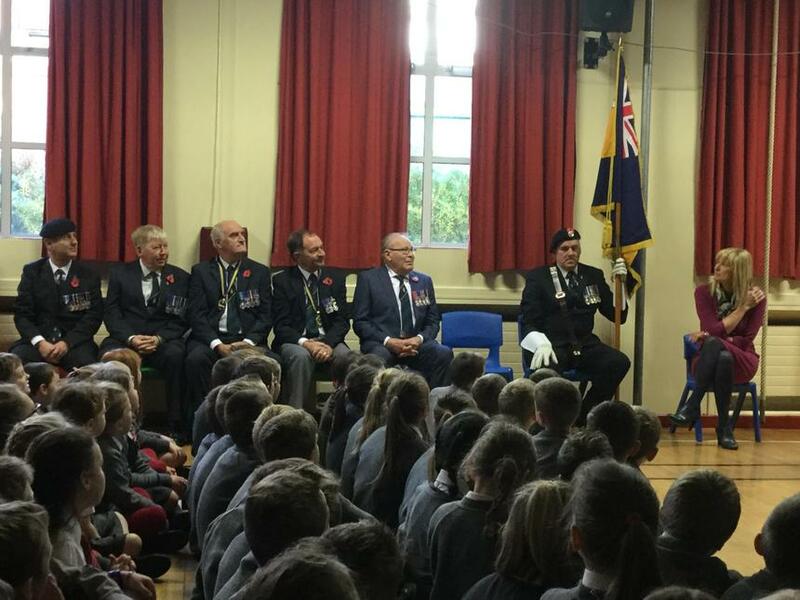 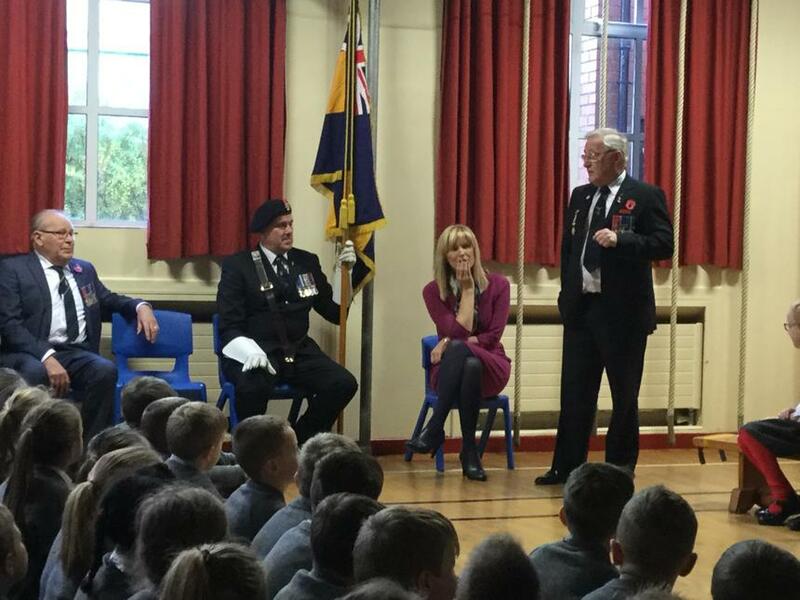 A big thank you to our visitors from the Royal British Legion for joining with us. 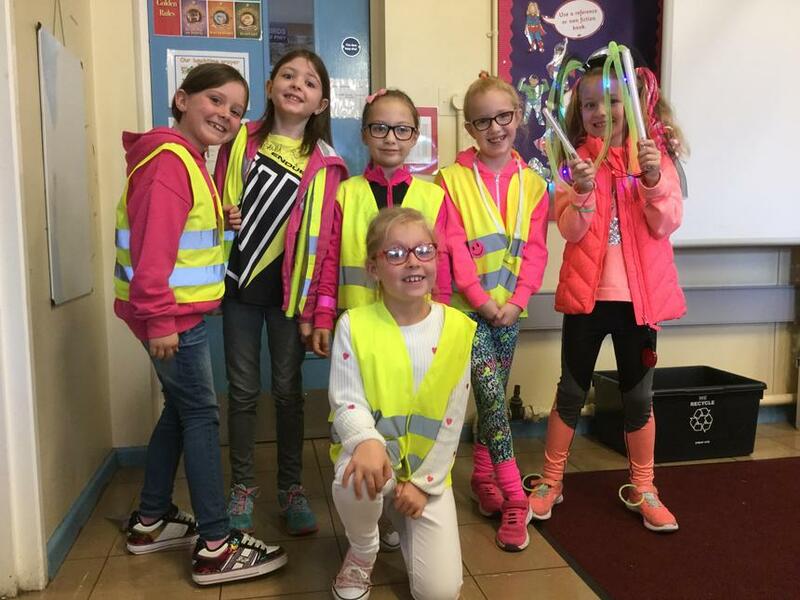 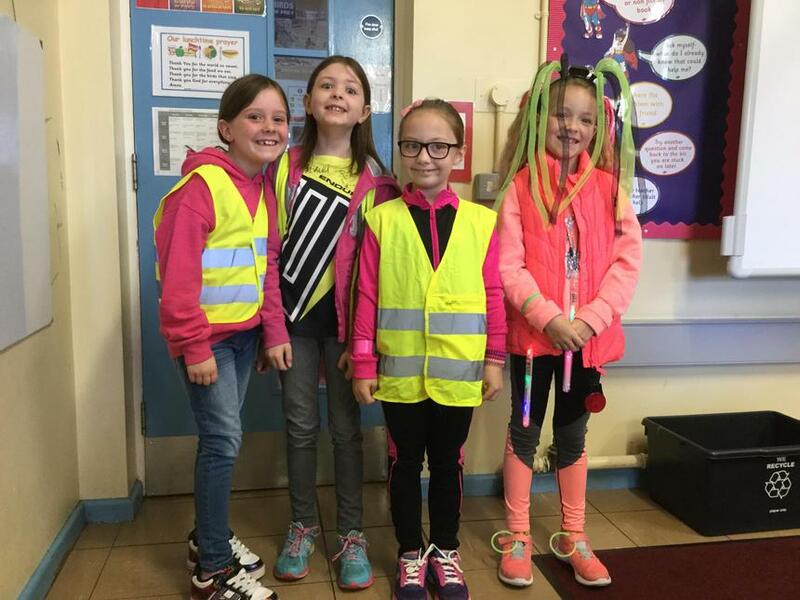 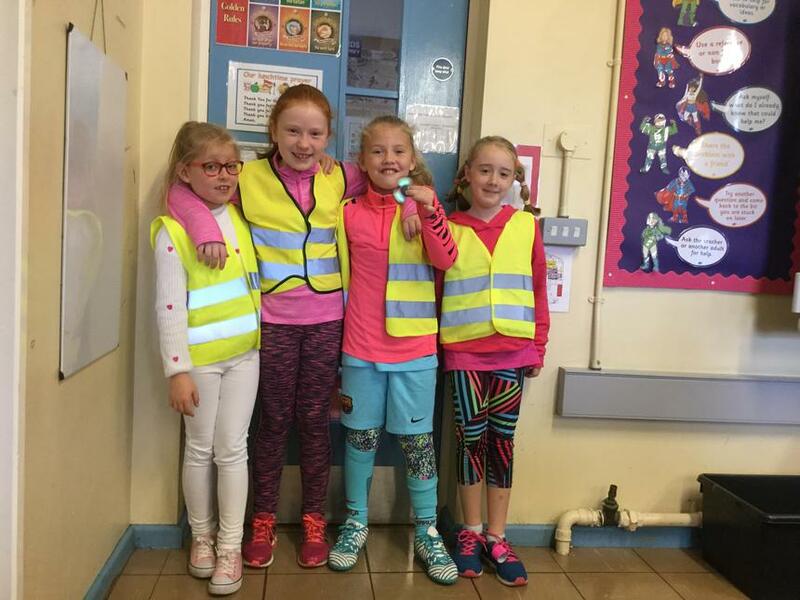 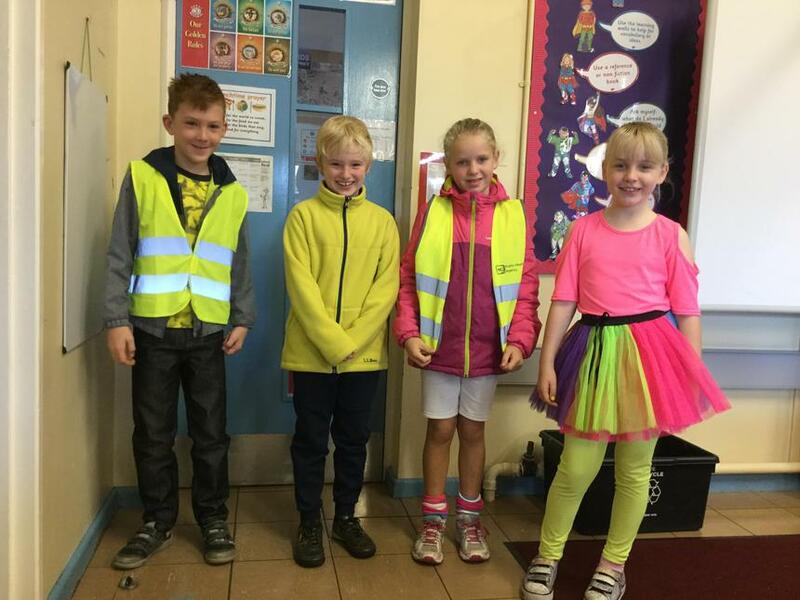 Celebrating our differences during Anti-Bullying Week!